南部松夫 (1978) 日本から記載された新鉱物. 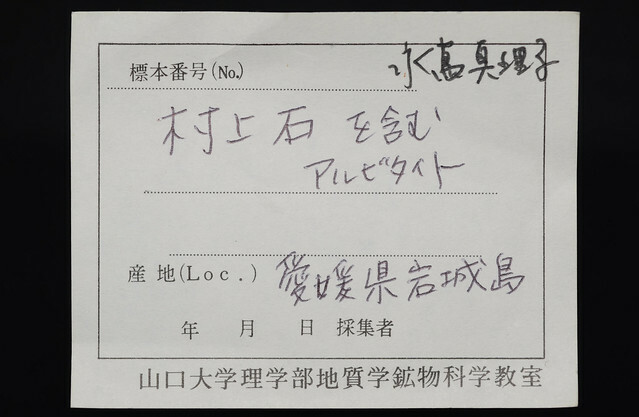 渡辺万次郎先生米寿記念論集, 82-100. 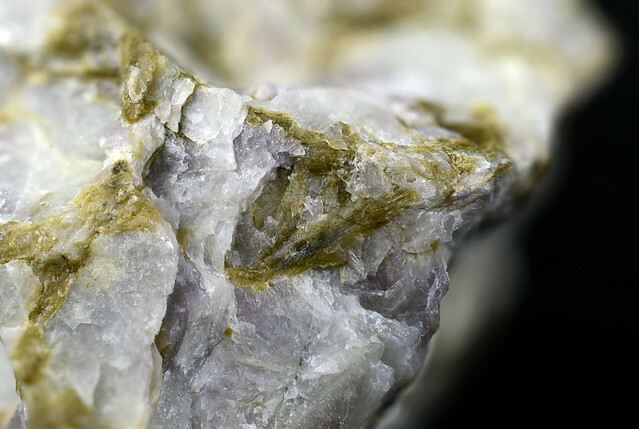 第一文献：Shibata Y., Kimura K. (1922) Ishikawaite, a new mineral from Ishikawa, Iwaki province. Journal of the Chemical Society of Japan, 43, 648-649. 第二文献：Hanson S.L., Simmons W.B., Falster A.U., Foord E.E., Lichte F.E. 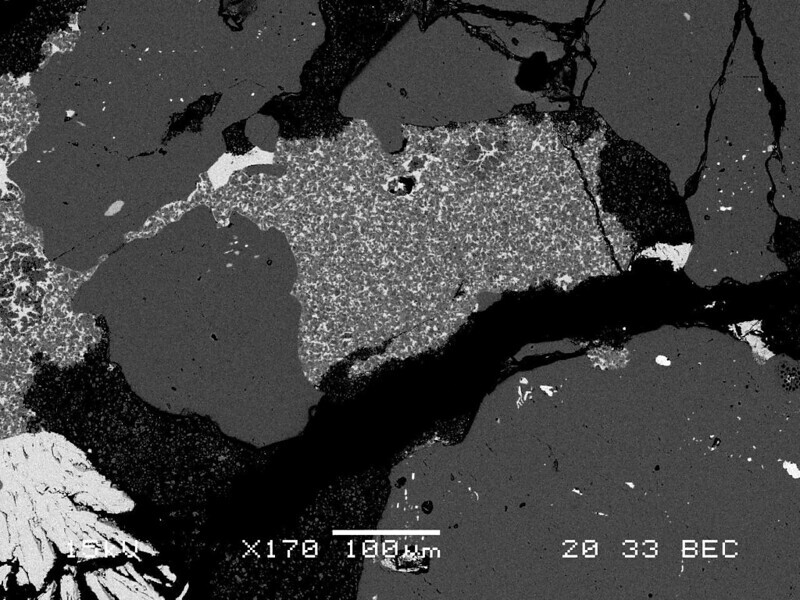 (1999) Proposed nomenclature for samarskite-group minerals: new data on ishikawaite and calciosamarskite. 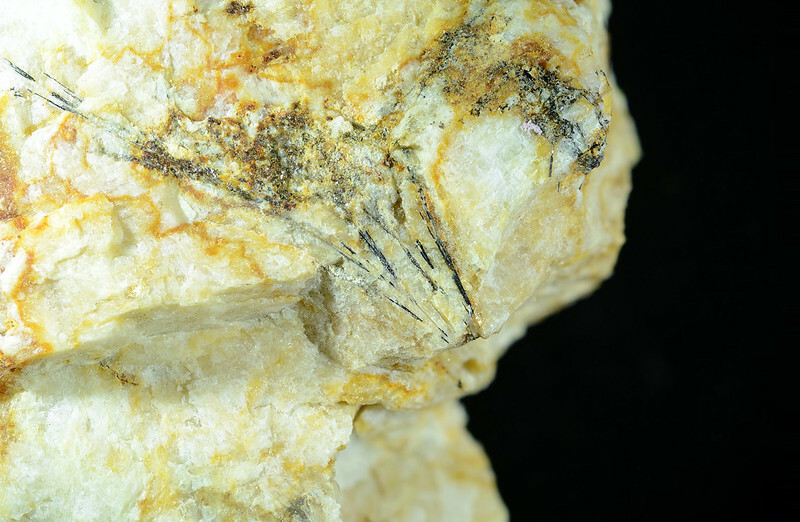 Mineralogical Magazine, 63, 27-36. Wherry (1923) American Mineralogist, 8, 230-231. 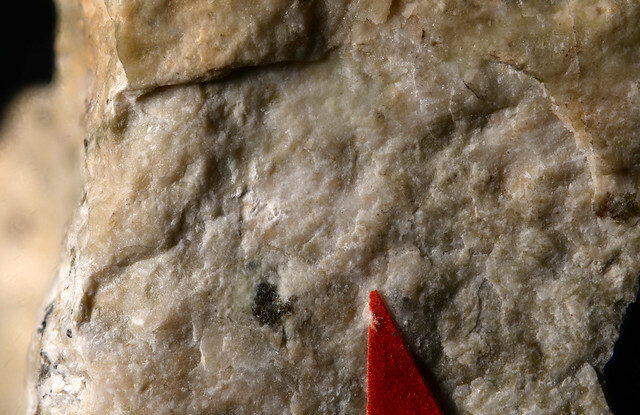 Jambor & Roberts (1999) American Mineralogist, 84, 1464-1468. 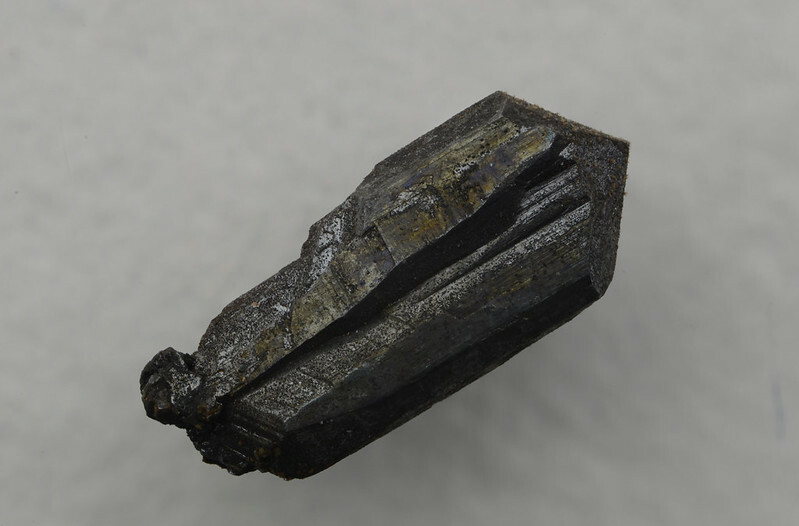 第一文献：Yoshimura T. (1934) “Todorokite”, a new manganese mineral from the Todoroki mine, Hokkaido, Japan. 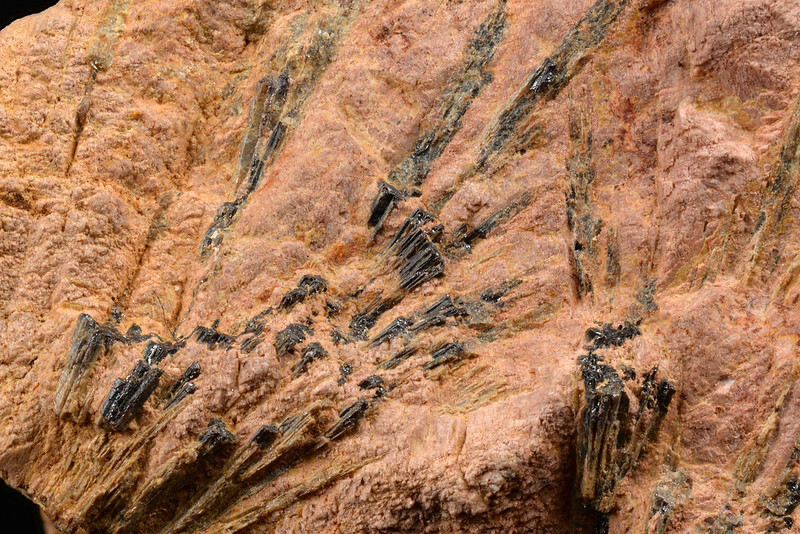 Journal of the Faculty of Science, Hokkaido Imperial University, Series IV, Geology and Mineralogy, 2, 289-297. 第二文献：Post J.E., Heaney P.J., Hanson J. 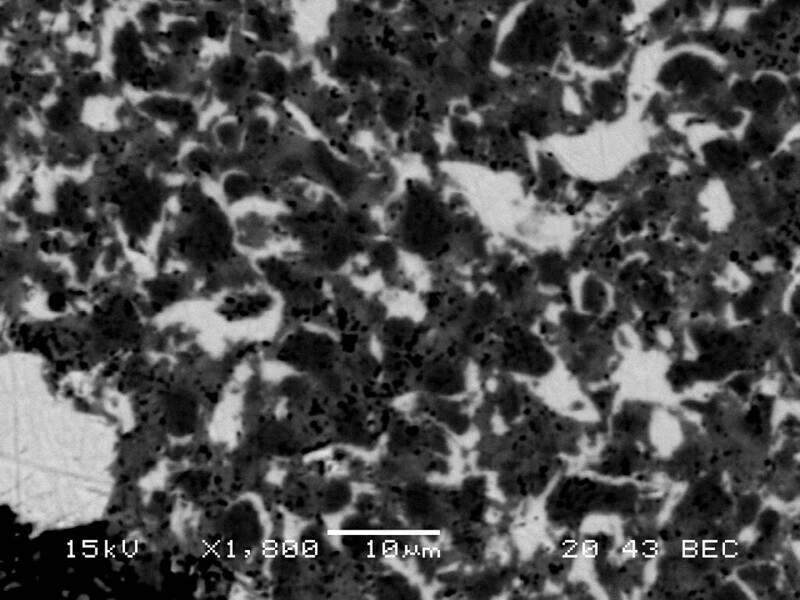 (2003) Synchrotron X-ray diffraction study of the structure and dehydration behavior of todorokite. 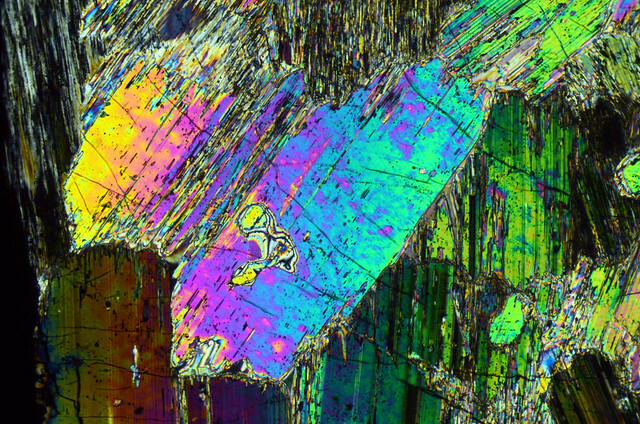 American Mineralogist, 88, 142-150. Simon&Straczek (1958) U.S. Geol. Surv. Bull. 1057. Frondel et al. (1960), American Mineralogist, 45, 1167.
 International Mineralogical Association (1962) Mineralogical Magazine, 33, 260-263. 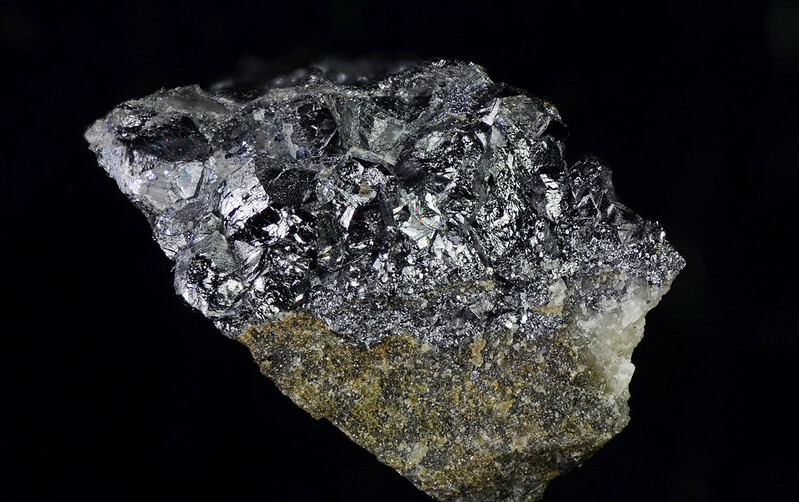 第一文献：Hata S. (1938) Abukumalite, a new yttrium mineral. 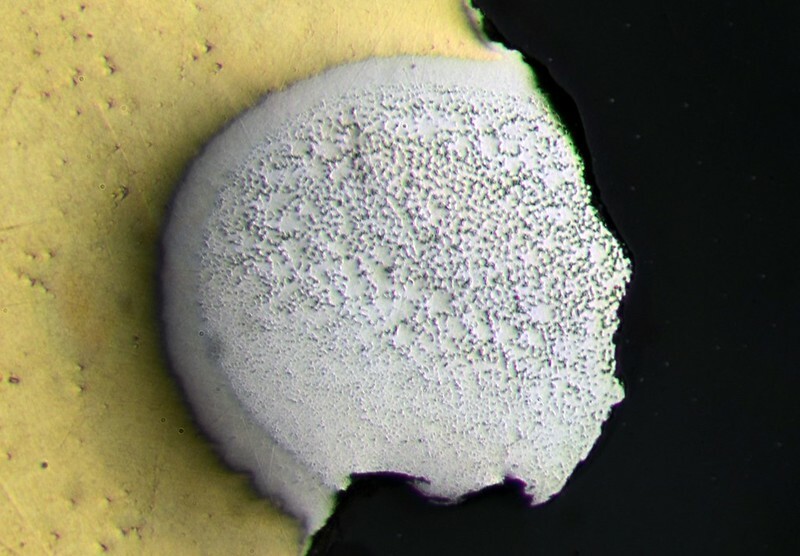 Scientific Papers of the Institute of Physical and Chemical Research, 34, 1018-1023. 第二文献：Noe D.C., Hughes J.M., Mariano A.N., Drexler J.W., Kato A. 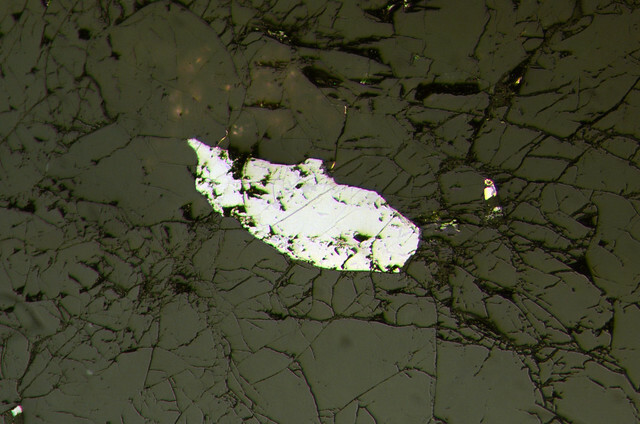 (1993) The crystal structure of monoclinic britholite-(Ce) and britholite-(Y). Zeitschrift für Kristallographie, 206, 233-246. Levinson (1966) American Mineralogist, 51, 152. 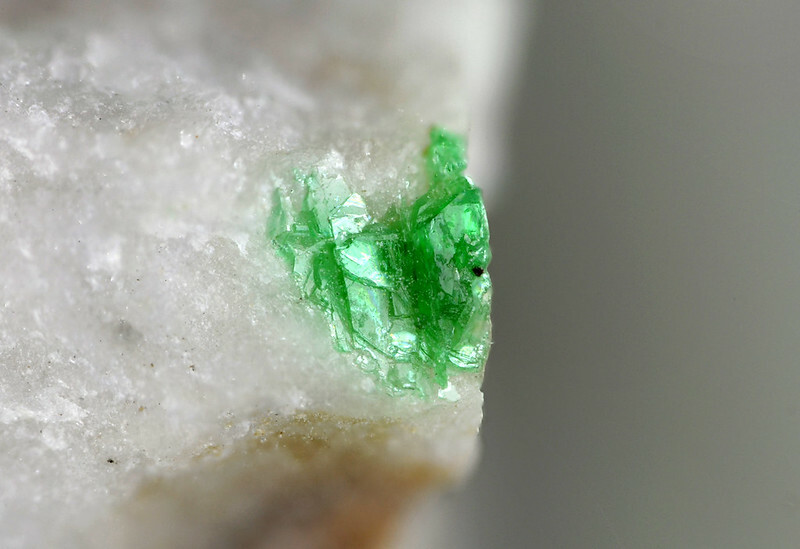 第一文献：Yosimura T. (1939) Teineite, a new tellurate mineral from the Teine mine, Hokkaidō, Japan. 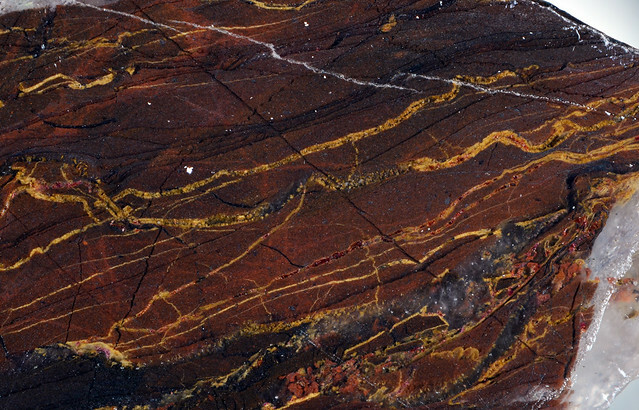 Journal of the Faculty of Science, Hokkaido Imperial University, Series IV, Geology and Mineralogy, 465-470. 第二文献：Effenberger H. (1977) Verfeinerung der kristallstruktur von synthetischem teineit CuTeO3•2H2O. 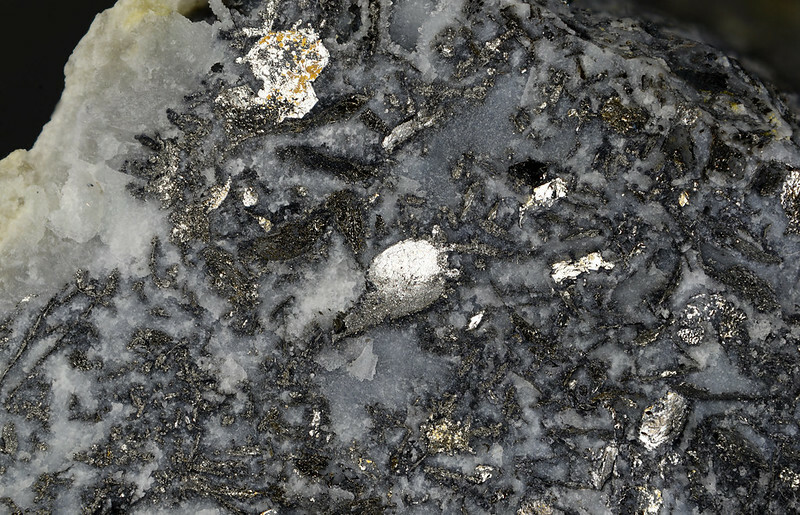 Tschermaks Mineralogische und Petrographische Mitteilungen, 24, 287-298. Kato and Sakurai (1968) Mineralogical Journal, 5, 285. 第二文献：Masutomi K., Nagashima K., Kato A. 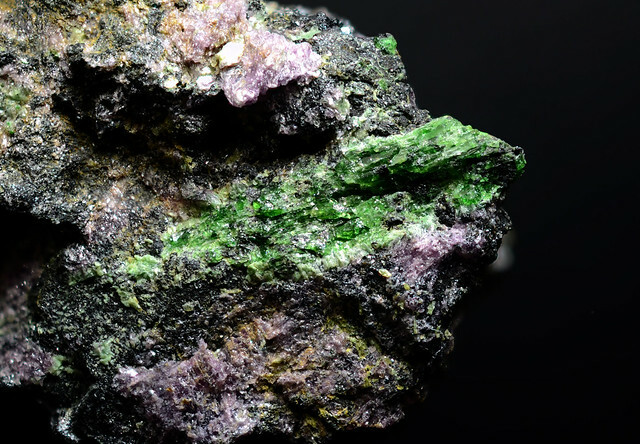 (1961) Kobeite from the Ushio mine, Kyoto Prefecture, Japan and re-examination of kobeite. 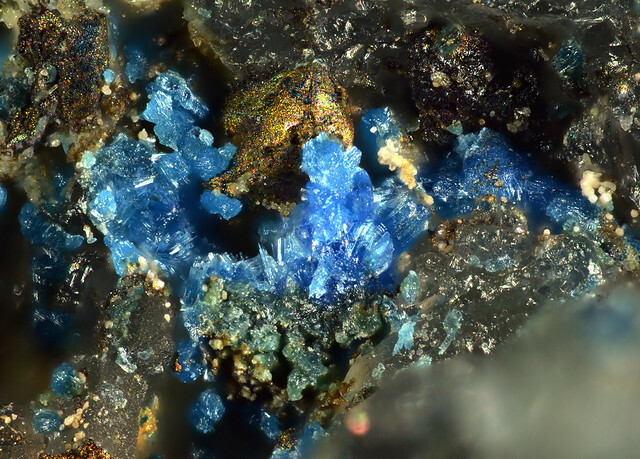 Mineralogical Journal, 3, 139-147. Bayliss et al. (1989) Mineralogical Magazine, 53, 565. 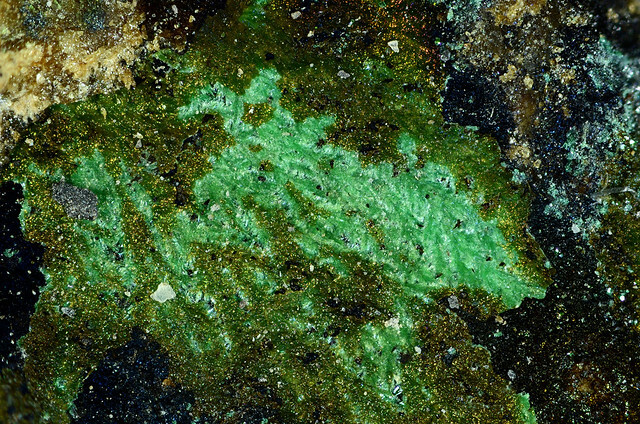 Nickel&Mandarino (1987) American Mineralogist, 72, 1031. 第一文献：Sakurai K., Hayashi A. 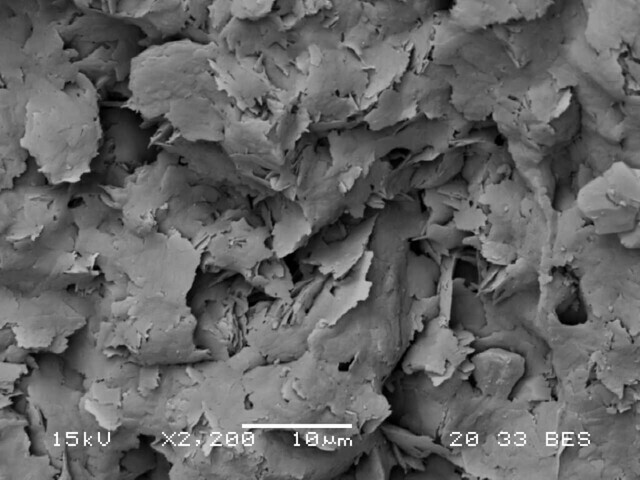 (1952) “Yugawaralite”, a new zeolite, Science Reports of the Yokohama National University, 1, 69-77. 第二文献：Kvick Å., Artioli G., Smith J.V. 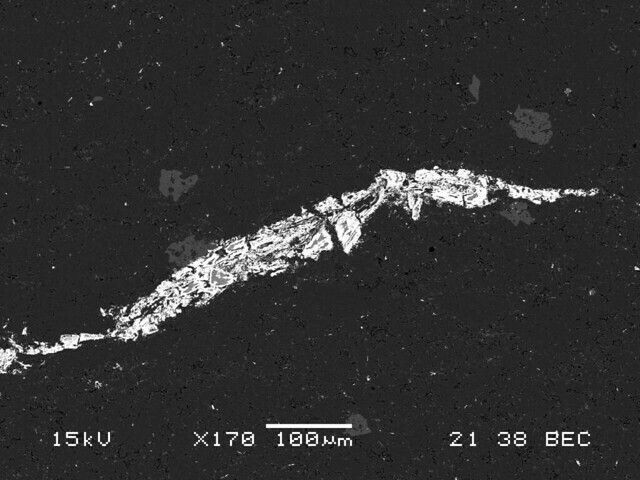 (1986) Neutron diffraction study of the zeolite yugawaralite at 13 K. Zeitschrift für Kristallographie, 174, 265-281. Coombs et al. 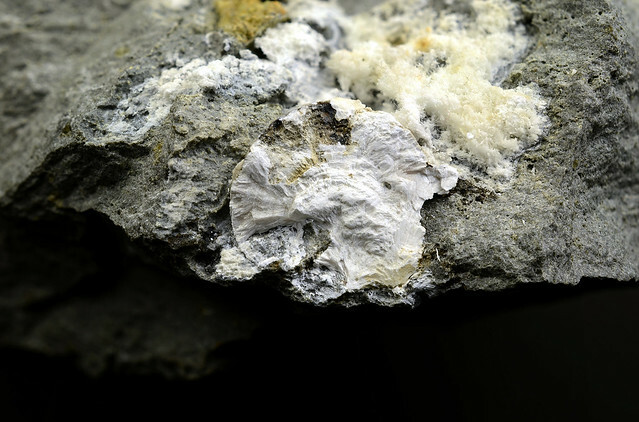 (1997) Recommended nomenclature for zeolite minerals: report of the Subcommittee on Zeolites of the International Mineralogical Association, Commission on New Minerals and Mineral Names. The Canadian Mineralogist, 35, 1571-1606. 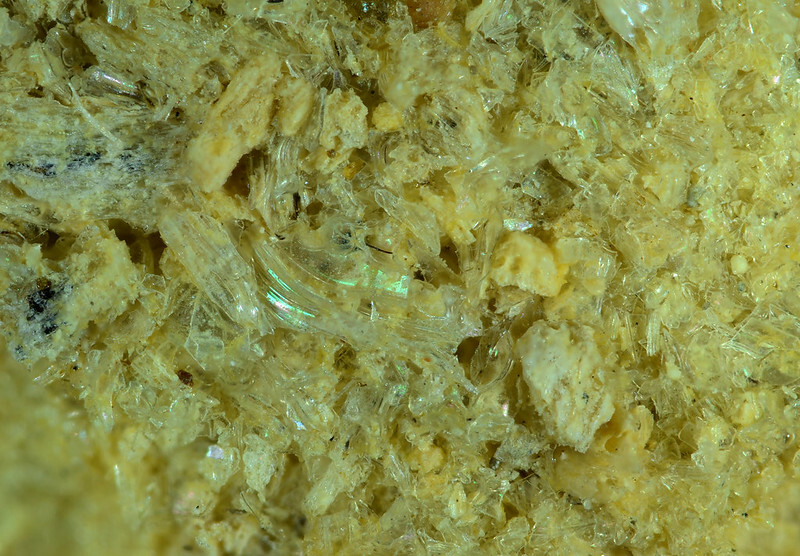 第一文献：Ito T., Minato H., Sakurai K. (1954) Parasymplesite, a new mineral polymorphous with symplesite. Proceedings of the Japan Academy, 30, 318-324. 第二文献: Cesbron F., Sichère M.C., Vachey H. (1977) Propriétés cristallographiques et comportment thermique des termes de la série koettigite–parasymplésite. Bull. Minéral., 100, 310–314 (in French with English abs.). 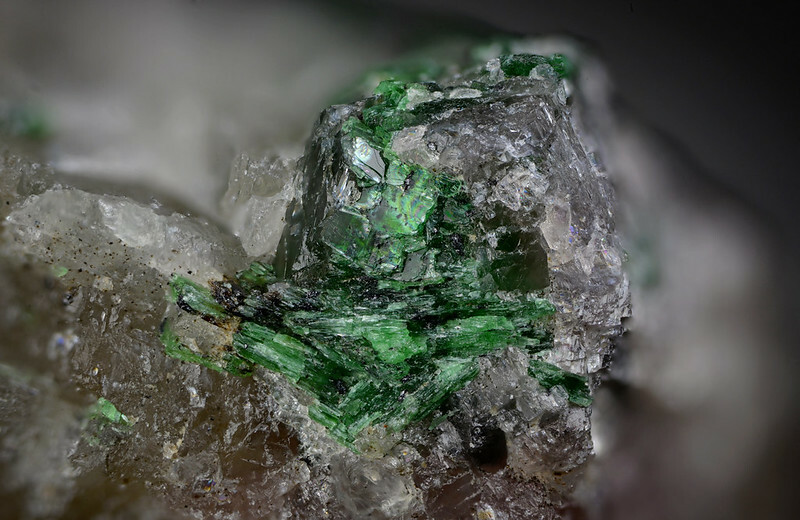 Mori, Ito (1950) The structure of vivianite and symplesite. 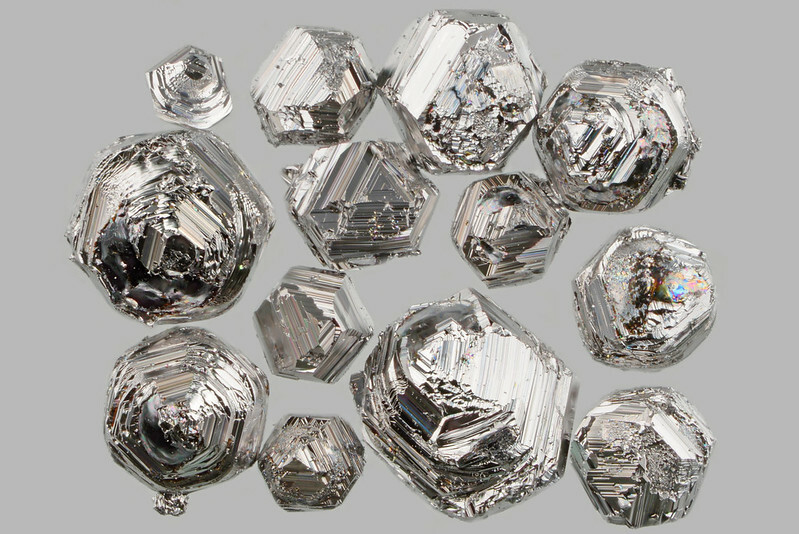 Acta Crystallographica, 3, 1-6. 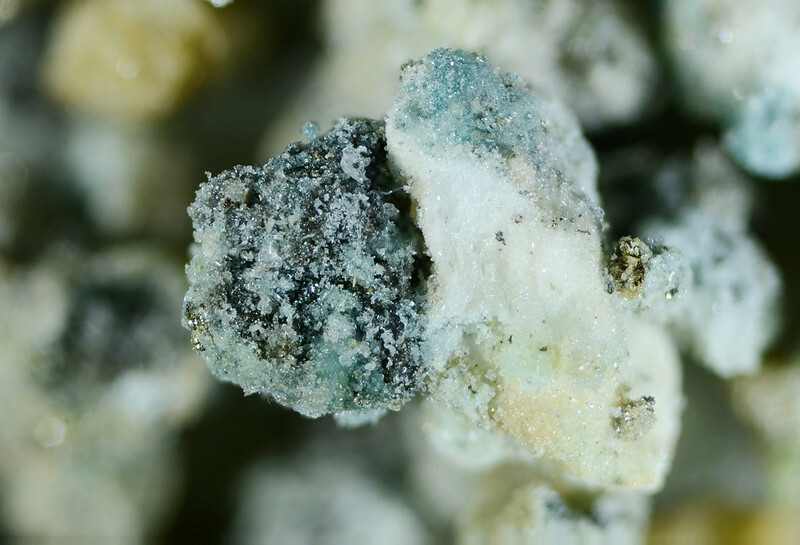 Wolf (1940) Classification of minerals of the type A3(XO4)2·nH2O. 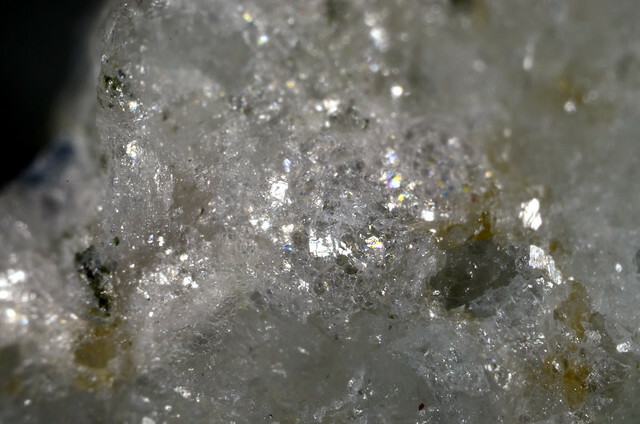 American Mineralogist, 25, 738. 第一文献：Miyashiro A. 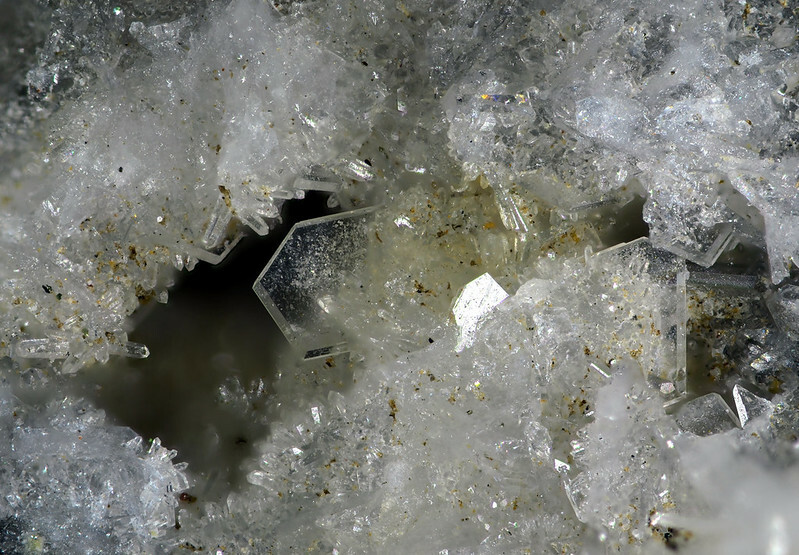 (1956) Osumilite, a new silicate mineral, and its crystal structure. 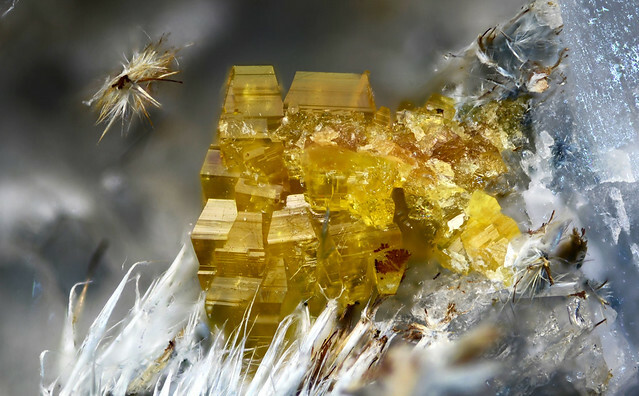 American Mineralogist, 41, 104-116. 第二文献: Armbruster T., Oberhänsli R. (1988) Crystal chemistry of double-ring silicates: structural, chemical, and optical variation in osumilites. 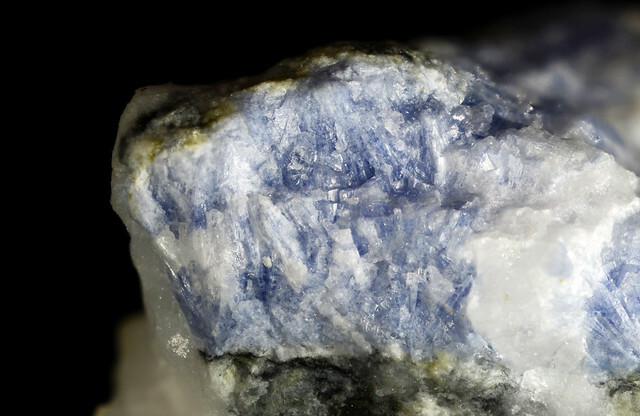 American Mineralogist, 73, 585-594. 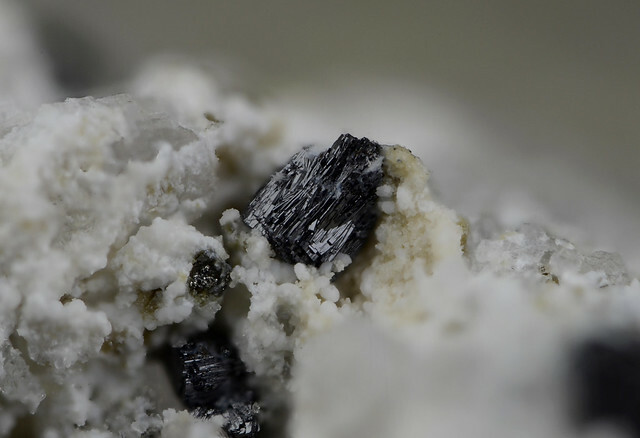 Morimoto (1948) On the Modes of Occurrence of Cordierite from Sakkabira, Town Taru-mizu, Kimo-tsuki Province, Kagoshima Prefecture, Japan. Bulletin of the Earthquake Research Institute, 25, 33-35. 森本,湊 (1949) 鹿皃島縣肝屬郡垂水町早崎咲花平産菫青石の産出状態. 岩石鉱物鉱床学会誌, 33, 51-61. 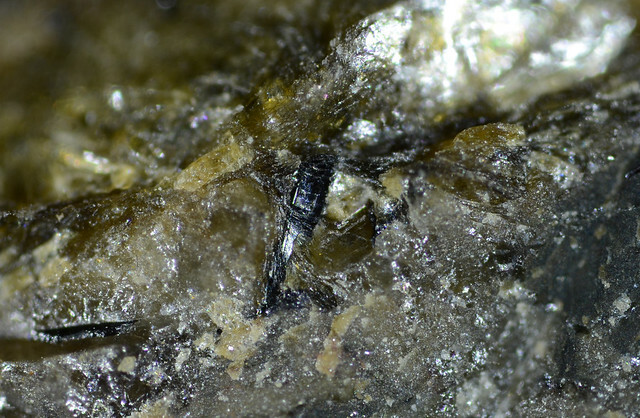 Miyashiro (1953) Osumilite, a new mineral, and cordierite in volcanic rocks. Proceedings of the Japan Academy, 29, 321-323. Brown, Gibbs (1969) Refinement of the crystal structure of osumilite. 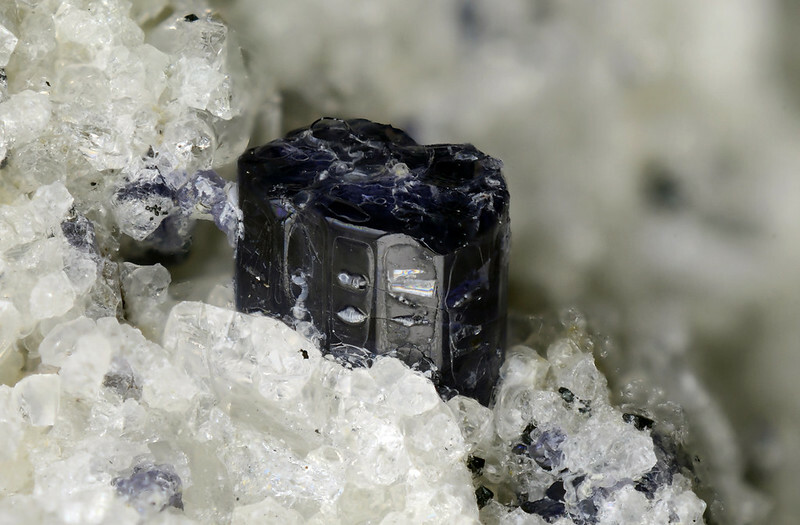 American Mineralogrst, 54, 101-116. Chinner, Dixon (1973) Irish osumilite. Mineralogical Magazine, 39, 189-192. 横溝, 宮地 (1978) 万年山熔岩中の大隅石の化学組成. 73, 180-182. 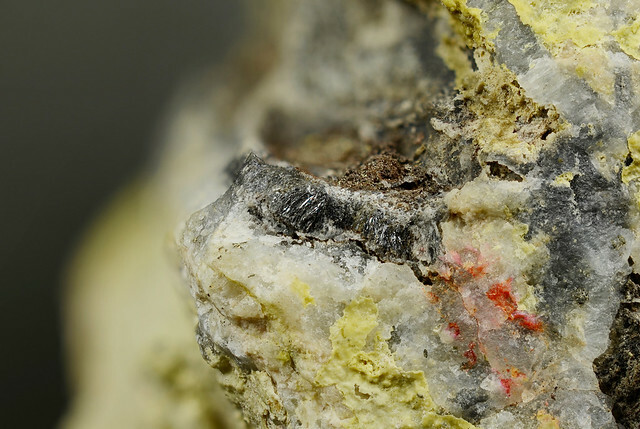 Chukanov, Pekov, Rastsvetaeva, Aksenov, Belakovskiy, Van, Schuller, Ternes (2012) Osumilite-(Mg): Validation as a mineral species and new data. 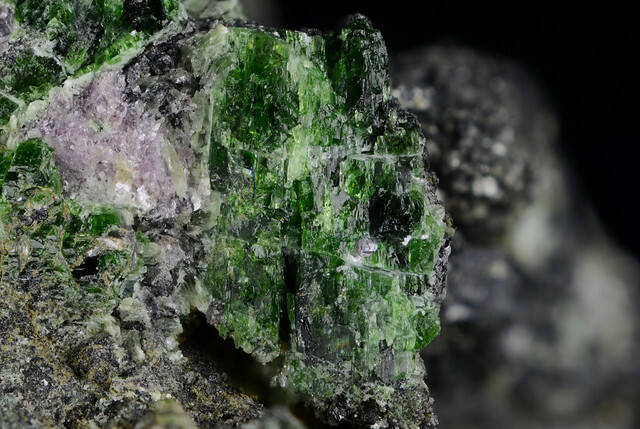 Zapiski Rossiiskogo Mineralogicheskogo Obshchetstva, 141, 27-36. 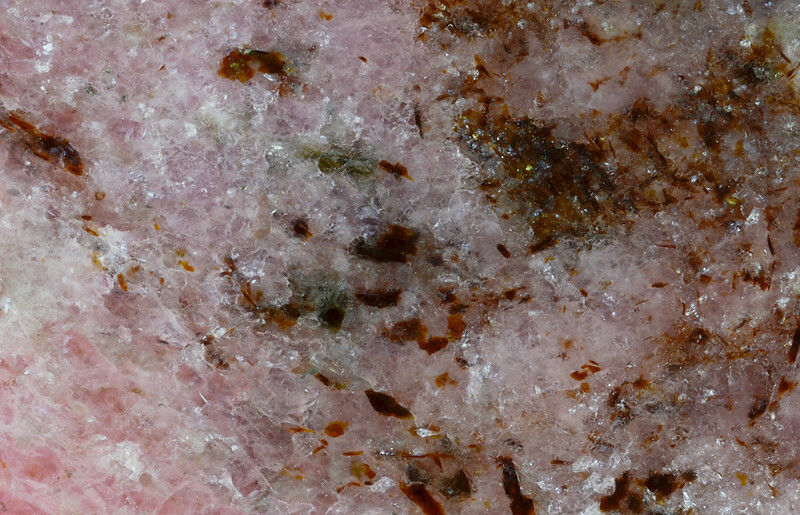 Fleischer M. (1960) New mineral names. American Mineralogist, 45, 476-480.
 International Mineralogical Association (1962) International Mineralogical Association: Commission on new minerals and mineral names. 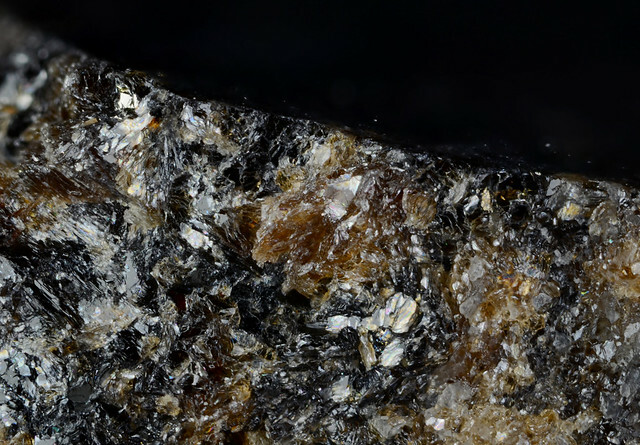 Mineralogical Magazine, 33, 260-263. 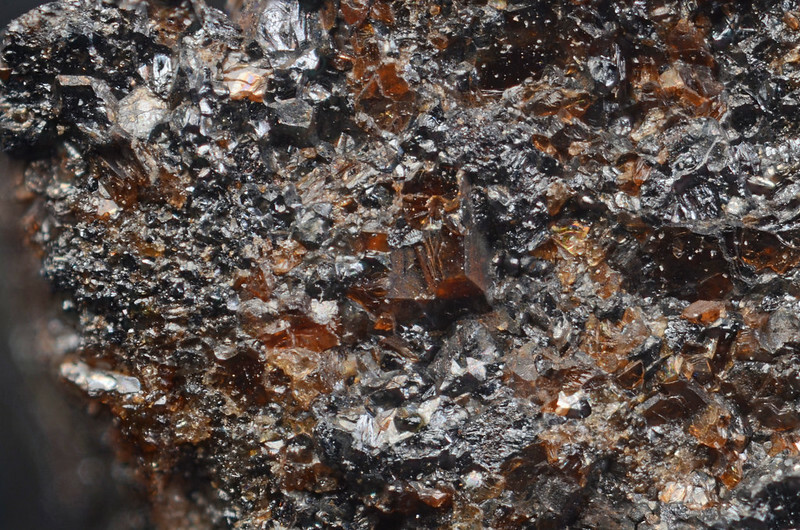 第一文献：Muto T., Meyrowitz R., Pommer A.M., Murano T. (1959) Ningyoite, a new uranous phosphate mineral from Japan. 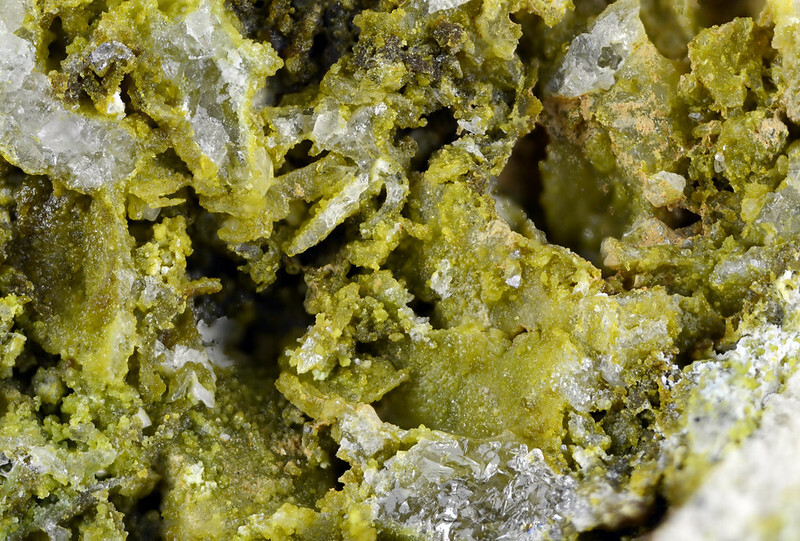 American Mineralogist, 44, 633-650. 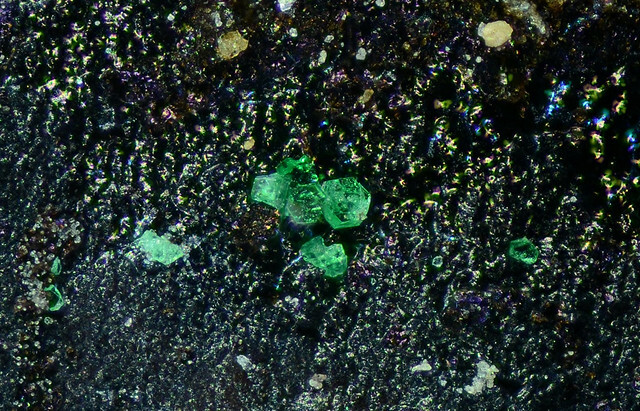 第二文献：Boyle D R, Littlejohn A L, Roberts A C, Watson D M (1981) Ningyoite in uranium deposits of south–central British Columbia: first North American occurrence., The Canadian Mineralogist, 19, 325-331. 第一文献：Taguchi Y. 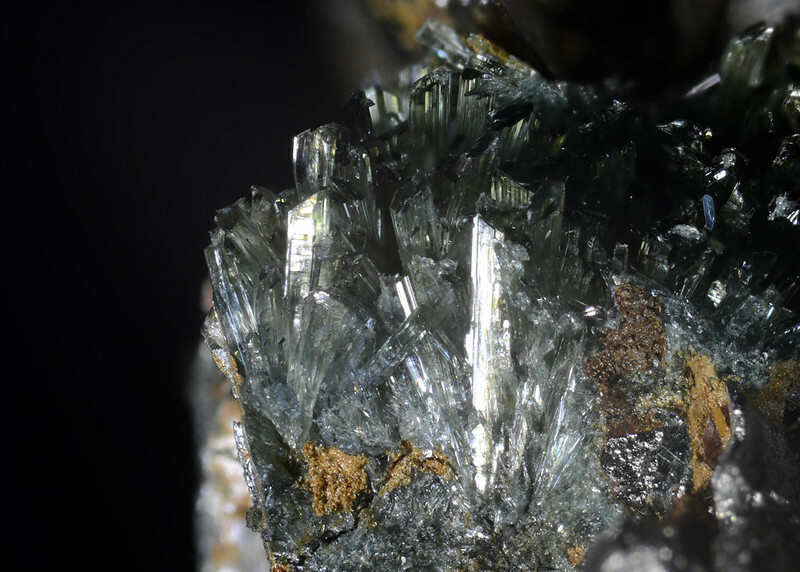 (1961) On osarizawaite, a new mineral of the alunite group, from the Osarizawa mine, Japan. 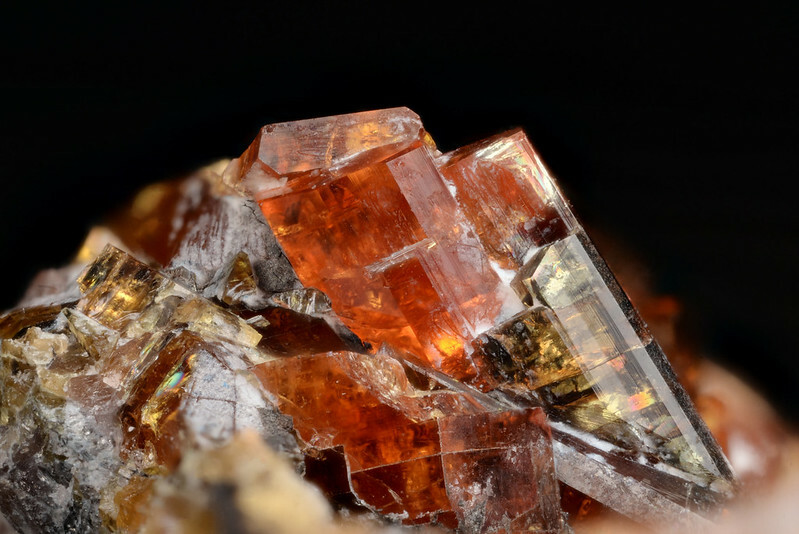 Mineralogical Journal, 3, 181-194. 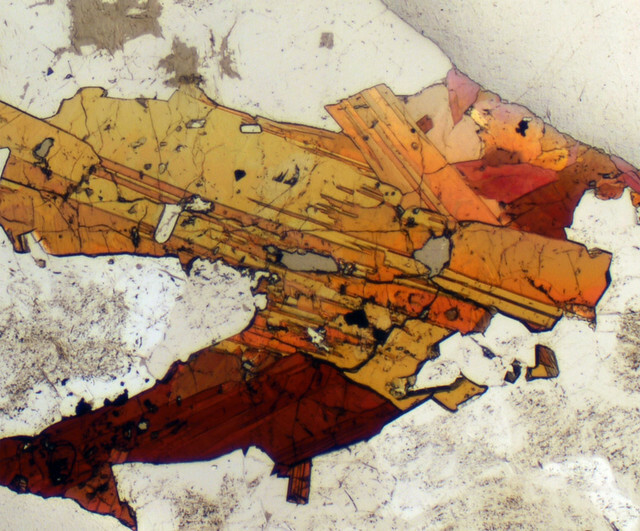 第二文献：Giuseppetti G. & Tadini C. (1980) The crystal structure of osarizawaite. 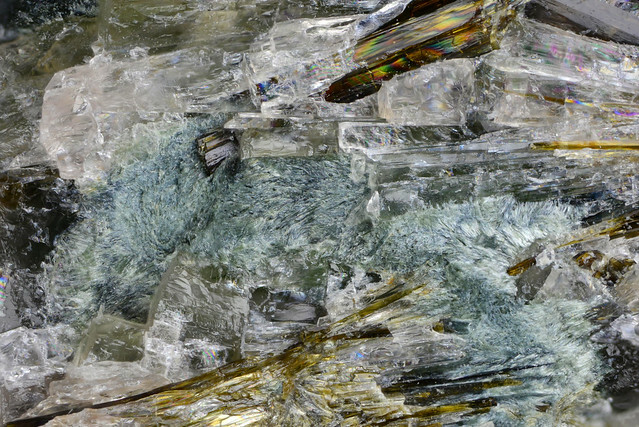 Neues Jahrbuch für Mineralogie, Monatshefte, 1980, 401-407. Jambor J.L. 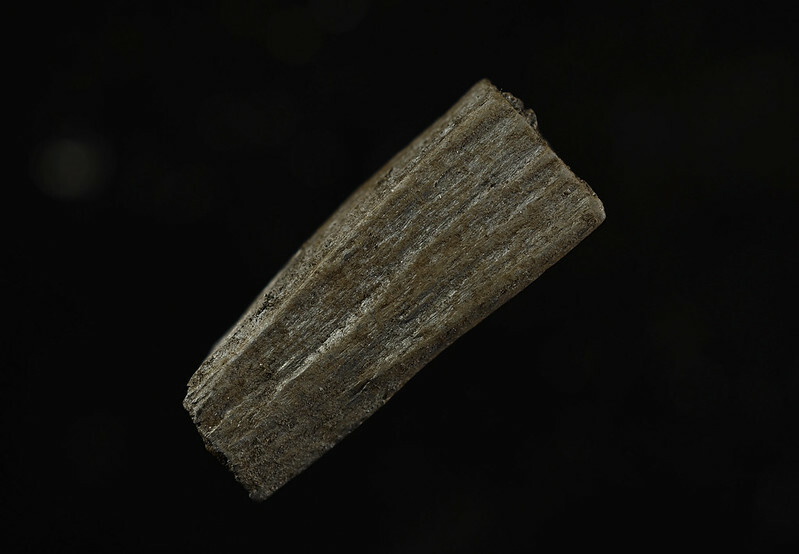 (1999) Nomenclature of the alunite supergroup. The Canadian Mineralogist, 37, 1323-1341. 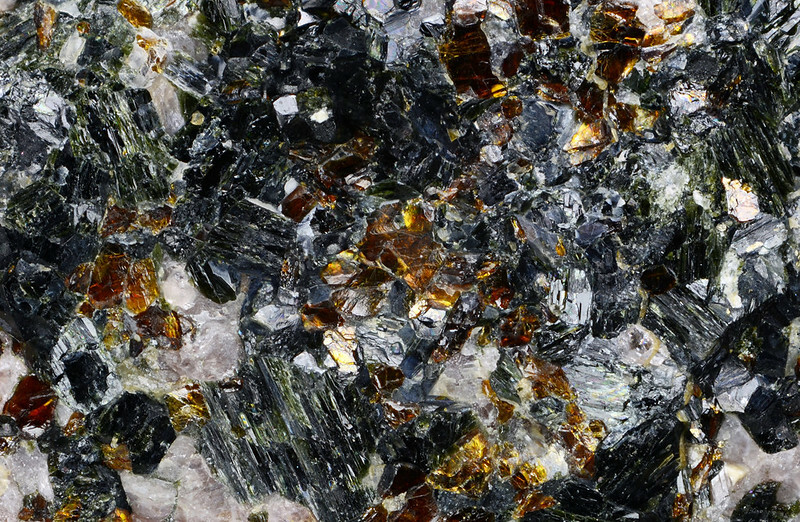 Watanabe T. (1959) The minerals of the Noda-Tamagawa mine, Iwate Prefecture, Japan. 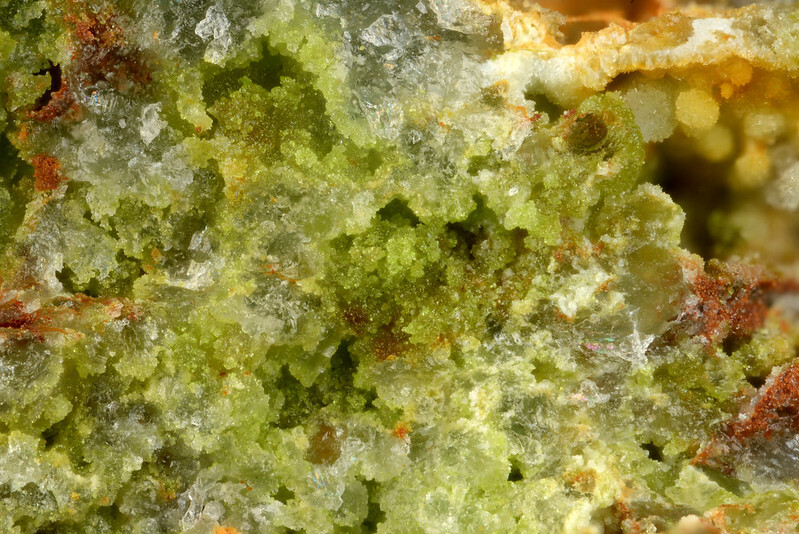 Mineralogical Journal, 2, 408-421. McDonald A.M., Grice J.D., Chao G.Y. 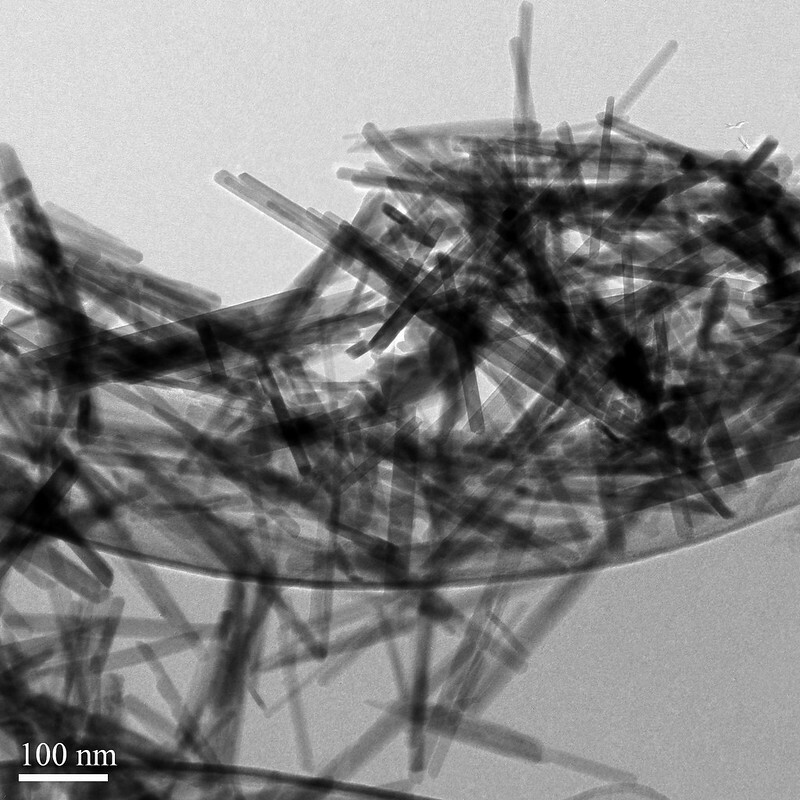 (2000) The crystal structure of yoshimuraite, a layered Ba–Mn–Ti silicophosphate, with comments on five–coordinated Ti4+. The Canadian Mineralogist, 38, 649-656. 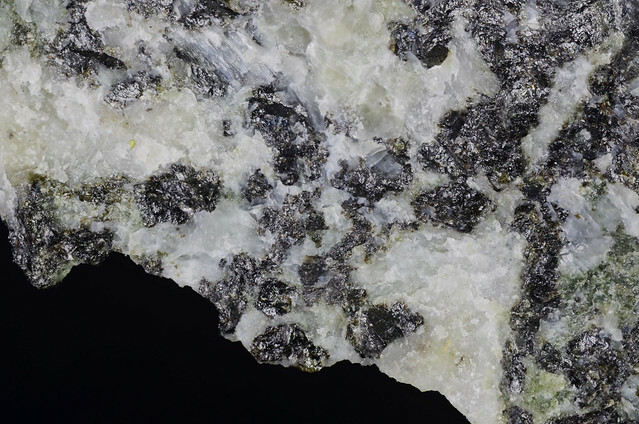 Sokolova E., Cámara F. (2017) The seidozerite supergroup of TS-block minerals: nomenclature and classification, with change of the following names: rinkite to rinkite-(Ce), mosandrite to mosandrite-(Ce), hainite to hainite-(Y) and innelite-1T to innelite-1A. 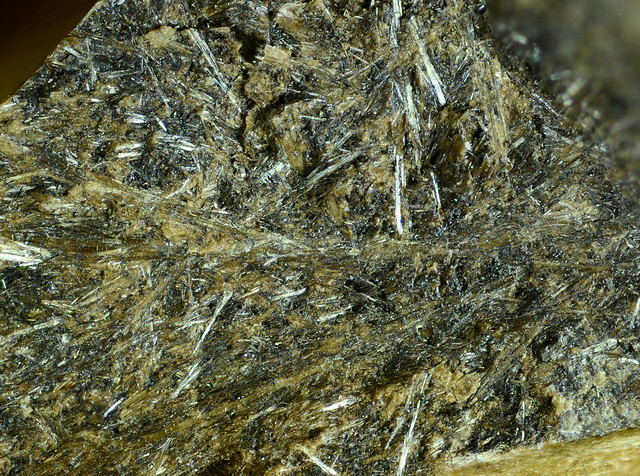 Mineralogical Magazine, 81, 1457-1487. 広渡文利，磯野清 (1963) 愛知県田口鉱山の吉村石について. 鉱物学雑誌, 6, 230-243. 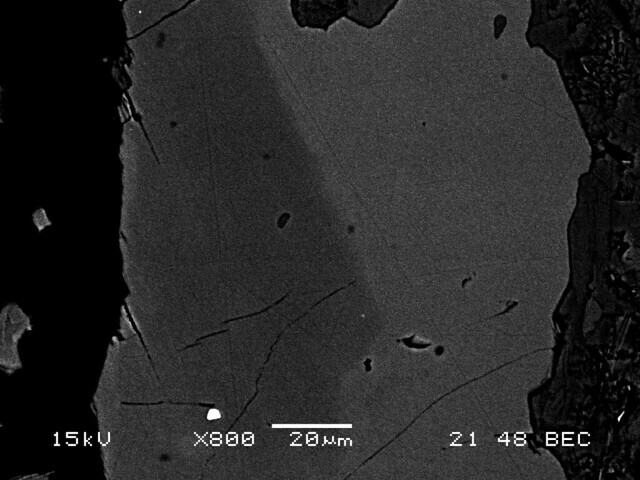 第一文献：Yoshinaga N., Aomine S. (1962) Allophane in some Ando soils. Soil Science and Plant Nutrition, 8, 6-13. 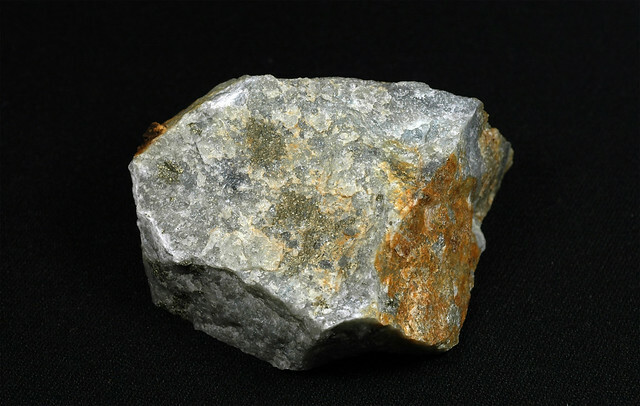 第二文献：Bayliss P. (1987) Mineralogical notes: mineral nomenclature: imogolite, Mineralogical Magazine, 51, 327. 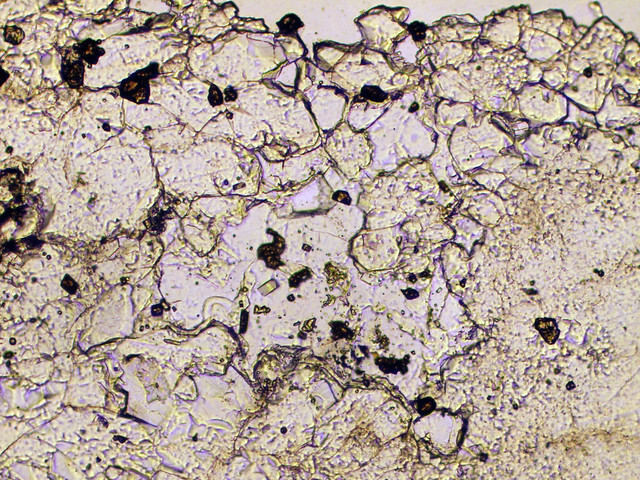 Yoshinaga Y. and Aomine S. (1962) Allophane in some Ando soils. Soil Science and Plant Nutrition, 8, 6-13. 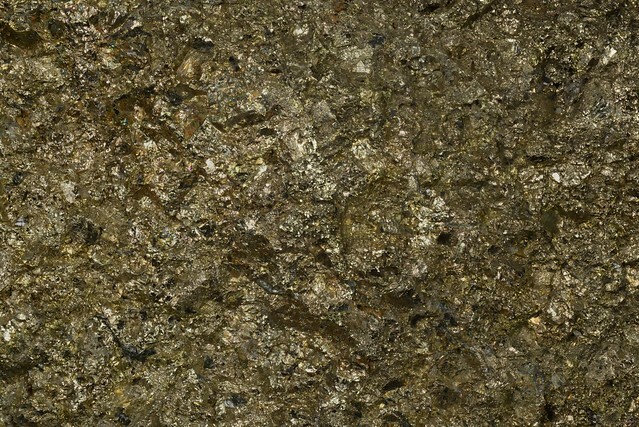 Fleischer M. (1963) New mineral names. American Mineralogist, 48, 433-437.
 International Mineralogical Association (1967) Commission on new minerals and mineral names. 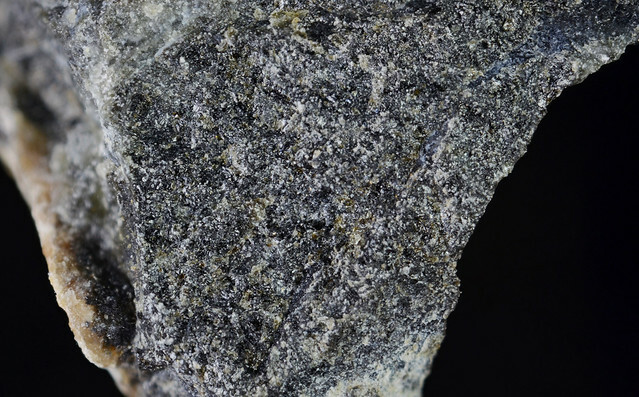 Mineralogical Magazine, 36, 131-136. Bailey S.W. (1980) Summary of recommendations of AIPEA nomenclature committee. 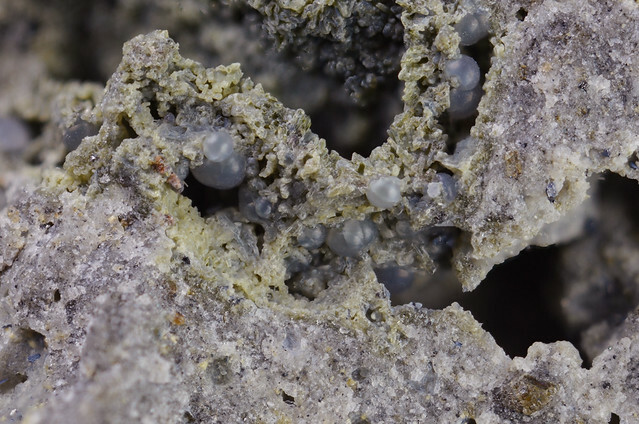 Calys and Clay Minerals, 28, 73-78. Bailey S.W. (1980) Summary of recommendations of AIPEA nomenclature committee. 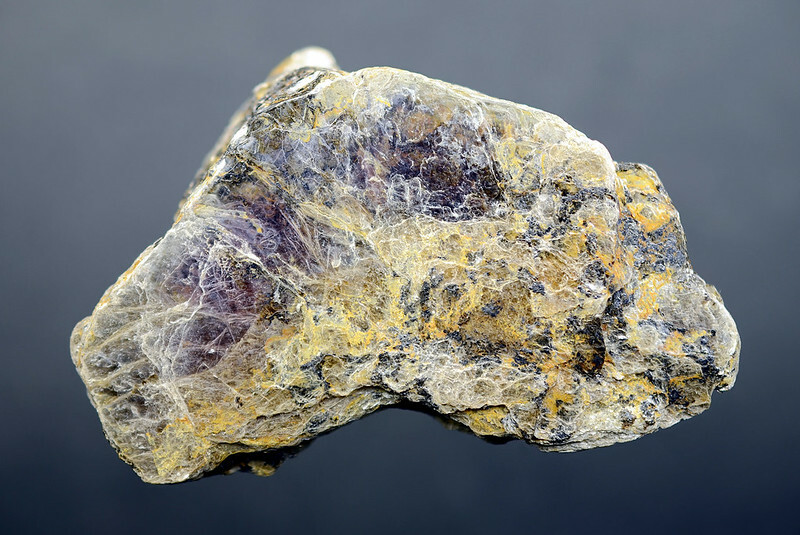 Caly Minerals, 15, 85-93. Bailey S.W. (1980) Summary of recommendations of AIPEA nomenclature committee. 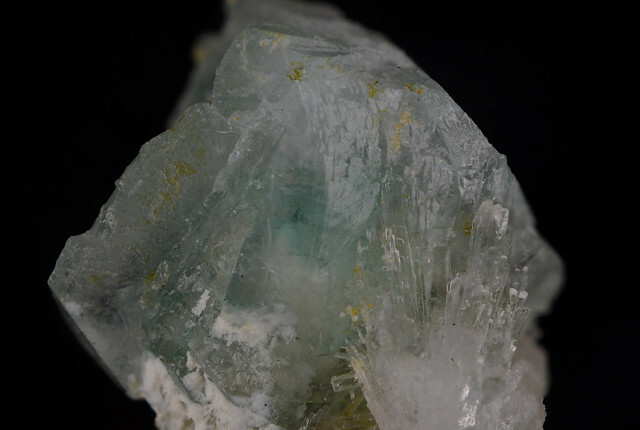 American Mineralogist, 65, 1-7. 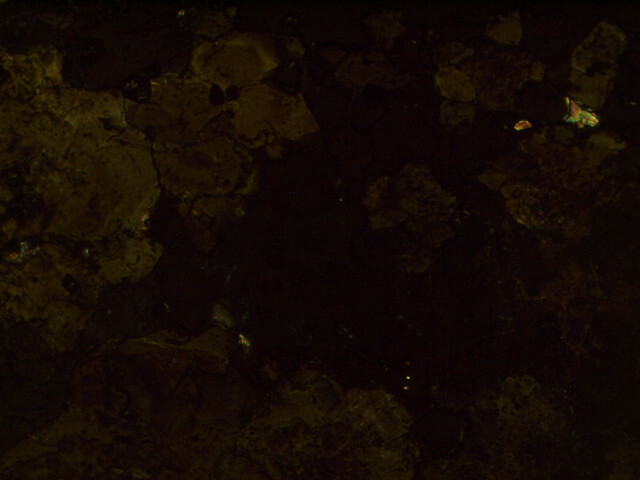 Fleischer M. (1983) Glossary of Mineral Species. 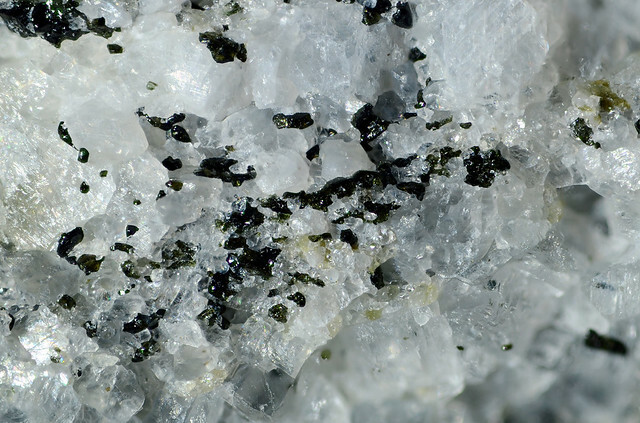 Mineralogical Record, Tucson, AZ. 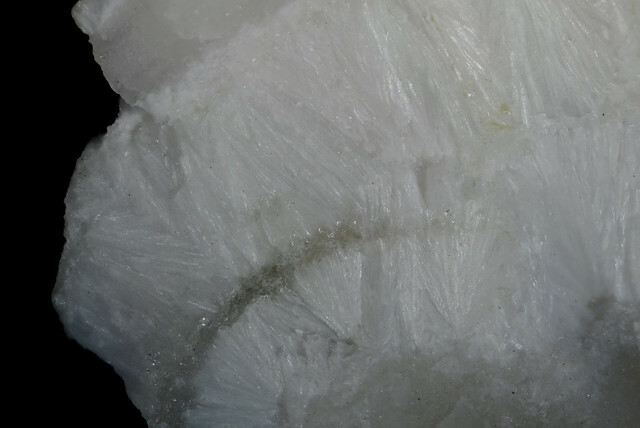 Cradwick P.D.G., Farmer V.C., Russell J.D., Masson C.R., Wada K., Yoshinaga N. (1972) Imogolite, a hydrated aluminium silicate of tubular structure. Nature Physical Science, 240, 187-189. 第一文献: Mackay A.L. 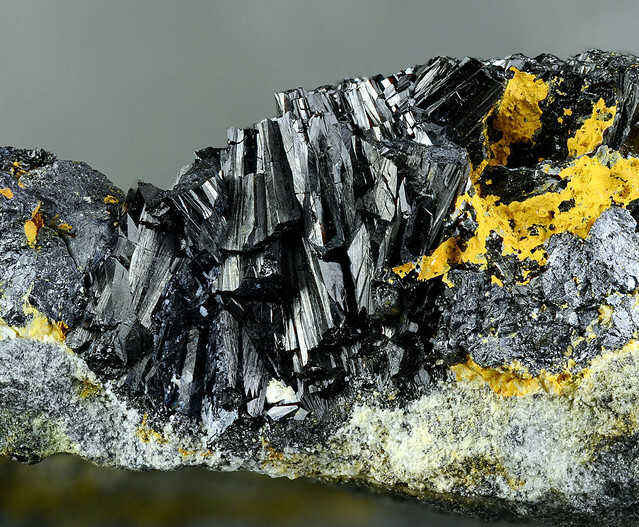 (1962) ß-ferric oxyhydroxide-akaganéite. 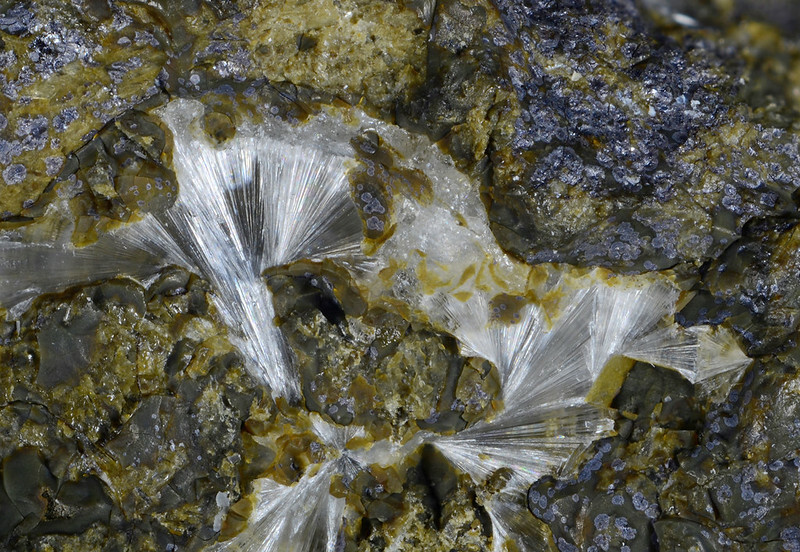 Mineralogical Magazine, 33, 270-280. 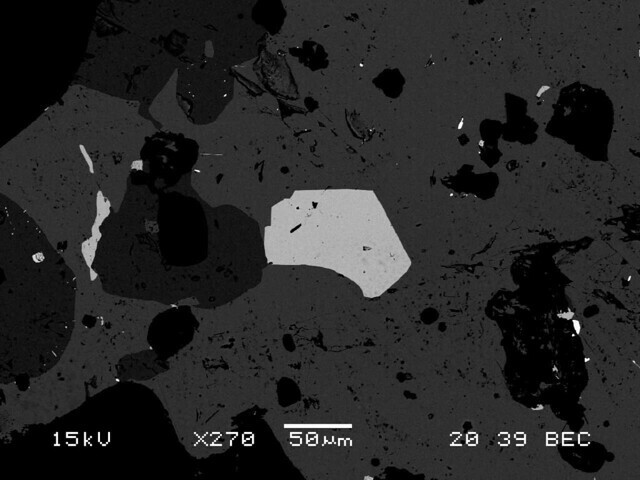 第二文献: Post J.E., Heaney P.J., von Dreele R.B., Hanson J.C. (2003) Neutron and temperature-resolved synchrotron X-ray powder diffraction study of akaganéite. American Mineralogist, 88, 782-788. 南部松夫 (1968) 岩手県赤金鉱山産新鉱物赤金鉱(β-FeOOH)について. 岩石鉱物鉱床学会誌, 59, 143-151. Burke E.A.J. 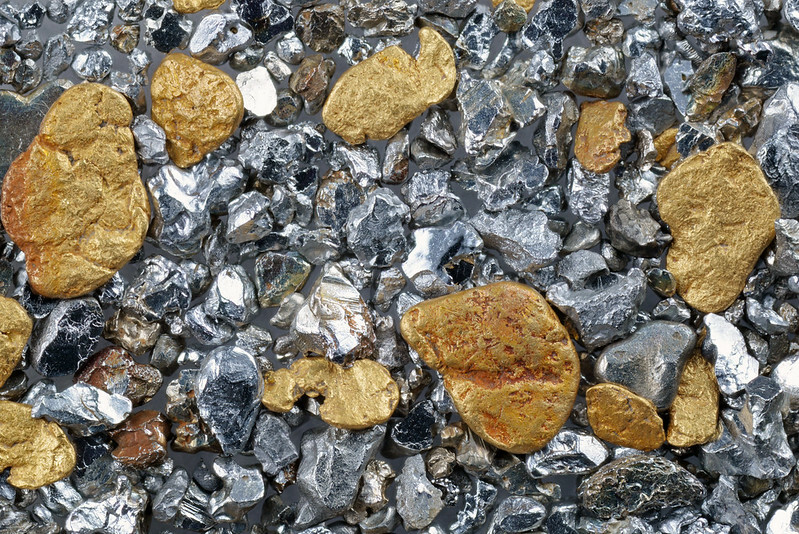 (2008) Tidying up mineral names: An IMA scheme for suffixes, hyphens and diacritical marks. 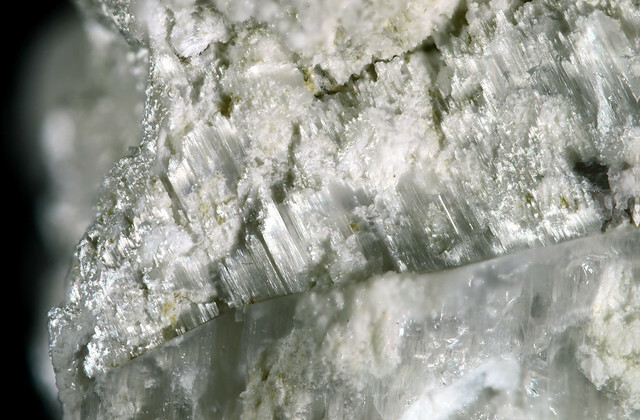 Mineralogical Record, 39, 131-135. Post J.E., Buchwald V.F. (1991) Crystal structure refinement of akaganeite. 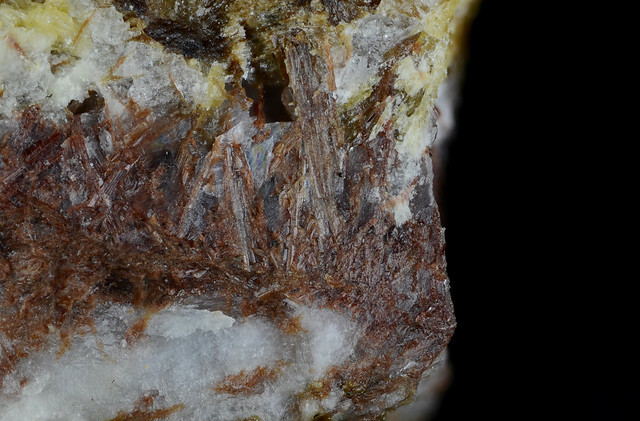 American Mineralogist, 76, 272-277. 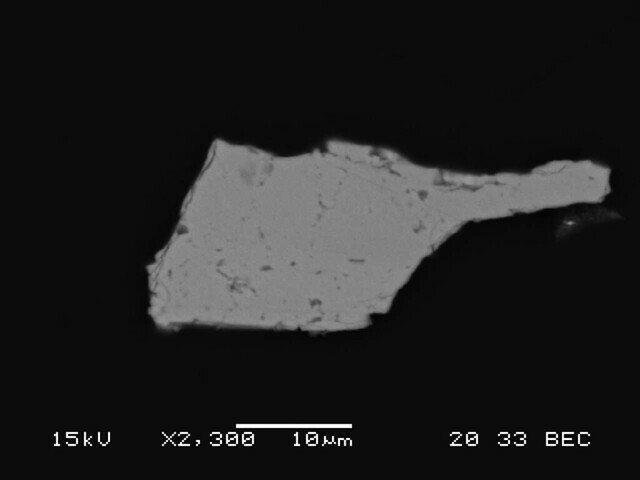 第一文献: Yoshinaga M. (1963) Sonolite, a new manganese silicate mineral. Memoirs of the Faculty of Science, Kyushu Imperial University, Series D, 14, 1-21. 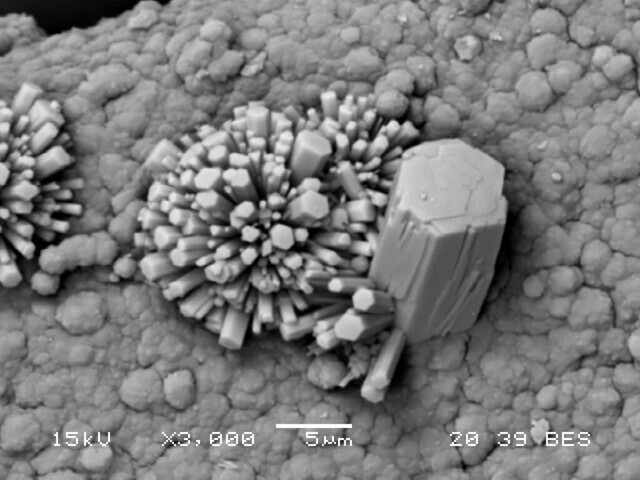 第二文献: Kato T., Ito Y., Hashimoto N. (1989) The crystal structures of sonolite and jerrygibbsite. 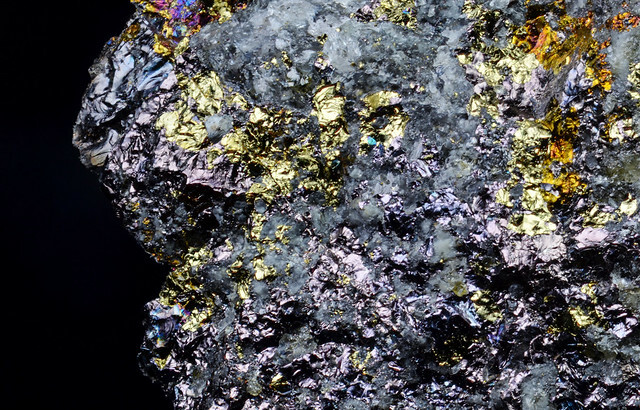 Neues Jahrbuch für Mineralogie, Monatshefte, 1989, 410-430. 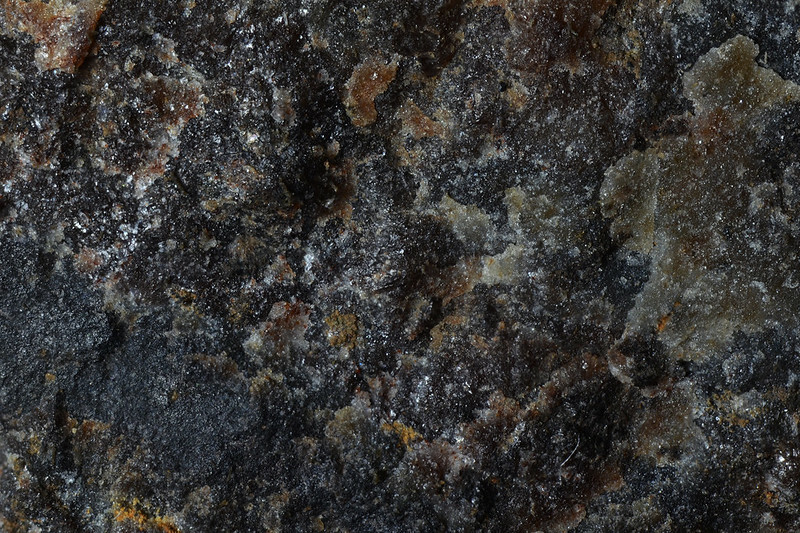 Fleischer M. (1963) New mineral names. American Mineralogist, 48, 1413-1421. 第一文献: Watanabe T., Kato A., Matsumoto T., Ito J. 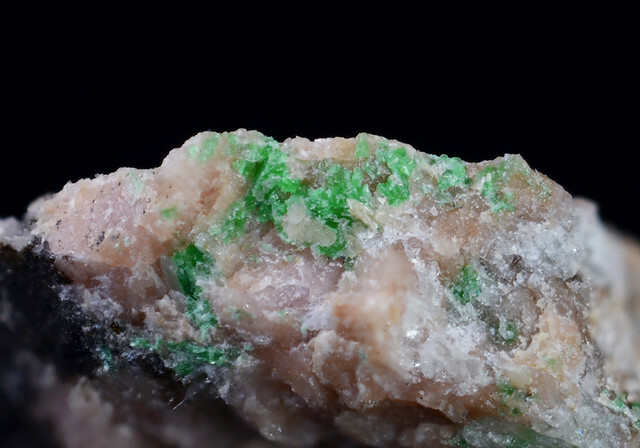 (1963) Jimboite, Mn3(BO3)2, a new mineral from the Kaso mine, Tochigi Prefecture, Japan. Proceedings of the Japan Academy, Ser. B, 39, 170-175. 第二文献: Sadanaga R., Nishimura T., Watanabe T. (1965) The structure of jimboite, Mn3(BO3)2 and relationship with the structure kotoite. 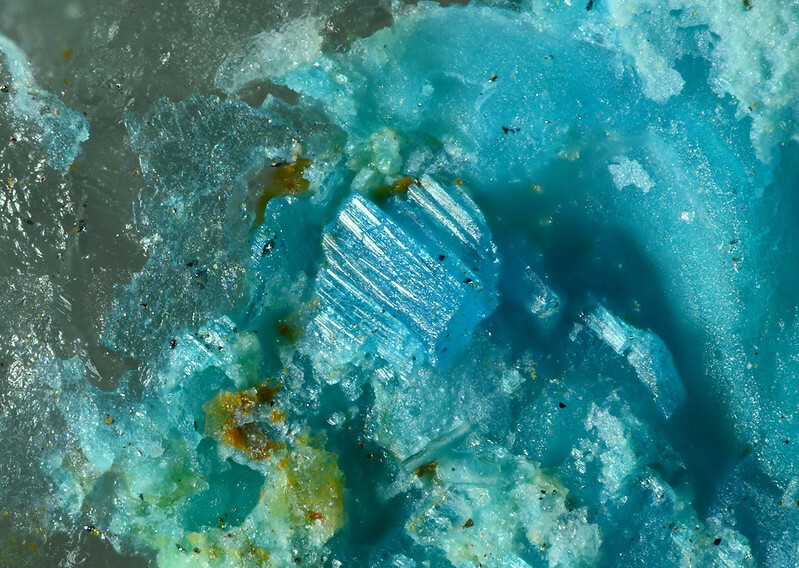 Mineralogical Journal, 4, 380-388. 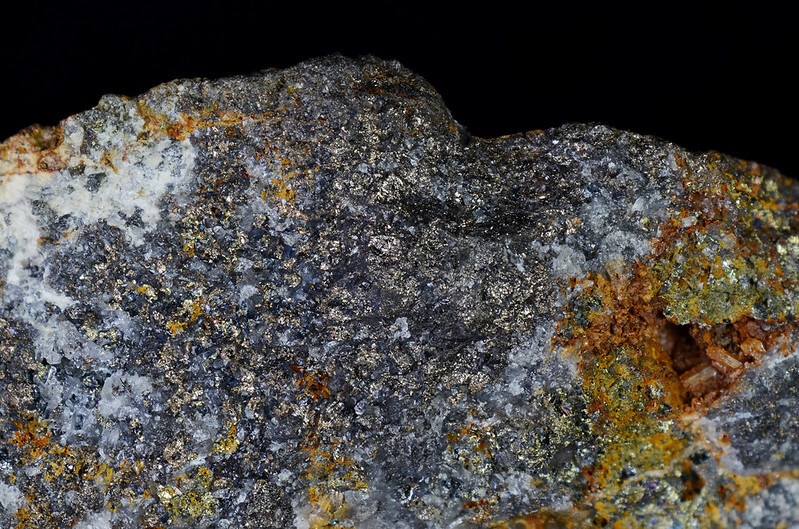 Watanabe T., Kato A., Katura T. (1963) Kotoite, Mg3(BO3)2 from the Neichi Mine, Iwate Prefecture, Japan. Proceedings of the Japan Academy, Ser. B, 39, 164-169. 佐藤傳藏 (1924) 神保理學博士を弔す. 地学雑誌, 36, 179-182. 和田維四郎, 神保小虎, 瀧本鐙三, 福地信世 (1916) 日本鉱物誌 第2版, pp.357. 和田維四郎, 伊藤貞一, 桜井欽一 (1947) 日本鉱物誌 第3版 上巻, pp.368. 浜崎健児 (2011) ユーラシア大陸を駆け抜けた神保小虎－その人物と神保をめぐる人たち. 地質学史談話会会報, 36, 27-28. 渡辺武男 (1963) 新鉱物を見いだすまで-小藤石と神保石の場合-. 科学, 33, 461-467. 第一文献：Takéuchi Y., Joswig W. (1967) The structure of haradaite and a note on the Si-O bond lengths in silicates. 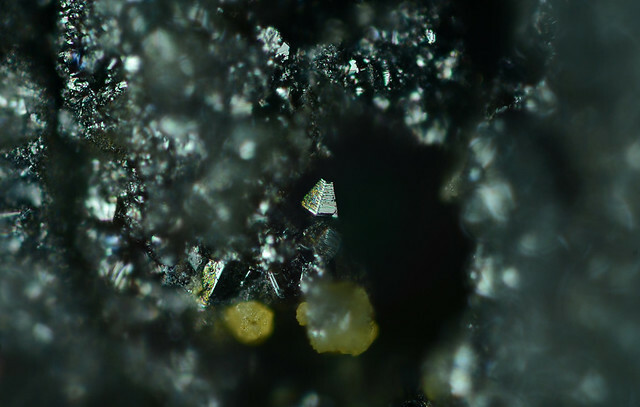 Mineralogical Journal, 5, 98-123. 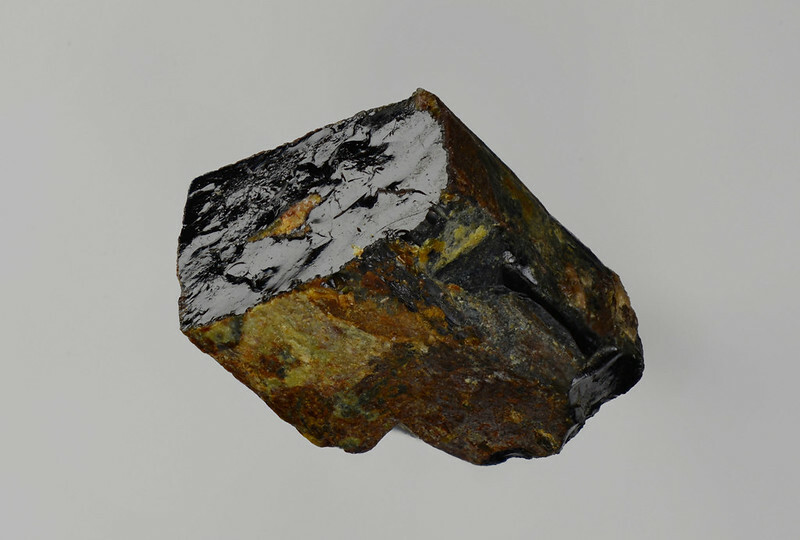 第二文献：Watanabe T., Kato A., Ito J., Yoshimura T., Momoi H., Fukuda K. (1982) Haradaite, Sr2V4+2[O2 Si4O12], from the Noda Tamagawa mine, Iwate Prefecture and the Yamato mine, Kagoshima Prefecture, Japan. Proceedings of the Japan Academy 58 B, 21-24. 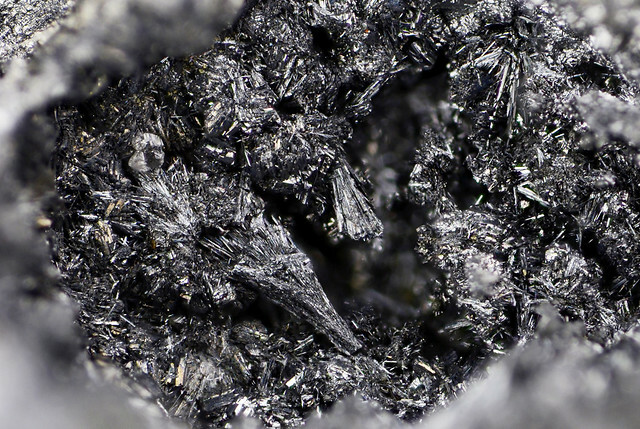 Watanabe T., Kato A., Ito J., Yoshimora T., Momoi H., Fukuda K. (1974) Haradaite, Sr2V2(O2)(Si4O12), a new mineral from the Noda Tamagawa mine, Iwate Prefecture, and the Yamato mine, Kagoshima Prefecture, Japan. 9th General Meeting of the International Mineralogical Association, Berlin Germany, 9, 97-97. Ito J. 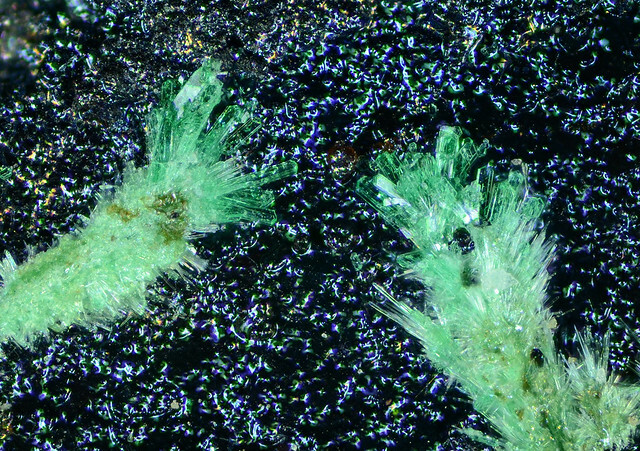 (1965) Synthesis of vanadium silicates: haradaite, goldmanite and roscoelite. 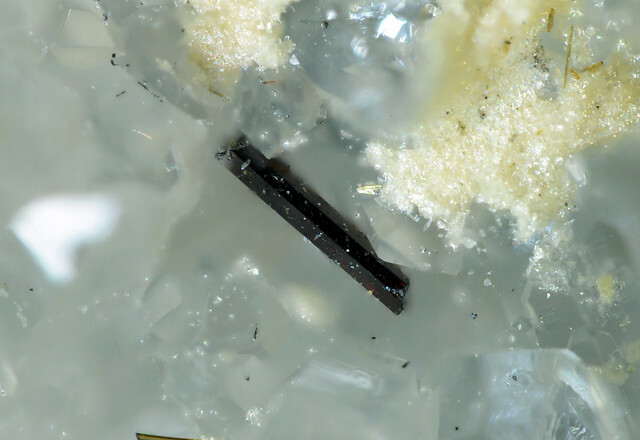 Mineralogical Journal, 4, 299-316. 第二文献：Shimizu M., Kato A., Shiozawa T. (1986) Sakuraiite: chemical composition and extent of (Zn,Fe)In-for-CuSn substitution. The Canadian Mineralogist, 24, 405-409. 門馬綱一，宮脇律朗，松原聰，重岡昌子，加藤昭，清水正明，長瀬敏郎 (2015)　櫻井鉱の結晶化学的再検討. 日本鉱物科学会2015年年会講演要旨集，R1-09, p.43. Kissin S.A., Owens D.R. 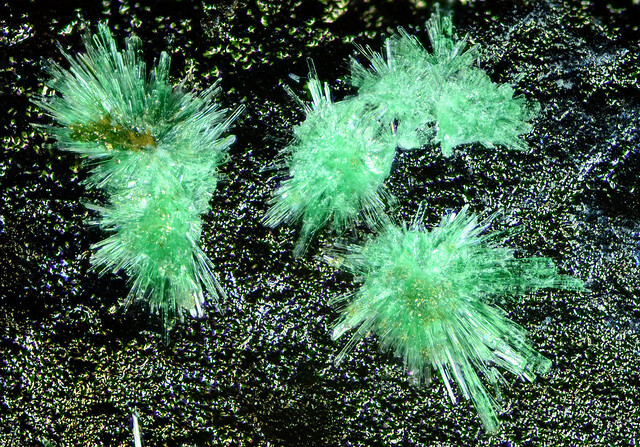 (1986) The crystallography of sakuraiite. The Canadian Mineralogist, 24, 679-683. 第一文献：南部松夫, 谷田勝俊 (1967) 岩手県小晴鉱山産新鉱物萬次郎鉱について. 岩石鉱物鉱床学会誌, 58, 39-54. 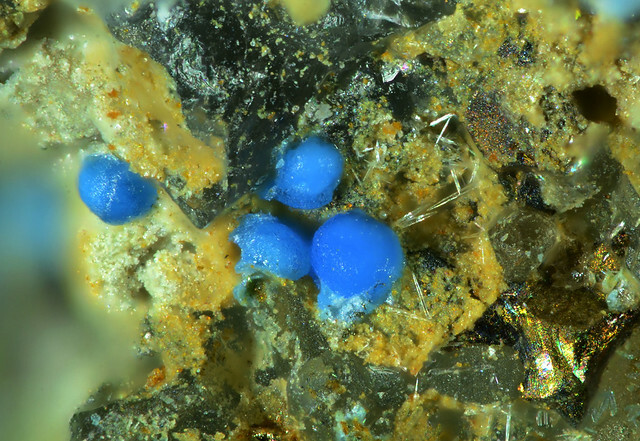 Biagioni C., Capalbo C., Pasero M. (2013) Nomenclature tunings in the hollandite supergroup. 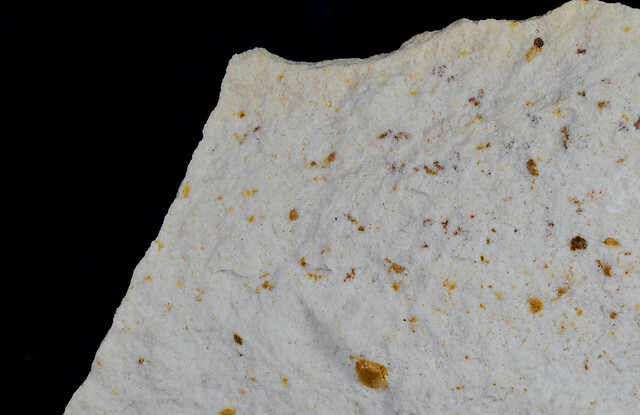 European Journal of Mineralogy, 25, 85-90. 第一文献：Kajiwara Y. 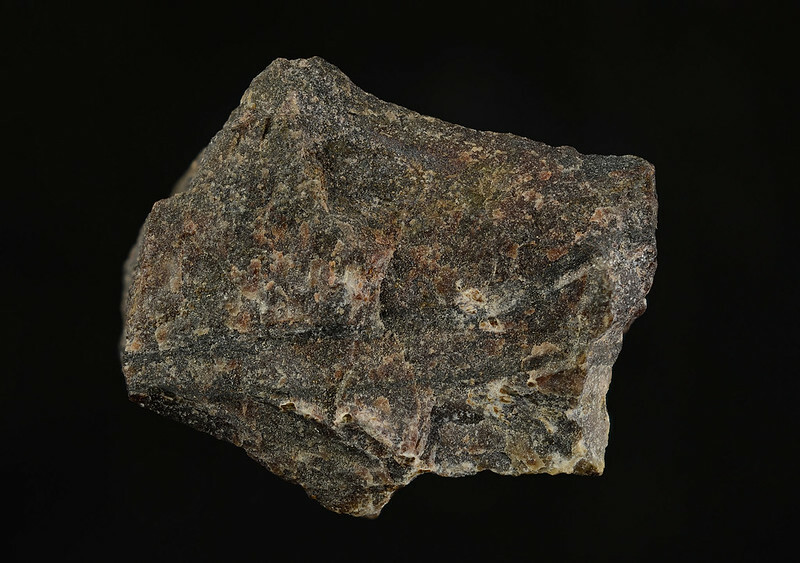 (1969) Fukuchilite, Cu3FeS8, a new mineral from the Hanawa mine, Akita Prefecture, Japan. 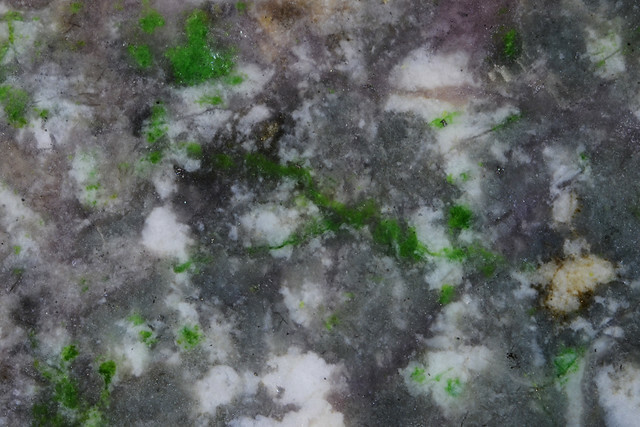 Mineralogical Journal, 5, 399-416. 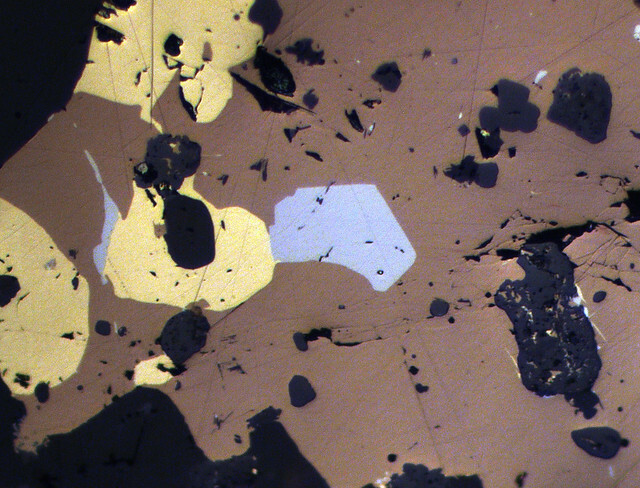 第二文献：Bayliss P. (1989) Crystal chemistry and crystallography of some minerals within the pyrite group. 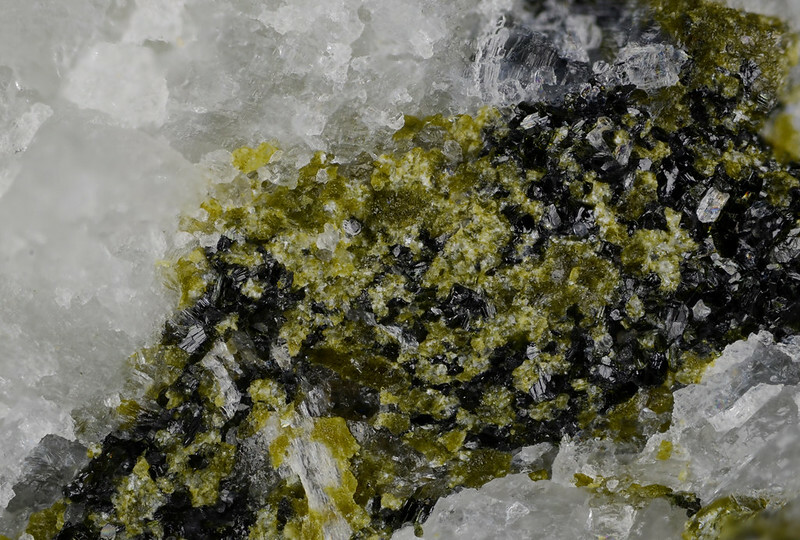 American Mineralogist 74, 1168-1176. 大橋良一 (1962) 黒鉱型鉱床の形態および成因．鉱山地質, 53, 172-174. 斎藤憲 (1984)　花輪鉱山. 日本鉱業会誌, 100, 882-887. 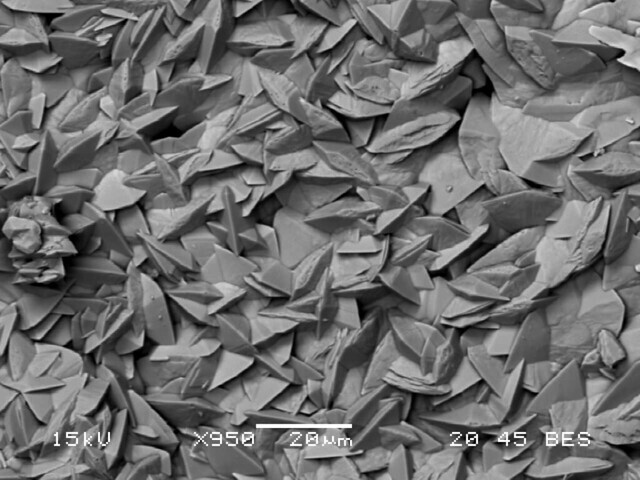 Shimazaki H., Clark L.A. (1970) Synthetic FeS2-CuS2 solid solution and fukuchilite-like minerals. The Canadian Mineralogist, 10, 648-664. 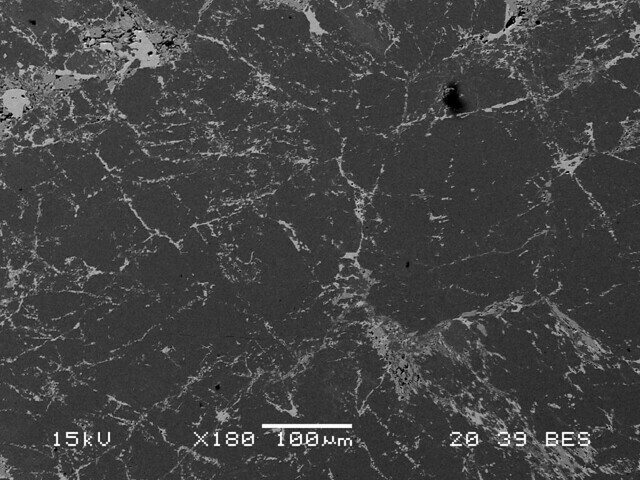 Yui S. (1972) Quantitative electron-probe microanalysis of sulphide minerals. In G. Shinoda, K. Kohra, and T. Ichinokawa, Eds. Proceedings, Sixth International Conference on X-ray Optics and Microanalysis, p.749-753. University of Tokyo Press, Tokyo. 第一文献：Kato A., Nagashima K. (1970) Iimoriite (Y,Ca,Zr)15(Mg,Fe3+,Al)(Si,Al,P)9O34(OH)16. in Introduction to Japanese Minerals, Geological Survey of Japan, 39, 85-86. 第二文献：Hughes J.M., Foord E.E., Jai-Nhuknan J., Bell J.M. 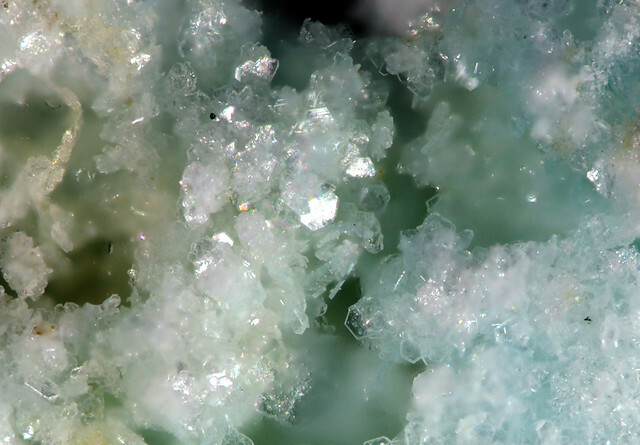 (1996) The atomic arrangement of iimoriite-(Y), Y2(SiO4)(CO3). The Canadian Mineralogist, 34, 817-820. 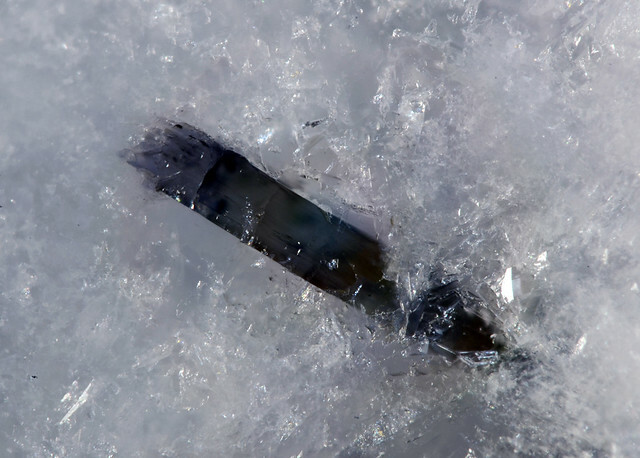 Iimori S., Hata S. (1938) Japanese Thorogummite and Its Parent Mineral. Scientific Papers of the Institute of Physical and Chemical Research, 34, 447-454. 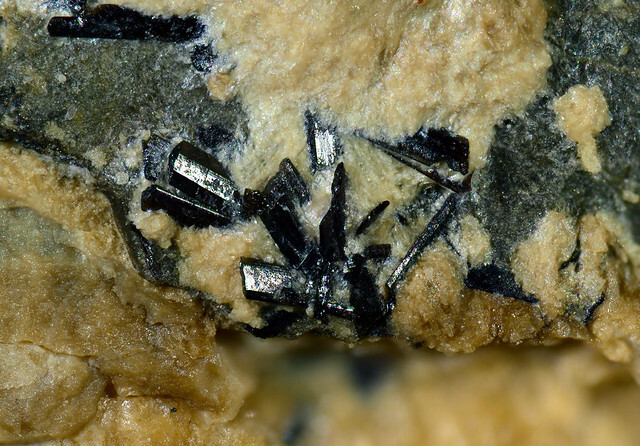 Iimori T. (1938) Tengerite found in Iisaka, and Its Chemical Composition. Scientific Papers of the Institute of Physical and Chemical Research, 34, 832-834. 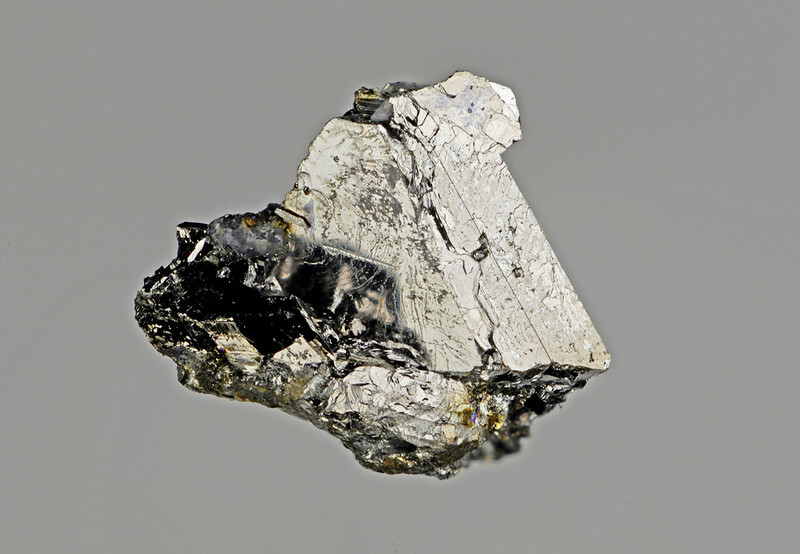 Hata S. (1938) Abukumalite, a new yttrium mineral. 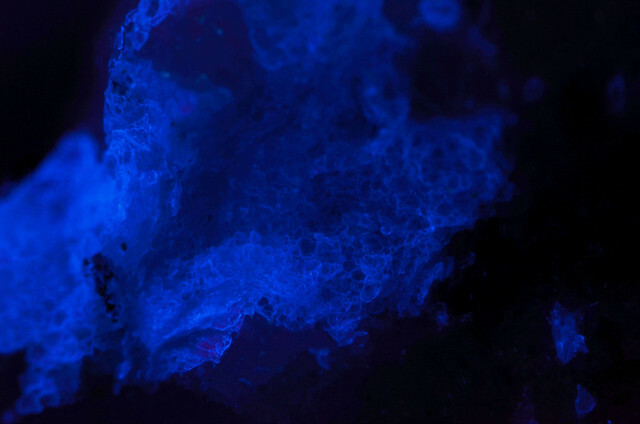 Scientific Papers of the Institute of Physical and Chemical Research, 34, 1018-1023. 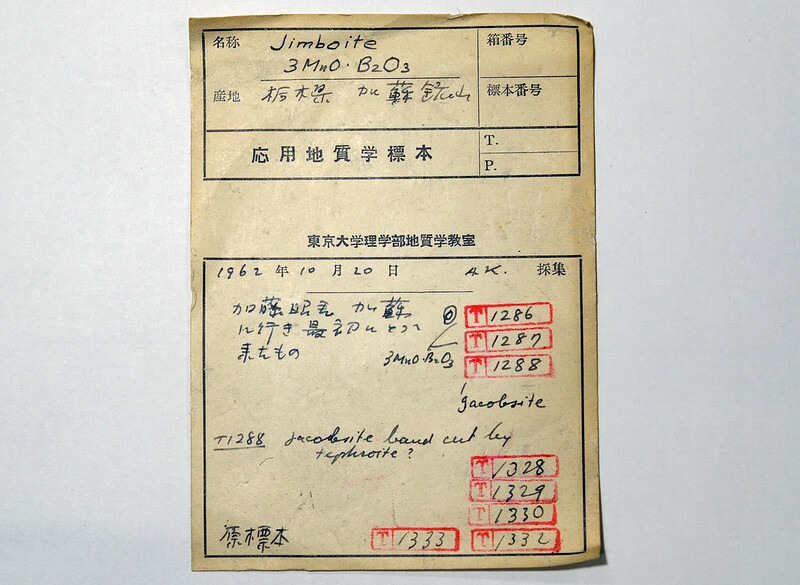 Iimori S., Yoshimura J., Hata S. (1931) A new radioactive mineral found in Japan. Sci. Papers Inst. Phys. Chem. Research, Tokyo, 15, 83-88. 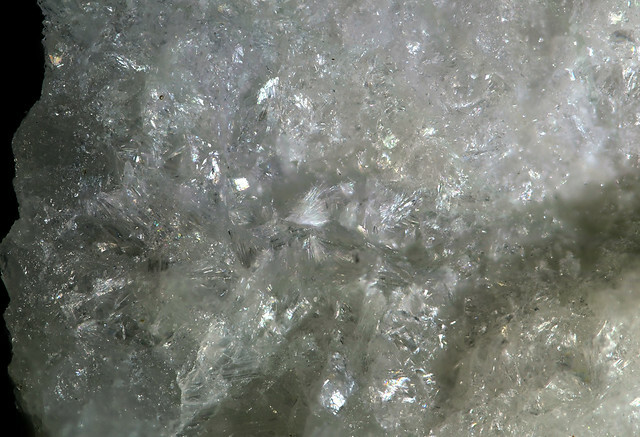 Fleischer M. (1973) New Mineral Names. American Mineralogist, 58, 139-141. Foord et al. 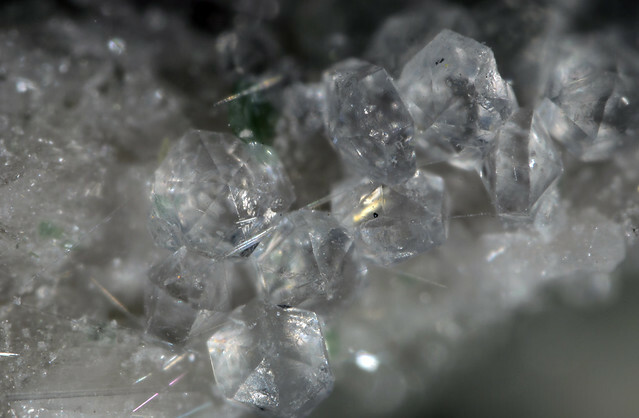 (1984) New data for iimoriite. American Mineralogist, 69, 196-199. 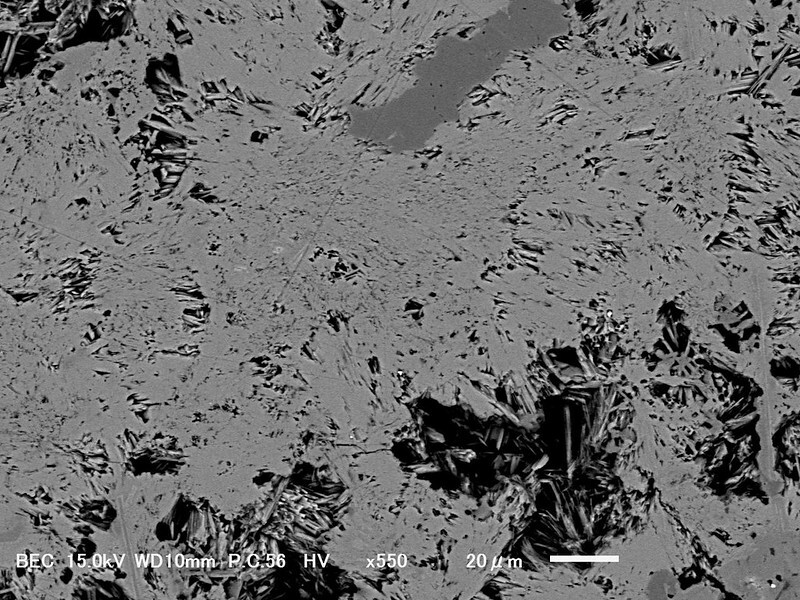 第一文献：Harada K., Iwamoto S., Kihara K. (1967) Erionite, phillipsite and gonnardite in the amygdales of altered basalt from Mazé, Niigata Prefecture, Japan. American Mineralogist, 52, 1785-1794. 第二文献：Gualtieri A., Artioli G., Passaglia E., Bigi S., Viani A., Hanson J.C. (1998) Crystal structure-crystal chemistry relationships in the zeolites erionite and offretite. American Mineralogist, 83, 590-606. 第一文献：Kato A. 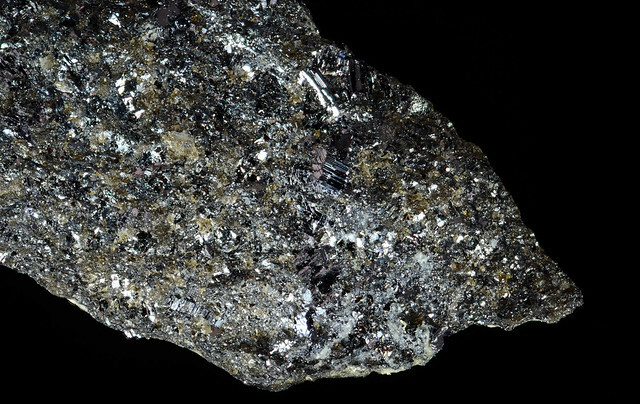 (1969) Stannoidite, Cu5(Fe,Zn)2SnS8, a new stannite-like mineral from the Konjo mine, Okayama Prefecture, Japan. Bulletin National Science Museum, Tokyo, 12, 165-172. 第二文献：Kudoh Y., Takéuchi Y. 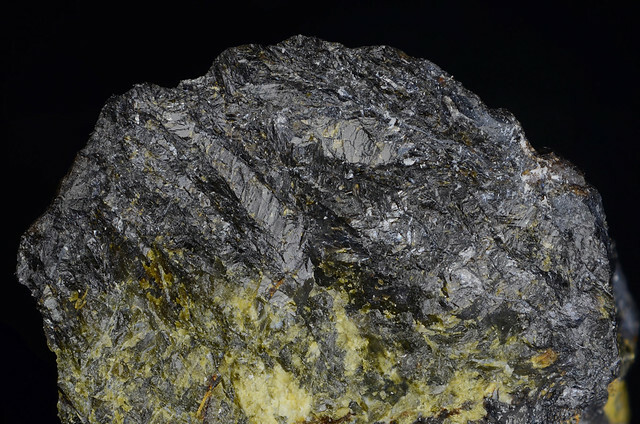 (1976) The superstructure of stannoidite. Zeitschrift für Kristallographie, 144, 145-160. Ramdohr P. (1960) Die Erzmineralien und ihre Verwachsungen, 3rd Ed. 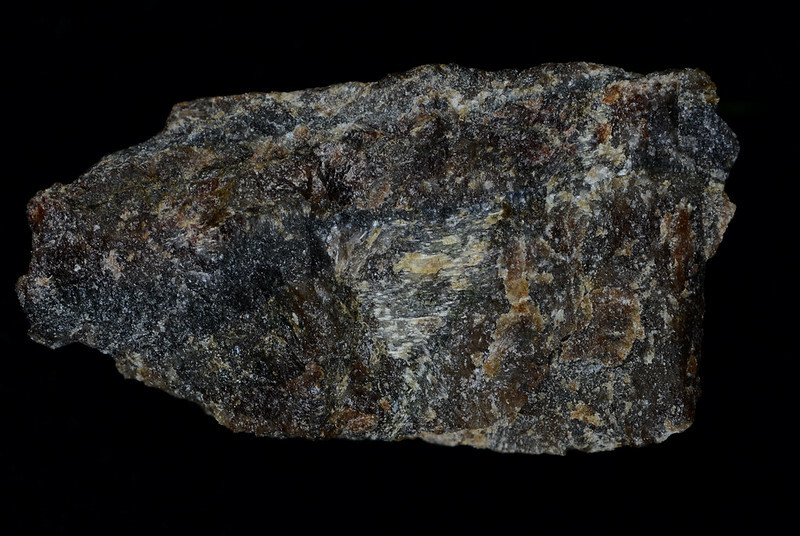 P514-515. 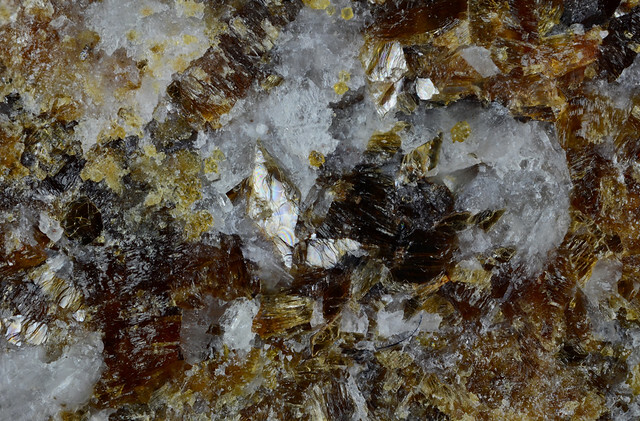 Fleischer M. (1961) New Mineral Names, American Mineralogist, 46, 1204. 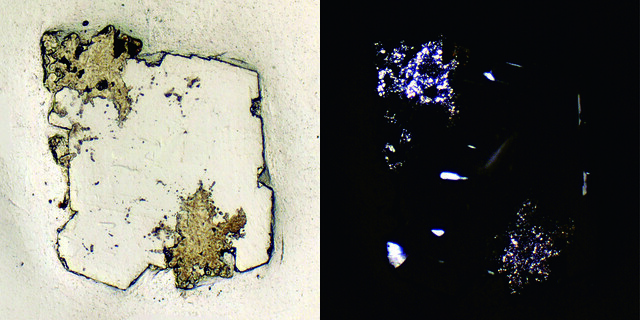 Nakamura T. (1961) Mineralization and wall-rock alteration at the Ashio copper mine, Japan. Jounal Institute Polytechnics, Osaka City University, ser.G., v.5, 53-127. 清水照夫, 加藤昭, 松尾源一郎 (1966) 京都府富国鉱山産の鉱物 特にコサラ鉱・ブーランジェ鉱・六方黄錫鉱・次成砒素鉱物について. 地学研究, 17, 201-209. 今井秀喜, 藤木良規, 塚越重明 (1967) 近畿地方西部の中生代後期ないし新生代初期鉱床生成区. 鉱山地質, 17, 50 (第17回学術講演要旨). Kato A. and Fujiki Y. 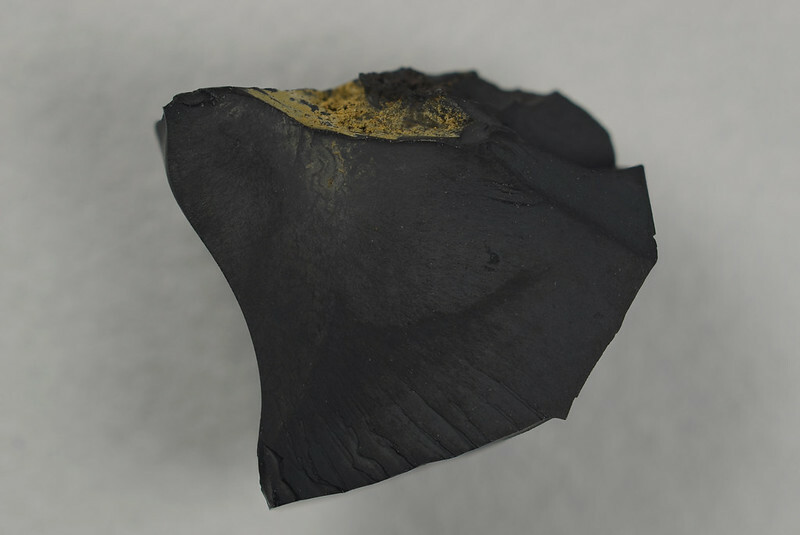 (1969) The occurrence of stannoidites from the xenothermal ore deposits of the Akenobe, Ikuno, and Tada mines, Hyogo Prefecture, and the Fukoku mine, Kyoto Prefecture, Japan. 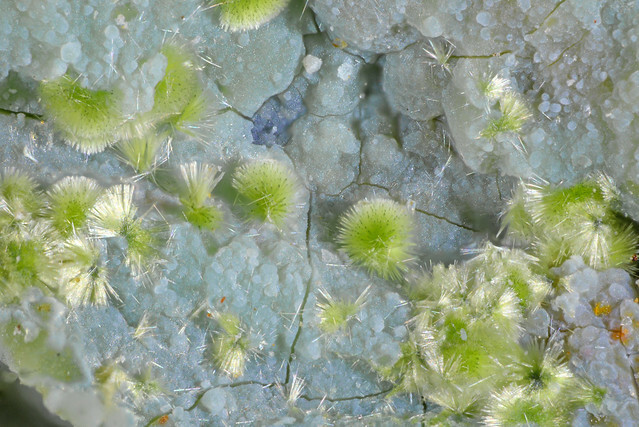 Mineralogical Journal, 5, 417-433. 第一文献：南部松夫, 谷田勝俊, 北村強 (1969) 岩手県田野畑鉱山産新鉱物神津閃石について. 岩石鉱物鉱床学会誌, 62, 311-328. 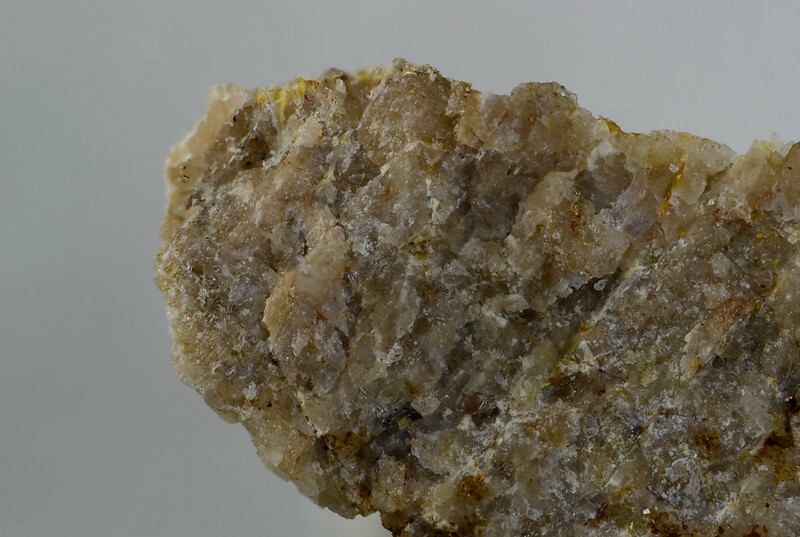 第二文献：Barkley M.C., Yang H., Downs R.T. (2010) Kôzulite, an Mn-rich alkali amphibole. 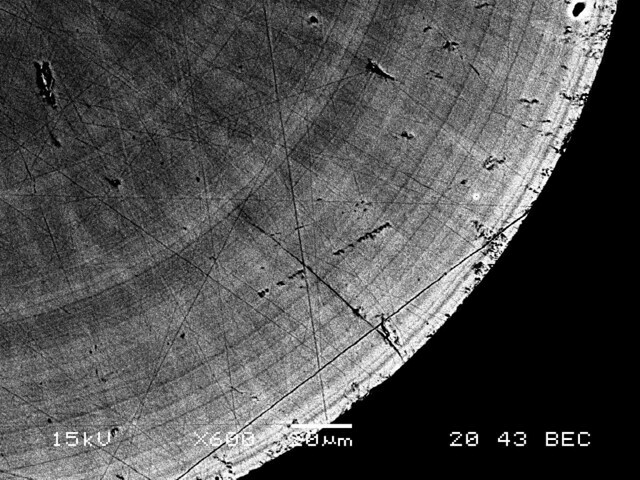 Acta Crystallographica. E66, i83. 第一文献： Morimoto N., Koto K., Shimazaki Y. 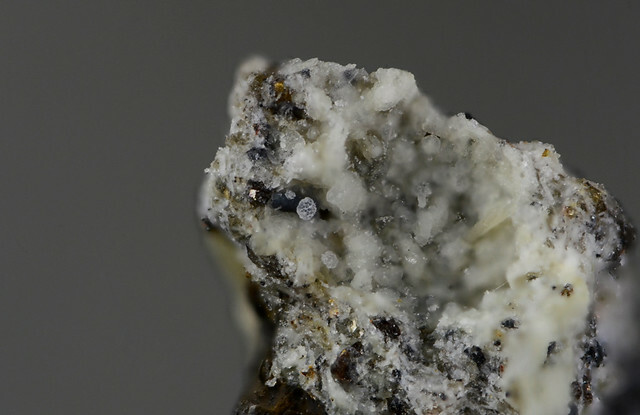 (1969) Anilite, Cu7S4, a new mineral. 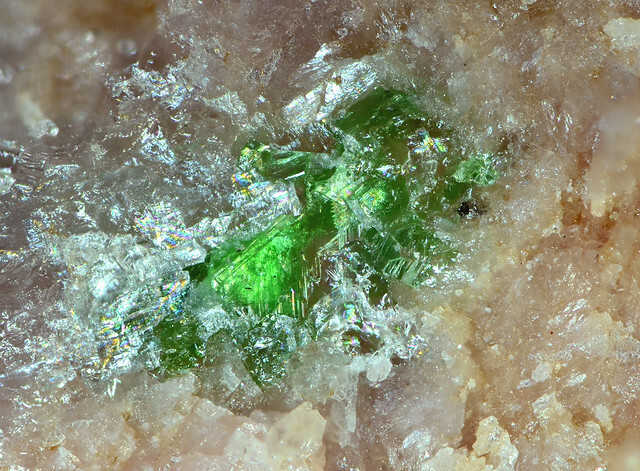 American Mineralogist, 54, 1256-1269. 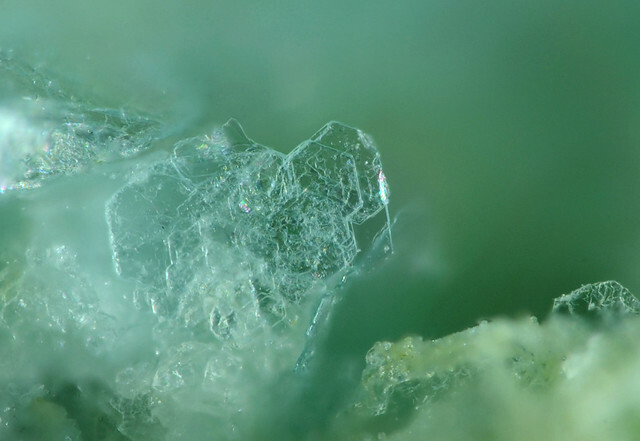 第二文献：Koto K., Nobuo M. (1970) The crystal structure of anilite. 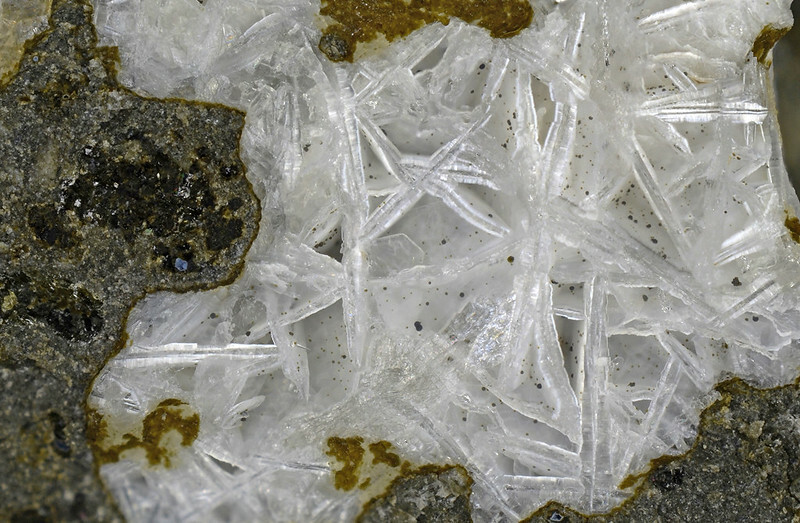 Acta Crystallographica, B26, 915-924. 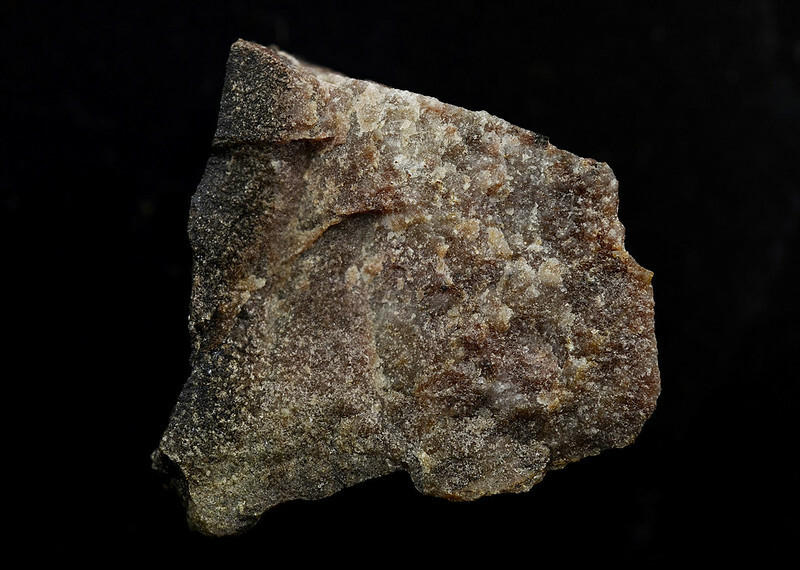 Roseboom E.H.　(1962) Djurleite, Cu1.96S, a new mineral. American Mineralogist, 47, 1181-1184. 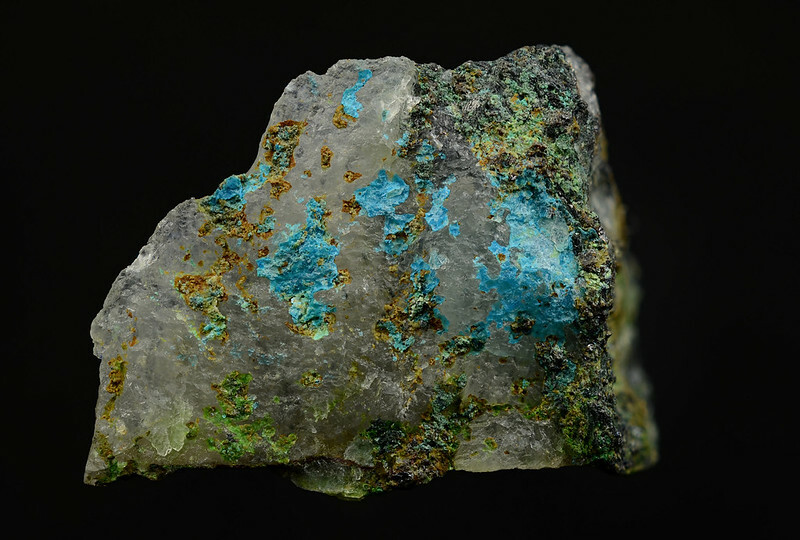 Morimoto N (1962) Djurleite, a new copper sulphide mineral. 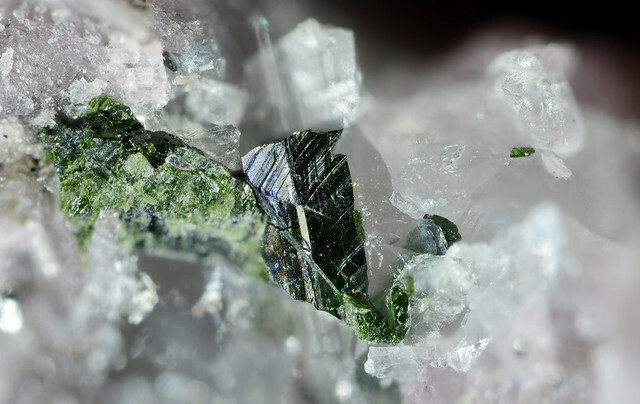 Mineralogical Journal, 3, 338-344. 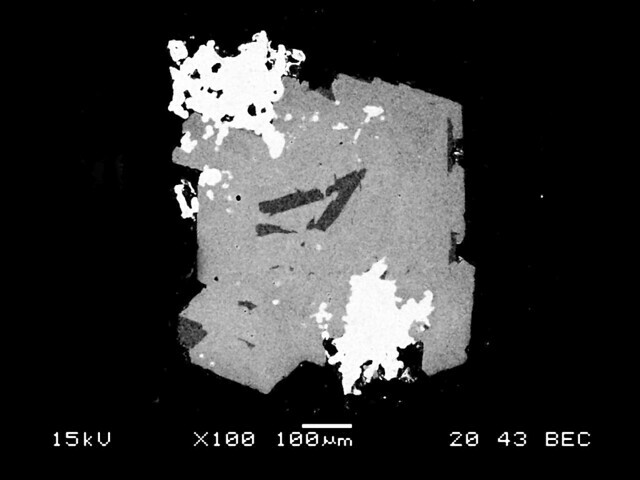 Morimoto N., Koto K. (1970) Phase relations of the Cu-S system at low temperatures: stability of anilite. 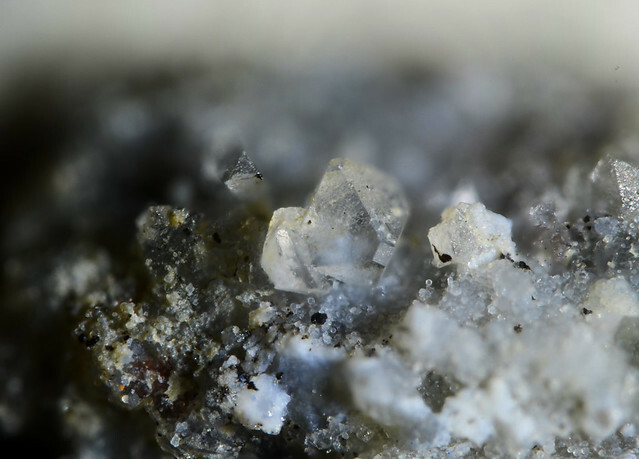 American Mineralogist, 55, 106-117. 第一文献： Kato A (1970) Kawazulite Bi2Te2Se, in Introduction to Japanese Minerals, Geological Survey of Japan, 39, 87-88. 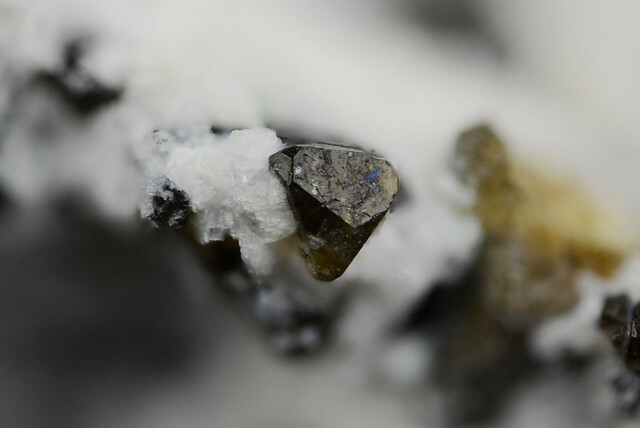 第二文献：Miller R (1981) Kawazulite Bi2Te2Se, related bismuth minerals and selenian covellite from the Northwest Territories. The Canadian Mineralogist, 19, 341-348. 加藤昭 (1969) 新鉱物河津鉱（Kawazulite）Bi2Te2Se. 日本鉱物学会年会講演予講集, P33. Kato A. (1970) Kawazulite Bi2Te2S, in Introduction to Japanese Minerals, Geological Survey of Japan, 39, 87-88. 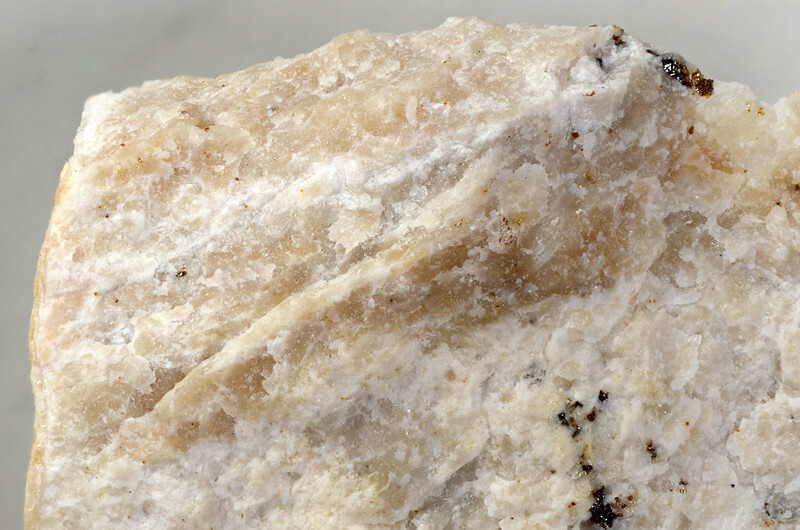 Fleischer M. (1972) New mineral names. American Mineralogist, 57, 1311-1317. 加藤昭 (1973) 櫻井鉱物標本, 櫻井欽一博士還暦記念事業会, pp.177. 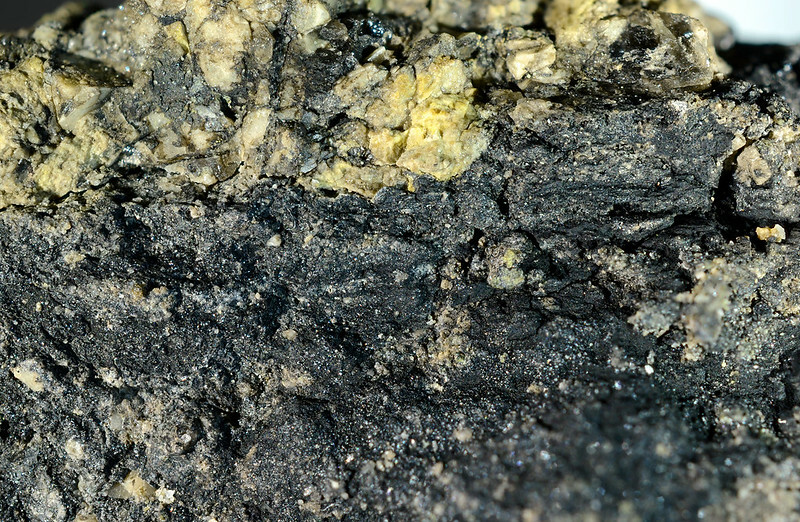 Miller R. (1981) Kawazulite Bi2Te2Se, related bismuth minerals and selenian covellite from the Northwest Territories. The Canadian Mineralogist, 19, 341-348. 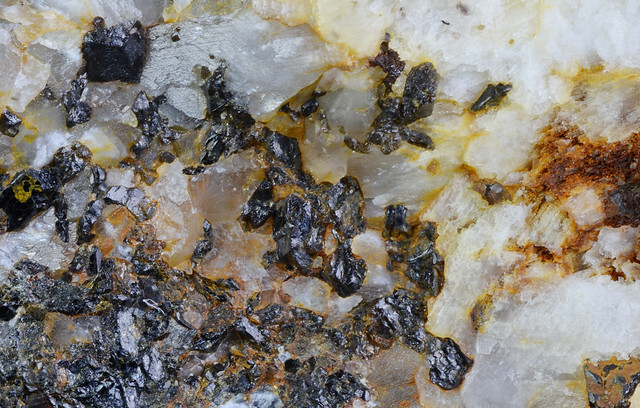 Shimizu M., Schmidt S.T., Stanley C.J., Tsunoda K.(1995) Kawazulite and unnamed Bi3(Te, Se, S)4in Ag-Bi-Te-Se-S mineralization from the Suttsu mine, Hokkaido, Japan. 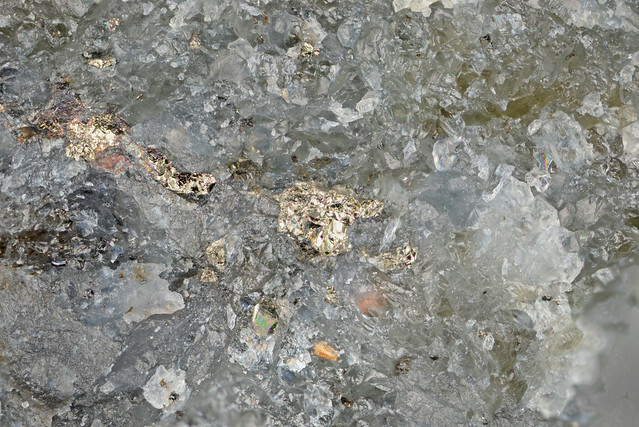 Neues Jahrbuch für Mineralogie – Abhandlungen, 169, 305–308. Nakajima S. (1963) The crystal structure of Bi2Te3-xSex. Journal of Physics and Chemistry of Solids, 24, 479-485. 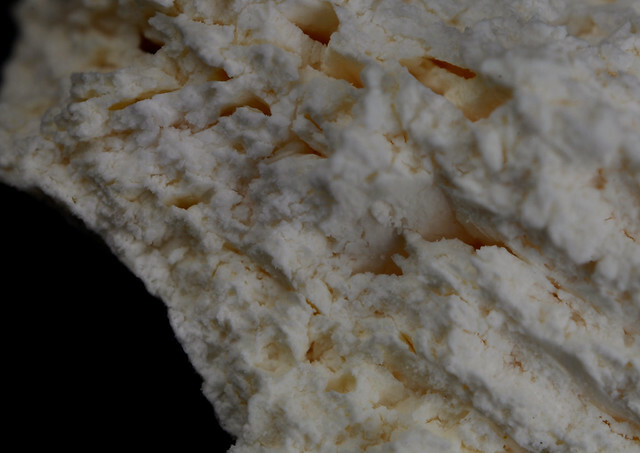 Gehring P., Benia H.M., Weng Y., Dinnebier R., Ast, C.R., Burghard M., Kern K. (2013) A Natural Topological Insulator. Nano Letters, 13, 1179-1184. 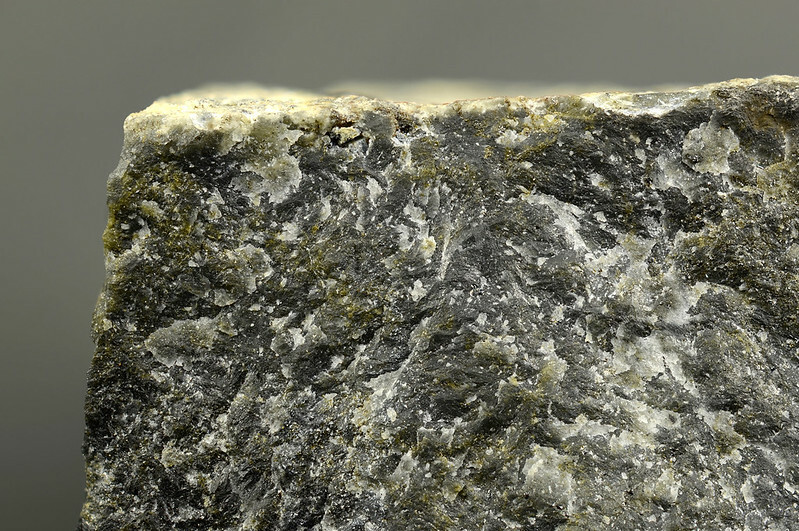 第一文献: Kato A., Sakurai K., Ohsumi K. (1970) Wakabayashilite (As,Sb)11S18, in Introduction to Japanese Minerals, Geological Survey of Japan, 39, 92-93. 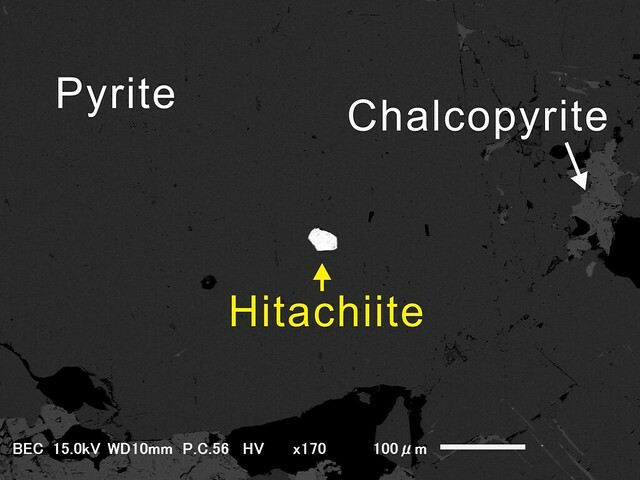 第二文献: Bindi L, Bonazzi P, Zoppi M, Spry P G (2014) Chemical variability in wakabayashilite: a real feature or an analytical artifact?. 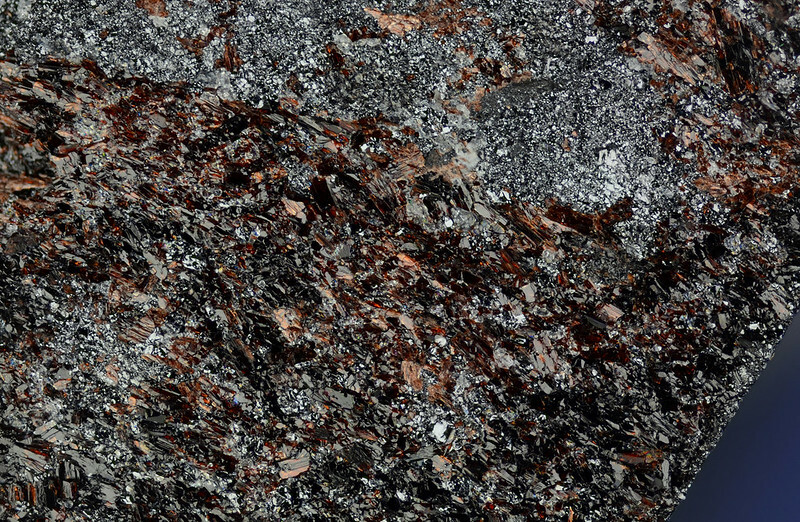 Mineralogical Magazine, 78, 693-702. 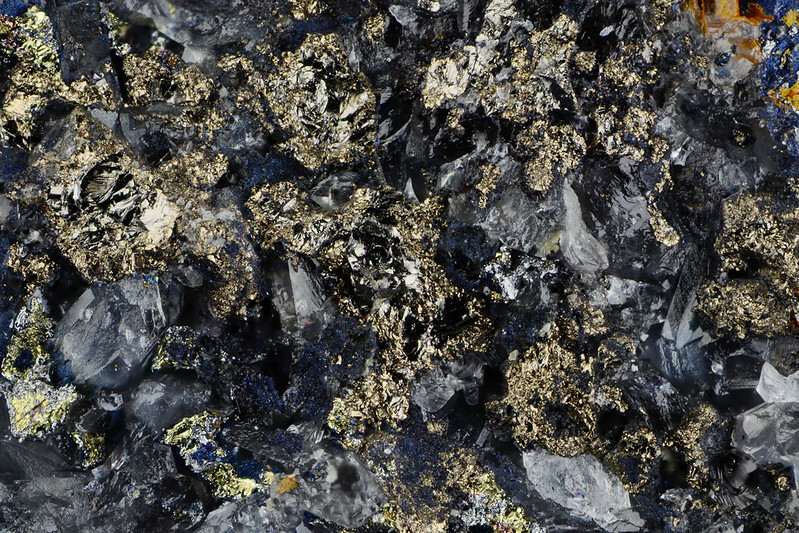 Sadanaga R., Bunno M. (1974) The Wakabayashi Mineral Collection. The University Museum, The University of Tokyo, University of Tokyo Press, pp.177. 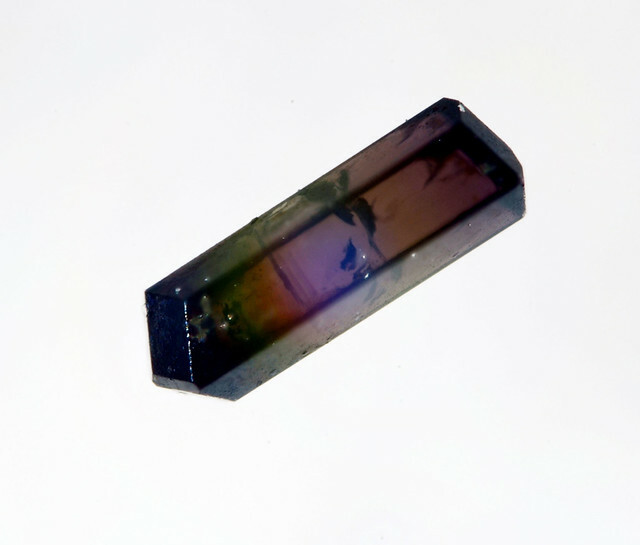 Ito T. (1937) Birträge zur Mineralogie von Japan (II). 鉱物會, pp.168. 伊藤貞一, 櫻井欽一 (1947) 日本鉱物誌第三版 上巻, 中文館書店, pp.568. 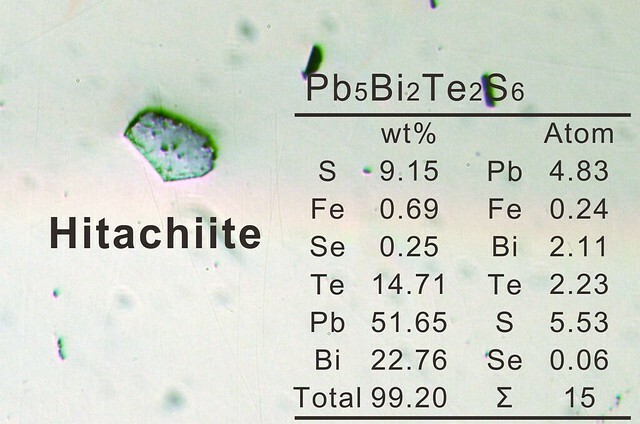 Bonazzi P., Lampronti G.I., Bindi L., Zandari S. (2005) Wakabayashilite, [(As,Sb)6S9][As4S5]: crystal structure, psuedosymmetry, twinning, and revised chemical formula. 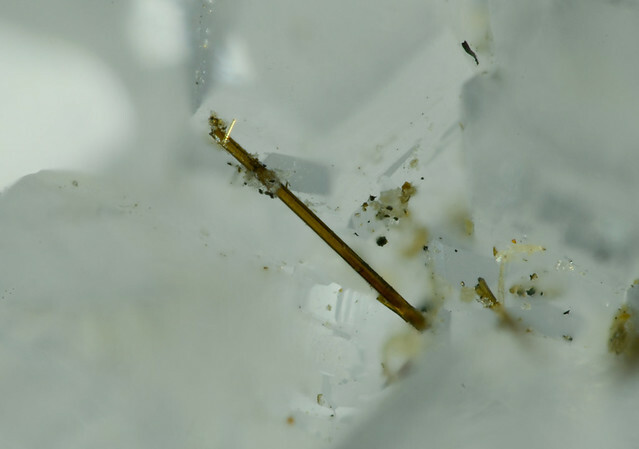 American Mineralogist, 90, 1108-1114. 第一文献: 南部松夫, 谷田勝俊 (1971) 新鉱物高根鉱について. 岩石鉱物鉱床学会誌, 65, 1-15. 第二文献: Kim S.J. (1991) New characterization of takanelite. American Mineralogist, 76, 1426-1430. 坂巻幸雄 (1988)　南部鉱石標本－山岡標本、筑波へ. 地質ニュース, 410, 9-10. 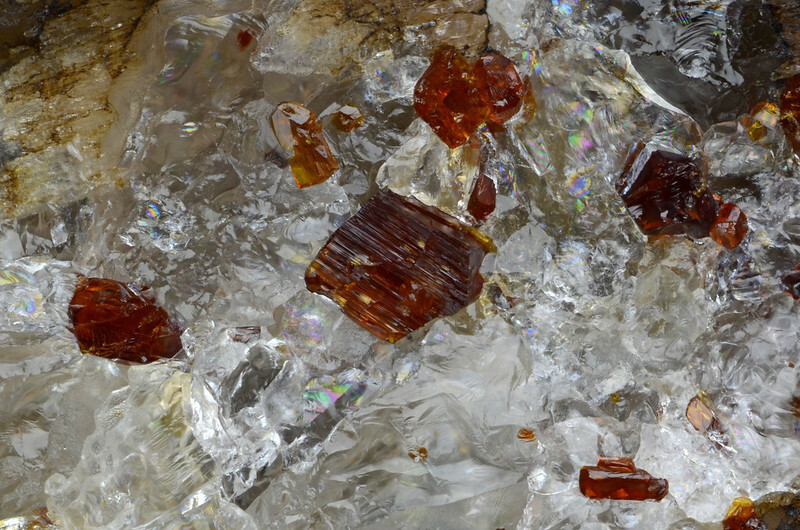 Ertl A., Pertlik F., Prem M., Post J.E., Kim S.J., Brandstatter F., Schuster R. (2005) Ranciéite crystals from Friesach, Carinthia, Austria. 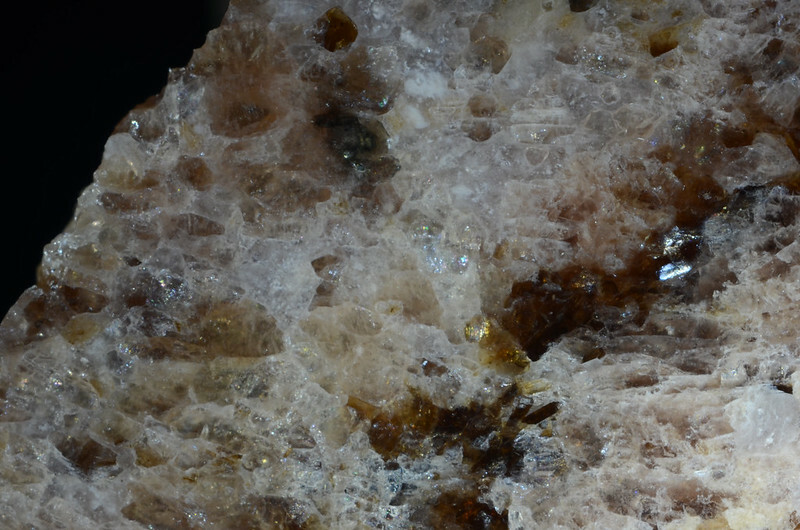 European Journal of Mineralogy, 17, 163-172. 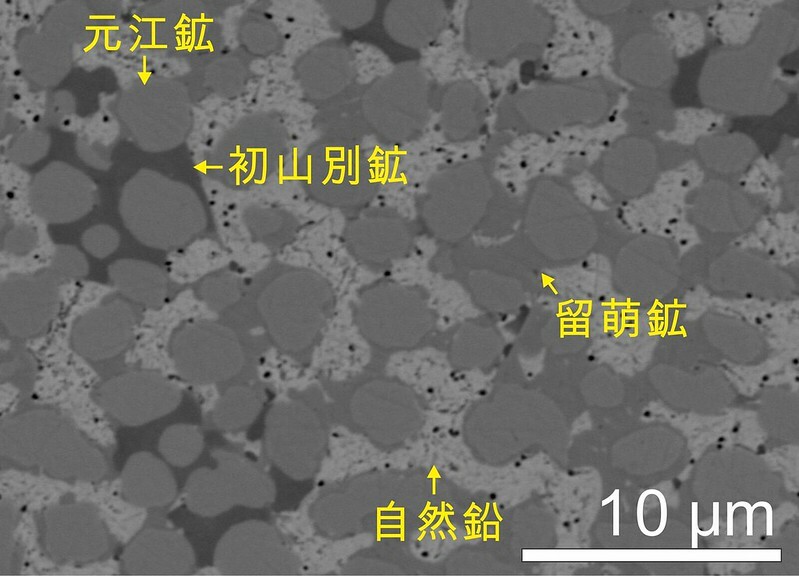 第二文献: Nagashima M, Armbruster T, Kolitsch U, Pettke T (2014) The relation between Li ↔ Na substitution and hydrogen bonding in five-periodic single-chain silicates nambulite and marsturite: A single-crystal X-ray study. 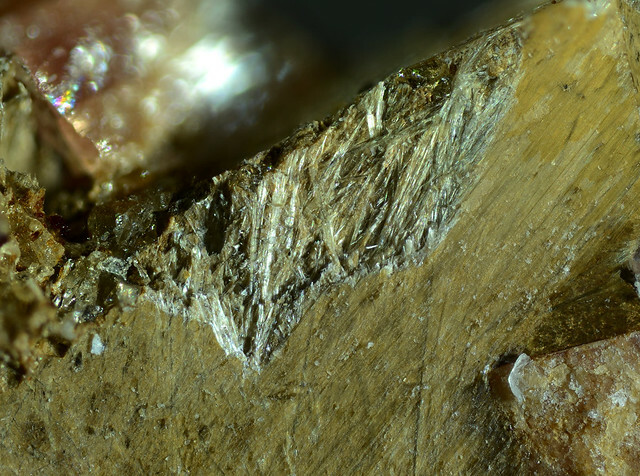 American Mineralogist, 99, 1462-1470. 南部松夫 (1969) 福島県鉱物誌. 福島県企画開発部開発課, pp.265. 南部松夫 (1972) 宮城県鉱物誌. 宮城県商工労働部中小企業課, pp.141. Ito J. 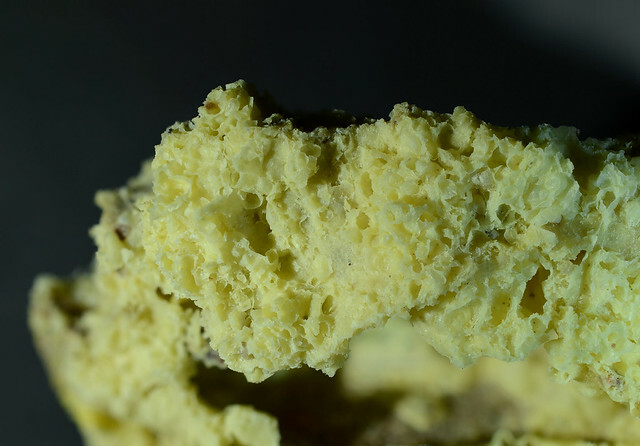 (1972) Synthesis and crystal chemistry of Li-hysro-pyroxenoids. 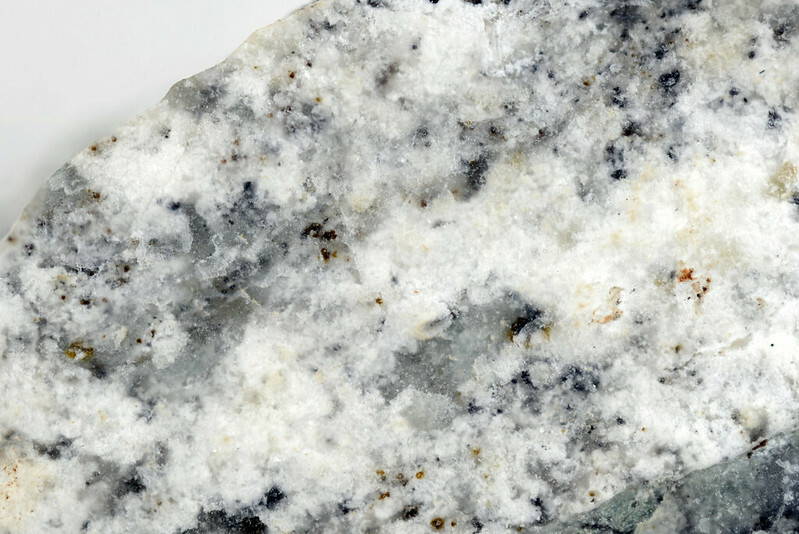 Mineralogical Journal, 7, 45-65. Narita H., Koto K., Morimoto N., Yoshii M. (1975) The crystal structure of nambulite (Li,Na)Mn4Si5O14(OH). 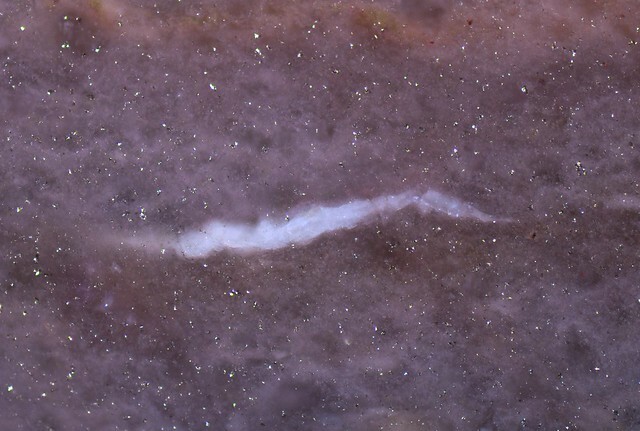 Acta Crystallographica, B31, 2422-2426. 砂川一郎 (1982) 南部石と杉石 日本で新鉱物として発見され、その後宝石質の結晶が見つかっためずらしい鉱物2種. 宝石学会誌, 9, 19-23. 第一文献: Harris D.C., Cabri L.J. 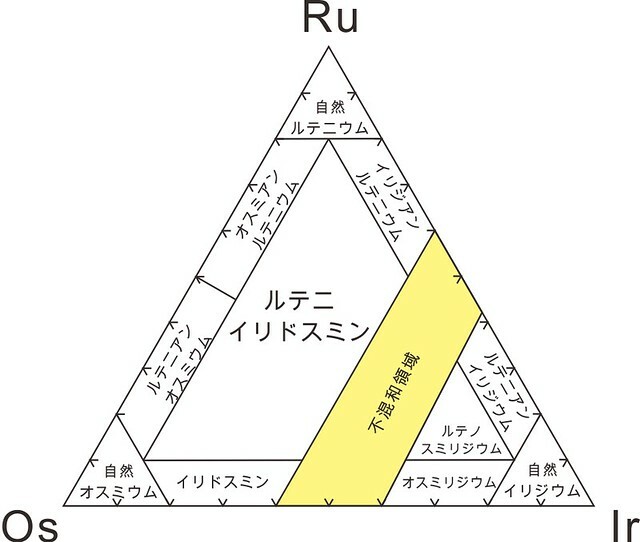 (1973) The nomenclature of the natural alloys of osmium, iridium and ruthenium based on new compositional data of alloys from world-wide occurrences. The Canadian Mineralogist, 12, 104-112. 第二文献: Harris D.C., Cabri L.J. (1991) Nomenclature of platinum-group-element alloys: review and revision. The Canadian Mineralogist, 29, 231-237. 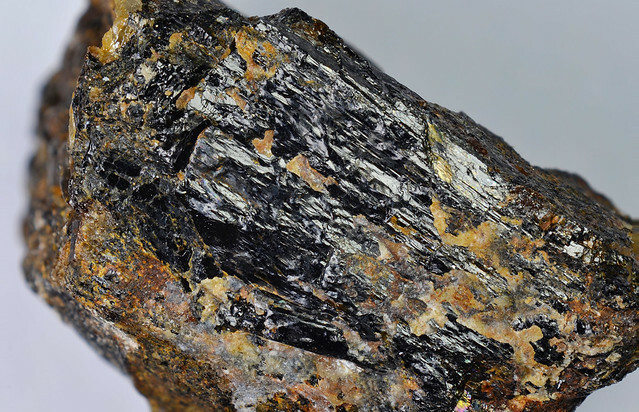 Aoyama S. (1936) A New mineral “Ruthenosmiridium”. The Science reports of the Tohoku Imperial University. Series 1, Mathematics, Physics, Chemistry, Anniversary Voume dedicated to Professor Kotaro Honda, 527-547. 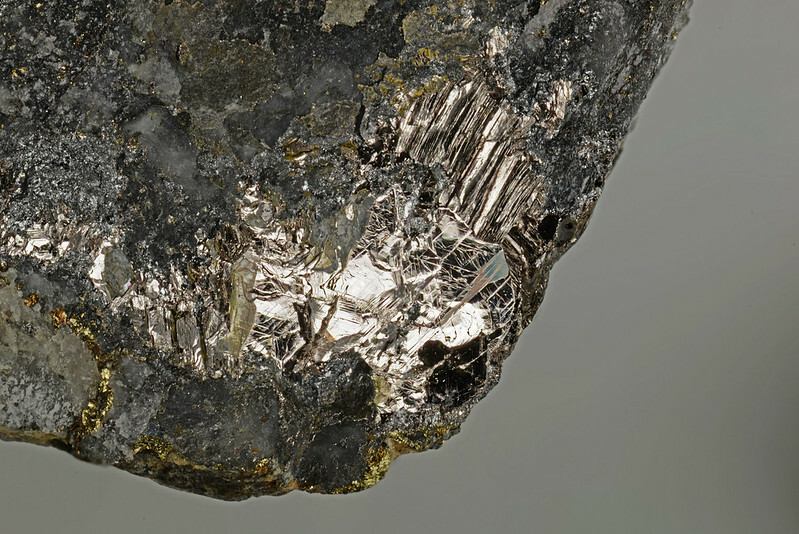 青山新一 (1936) 新鉱物ルテノスミリヂウム(Ruthenosmiridium). 岩石鉱物鉱床学会誌, 2, 77-79. 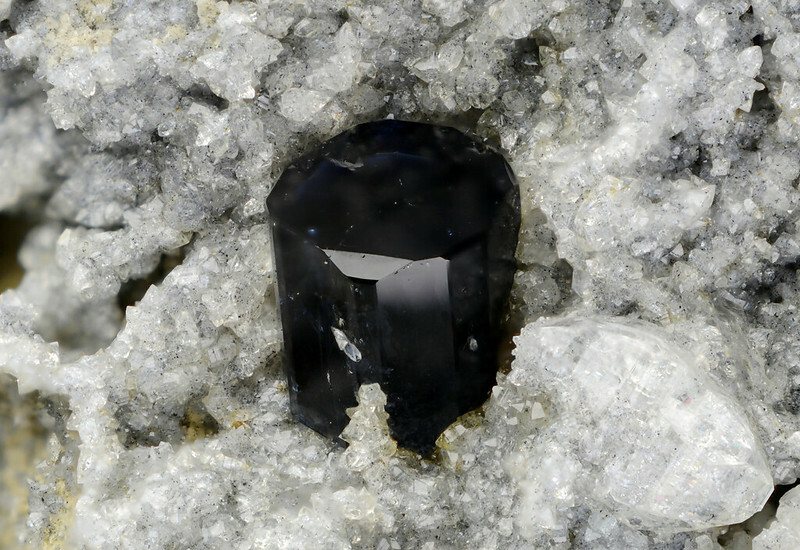 青山新一 (1936) 新鉱物ルテノスミリヂウム(Ruthenosmiridium). 地質学雑誌, 43, 634-636. Hey M.H. 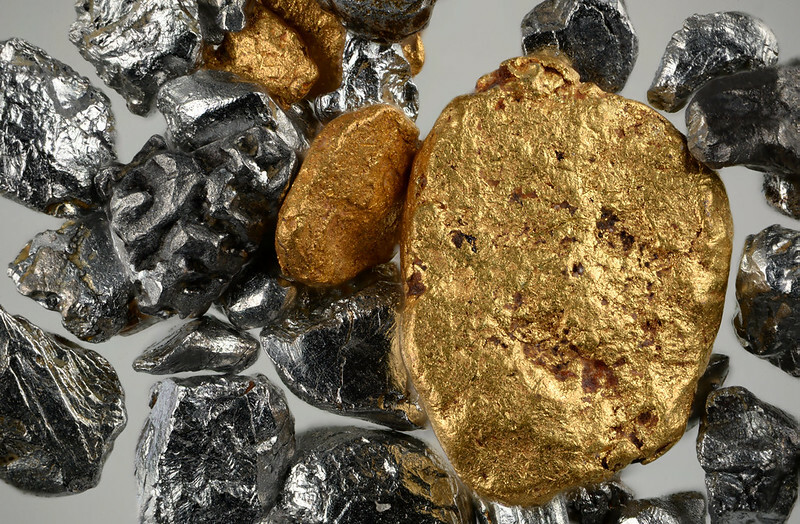 (1963) The nomenclature of natural alloys of osmium and iridium. 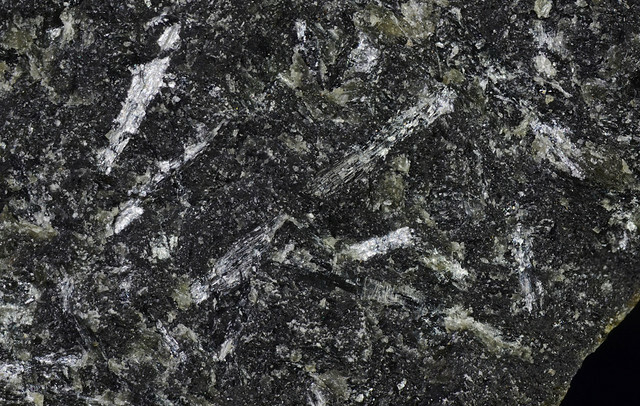 Mineralogical Magazine, 33, 712-717. 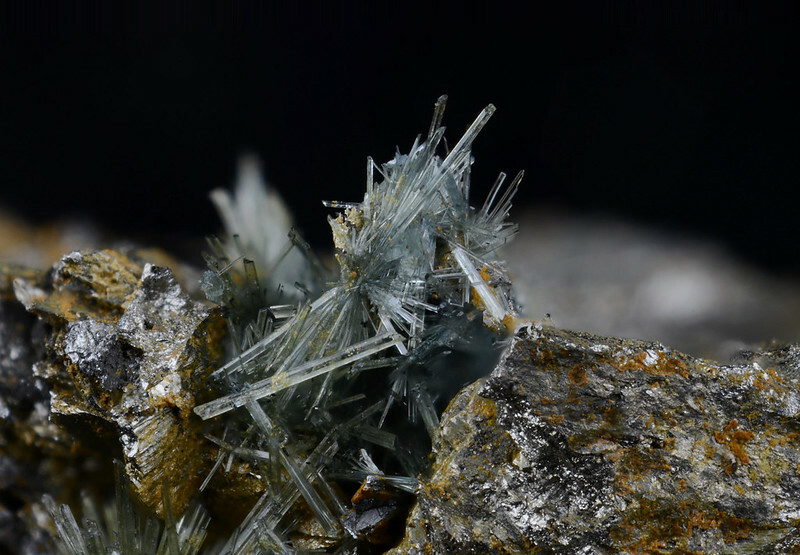 Strunz H. (1966) Mineralogische Tabellen 4th edition. p93. (pp.560). 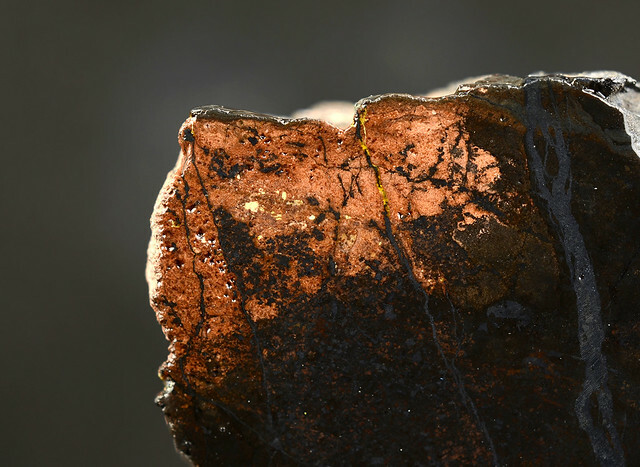 Ruthenosmiridium. in Introduction to Japanese Minerals, Geological Survey of Japan, 115-116. Jambor J.L., Grew E.S. (1992) New mineral names. American Mineralogist, 77, 207-213. 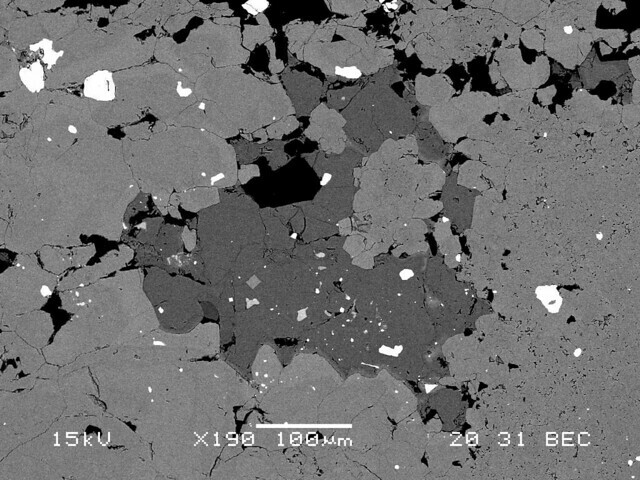 第二文献：Gnos E., Armbruster T. (2000) Kinoshitalite, Ba(Mg)3(Al2Si2)O10(OH,F)2, a brittle mica from a manganese deposit in Oman: paragenesis and crystal chemistry. American Mineralogist, 85, 242-250. 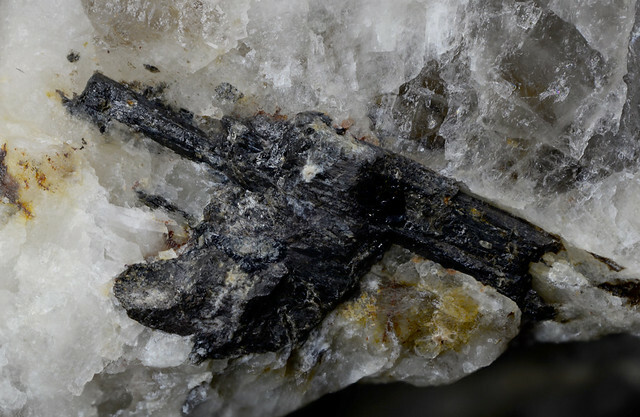 吉井守正 (1974)　最近北上産地で見つかった新しいマンガン鉱物（その2）木下石(Kinoshitalite). 地質ニュース, 237, 14-17. 宮島宏, 松原聰, 宮脇律郎 (2007) 新潟県糸魚川地方のコランダムに伴うプライスワーク雲母とストロンチウムに富む雲母. 日本鉱物科学会 ２００７年度年会, K8-05. 第一文献：Henmi C., Kusachi I., Henmi K., Sabine P.A., Young B.R. 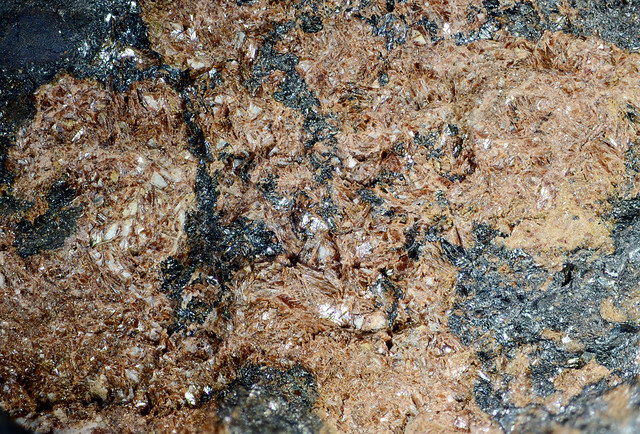 (1973) A new mineral bicchulite, the natural analogue of gehlenite hydrate, from Fuka, Okayama Prefecture, Japan and Carneal, County Antrim, Northern Ireland. 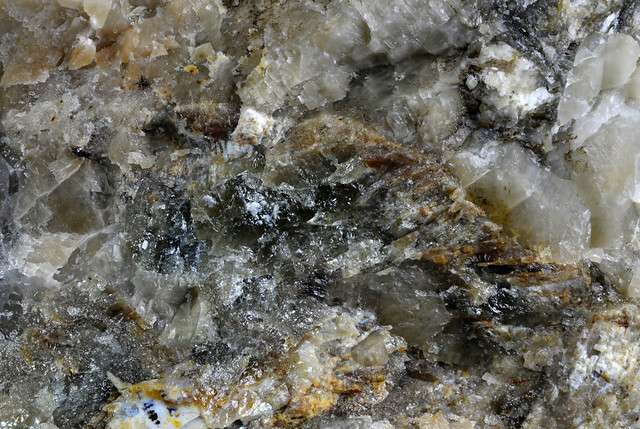 Mineralogical Journal, 7, 243-251. 第二文献：Sahl K. (1980) Refinement of the crystal structure of bicchulite, Ca2[Al2SiO6](OH)2. Zeitschrift für Kristallographie, 152, 13-21. 逸見吉之助, 草地功, 沼野忠之 (1971) 広島県東城町久代産の接触鉱物. (1)ゲーレン石およびハイドログロッシュラー. 鉱物学雑誌, 10, 160-169. 逸見吉之助, 沼野忠之, 草地功, 逸見千代子 (1976) ゲーレン石, スパー石を主とするスカルンの生成. 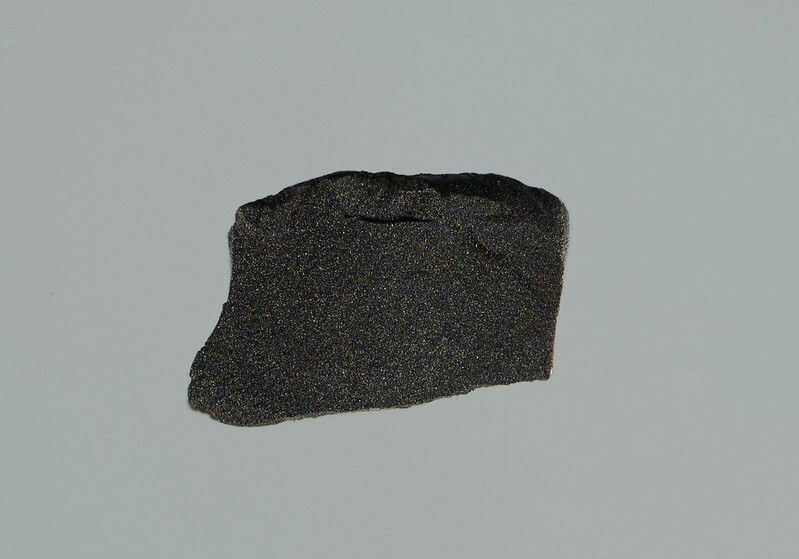 岩石鉱物鉱床学会誌, 特別号, 1, 329-340. Carlson E.T. 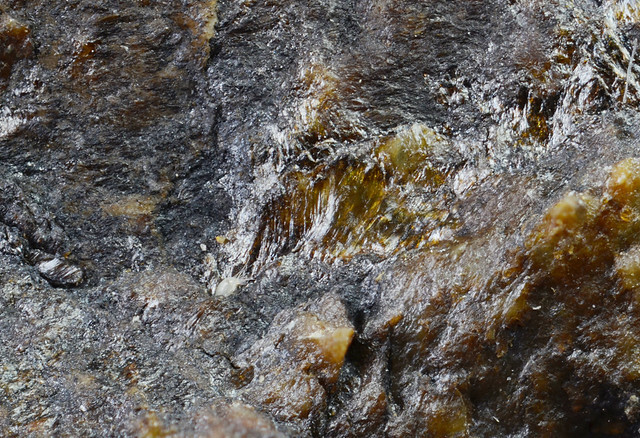 (1964) Hydrothermal preparation of gehlenite hydrate. Journal of Research of NIST, 68A, 449-452. 第一文献：Mizota T., Shibuya G., Shimazu M., Takeshita Y. (1974) Mineralogical studies on levyne and erionite from Japan. The Memoir of the Geological Society of Japan, 11, 283-290. 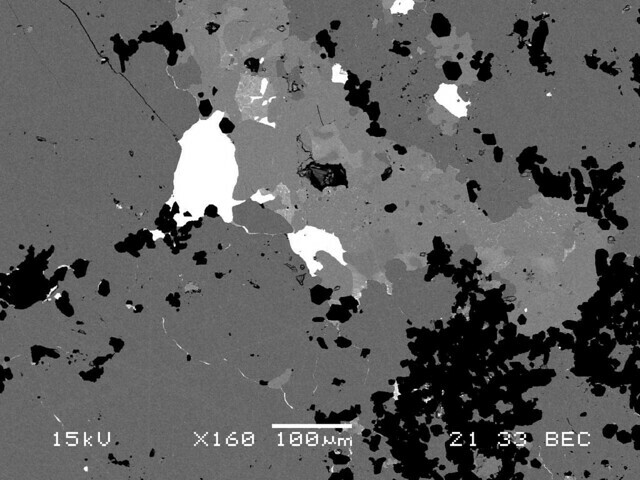 第二文献：Ballirano P., Cametti (2013) Crystal chemical and structural investigation of levyne-Na. 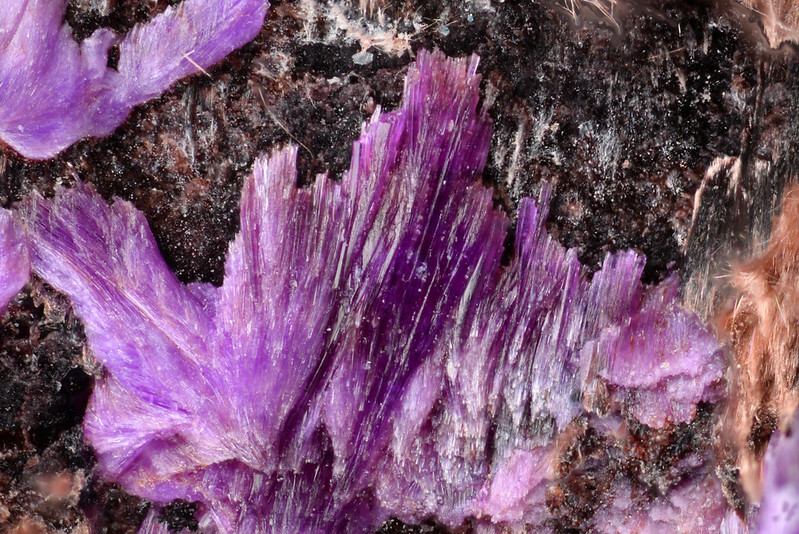 Mineralogical Magazine, 77, 2887-2899. 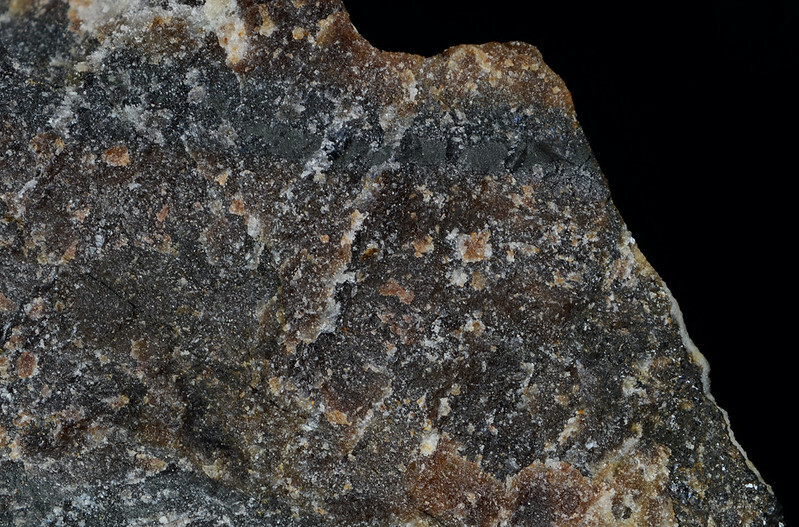 Shimazu M., Mizota T. (1972) Levyne and erionite from Chojabaru, Iki Island, Nagasaki Prefecture, Japan. 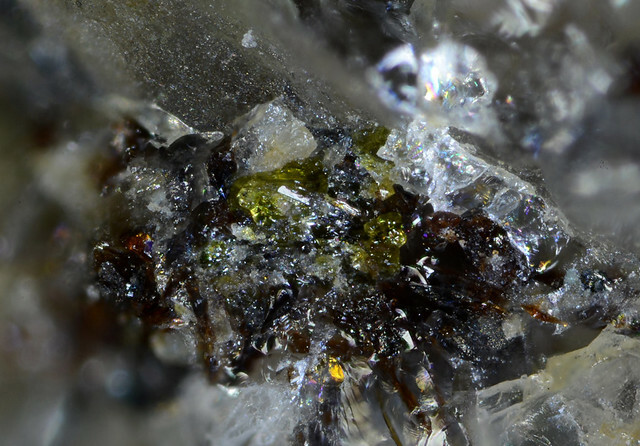 The Journal of the Japanese Association of Mineralogists, Petrologists and Economic Geologists, 67, 418-424. 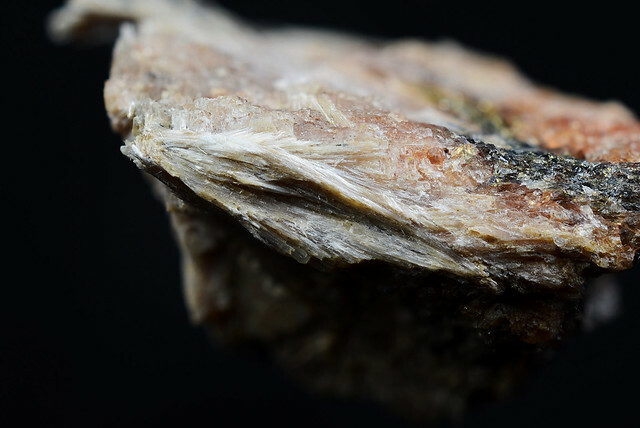 第一文献：Shimazaki H., Ozawa T. (1978) Tsumoite, BiTe, a new mineral from the Tsumo mine, Japan. American Mineralogist, 63, 1162-1165. 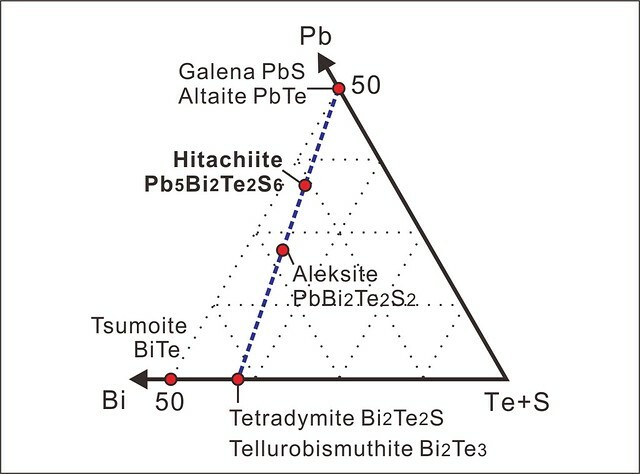 第二文献：Yamana K., Kihara K., Matsumoto T. (1979) Bismuth tellurides: BiTe and Bi4Te3. 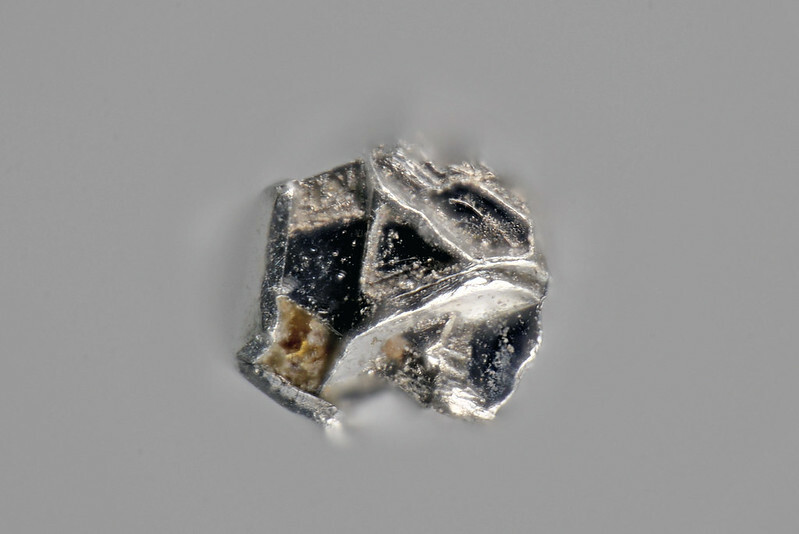 Acta Crystallographica, B35, 147-149. 太田茁司, 赤塚政美, 本多谷雄 (1970) 都茂鉱山の地質・鉱床と探査. 鉱山地質, 102, 1-9. 松原聰, 宮脇律郎, 横山一己, 重岡昌子, 原田明, 山田隆, 川島和子, 清水孝一, 宮島 浩 (2010) 長野県茅野市向谷鉱山産Bi-Te系鉱物. 日本鉱物科学会2010年年会講演要旨集, R1-09. 第一文献：Urashima Y., Wakabayashi T., Masaki T., Terasaki Y. 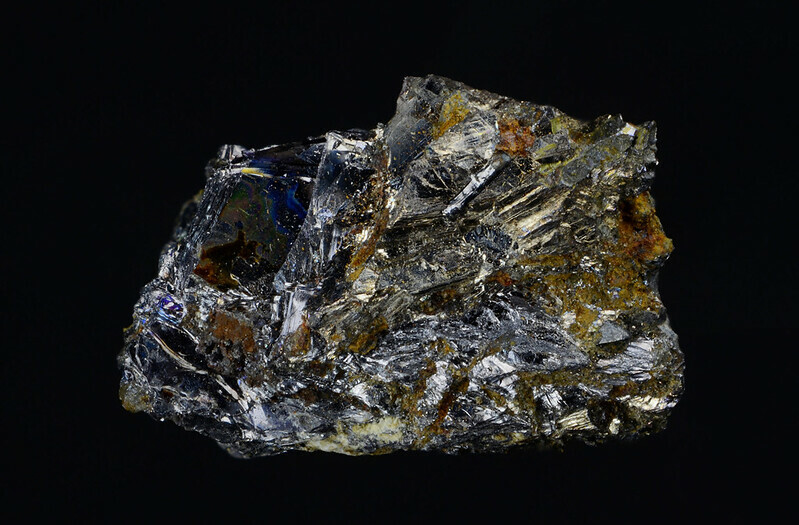 (1974) Ruthenium, a new mineral from Horakanai, Hokkaido, Japan. 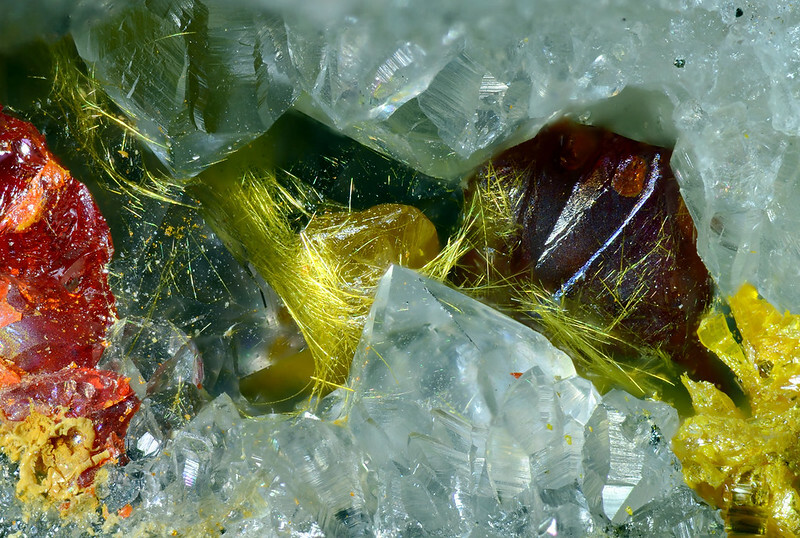 Mineralogical Journal, 7, 438-444. Harris D.C., Cabri L.J. 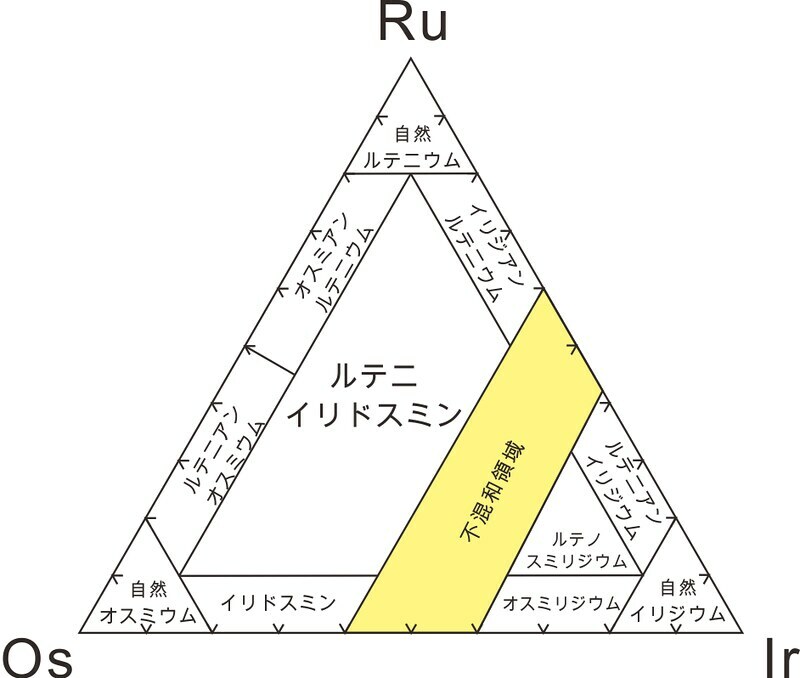 (1973) The nomenclature of the natural alloys of osmium, iridium and ruthenium based on new compositional data of alloys from world-wide occurrences. The Canadian Mineralogist, 12, 104-112. Harris D.C., Cabri L.J. (1991) Nomenclature of platinum-group-element alloys: review and revision. The Canadian Mineralogist, 29, 231-237. Barnes S.J., Naldrett A.J., Gorton M.P. 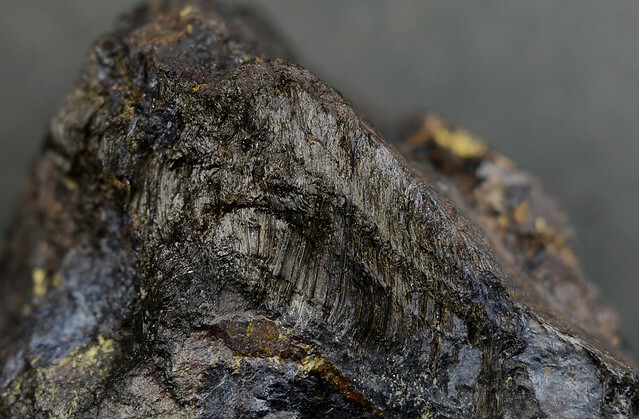 (1985) The origin of the fractionation of platinum-group elements in terrestrial magmas. 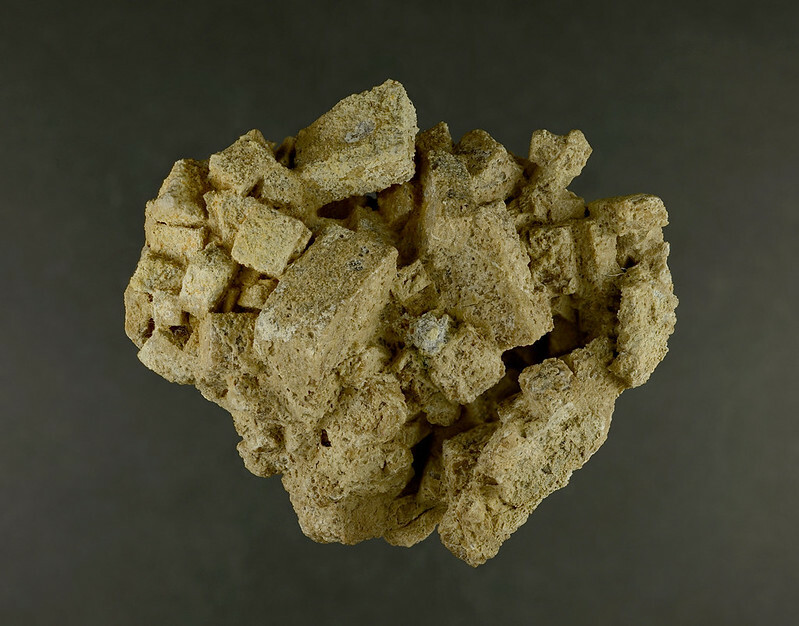 Chemical Geology, 53, 303–323. 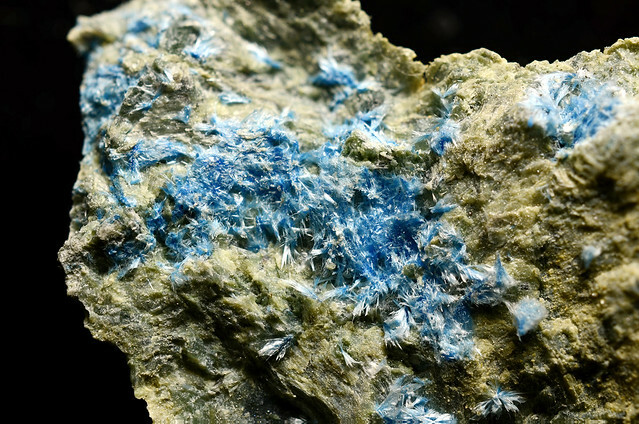 第二文献：Mizota T., Komatsu M., Chihara K. (1983) A refinement of the crystal structure of ohmilite, Sr3(Ti,Fe3+)(O,OH)(Si2O6)2 · 2–3H2O, American Mineralogist, 68, 811-817. 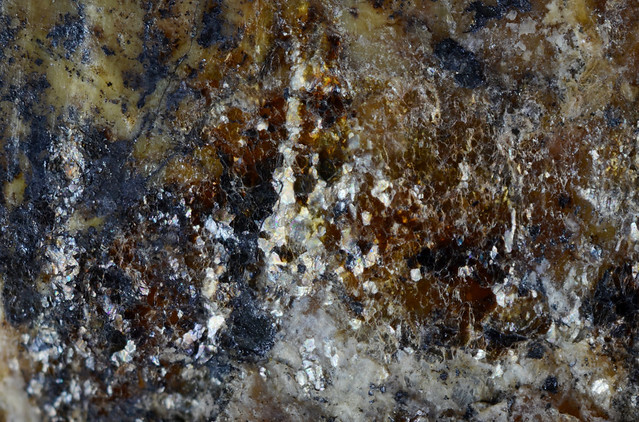 Chihara K., Komatsu M., Mizota T. (1974) A joaquinite-like mineral from Ohmi, Niigata Prefecture, Central Japan. 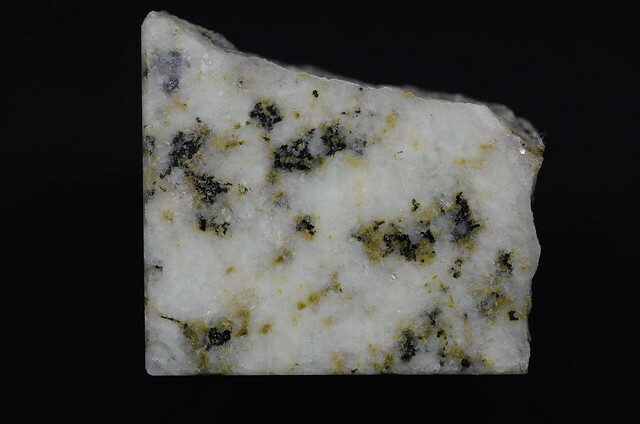 Mineralogical Journal, 7, 395-399. Mizota T., Komatsu M., Chihara K. (1973) On the crystal structure of Sr3TiSi4O12(OH)･2H2O, a new mineral. 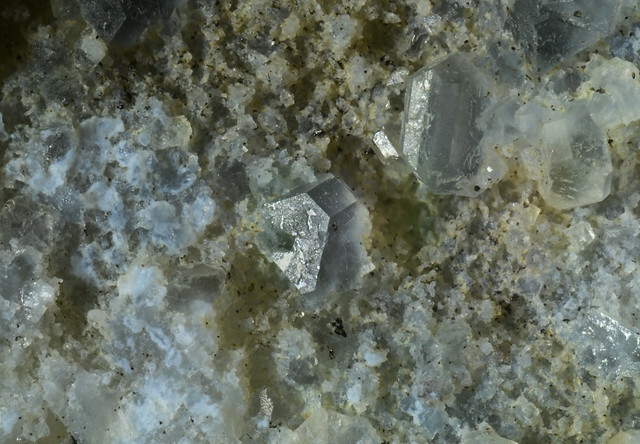 Mineralogical Journal, 7, 302-305. 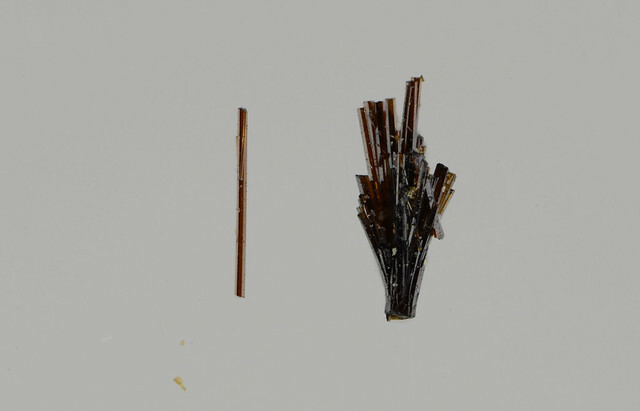 第一文献：Harada K., Honda M., Nagashima K., Kanisawa S. (1976) Masutomilite, manganese analogue of zinnwaldite, with special reference to masutomilite-lepidolite-zinnwaldite series. 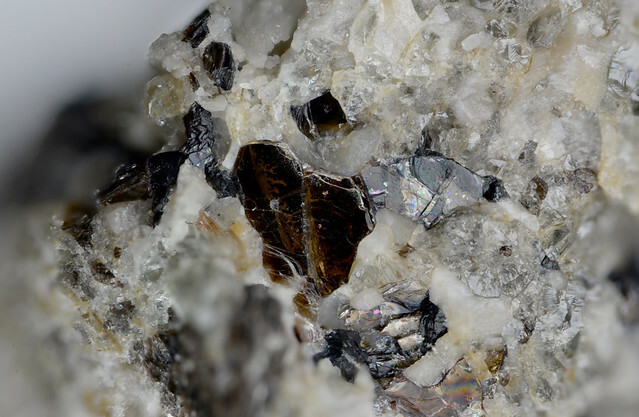 Mineralogical Journal, 8, 95-109. 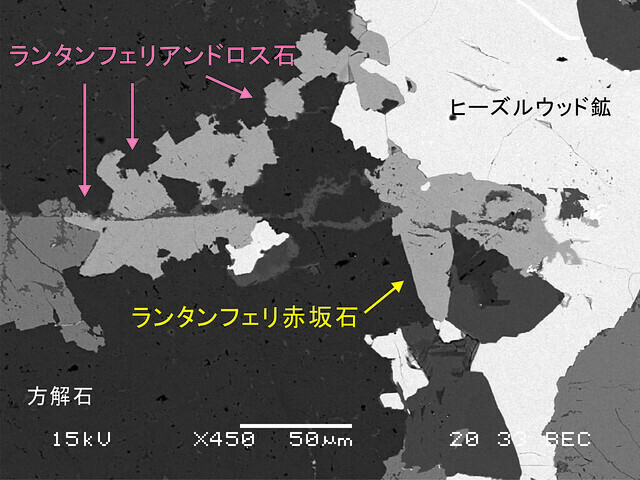 第二文献：Mizota T., Kato T., Harada K. (1986) The crystal structure of masutomilite, Mn analogue of zinnwaldite. 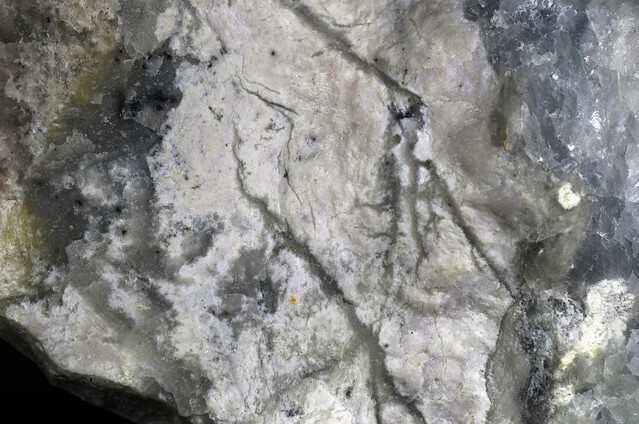 Mineralogical Journal, 13, 13-21. 長島弘三, 原田一雄, 本田真理子 (1975) 滋賀県大津市田ノ上山産新鉱物益富雲母(Masutomilite). 地学研究, 26, 319-324. Brigatti M.F., Mottana A., Malferrari D., Cibin G. (2007). 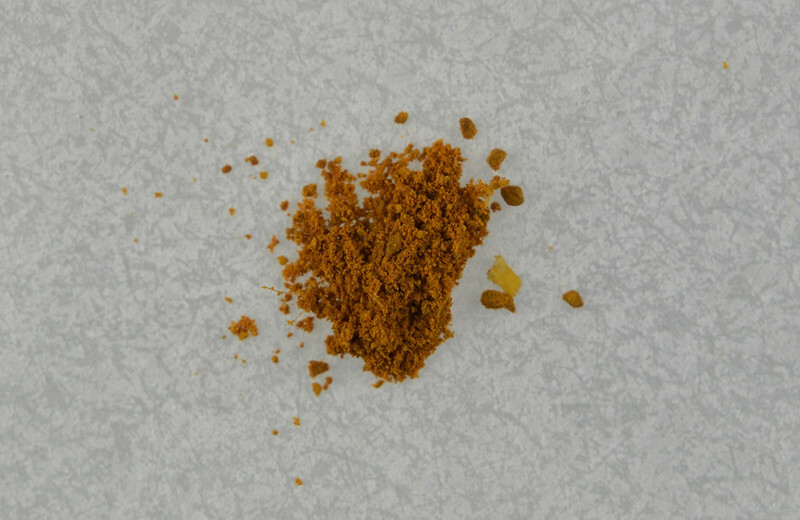 Crystal structure and chemical composition of Li-, Fe-, and Mn-rich micas. 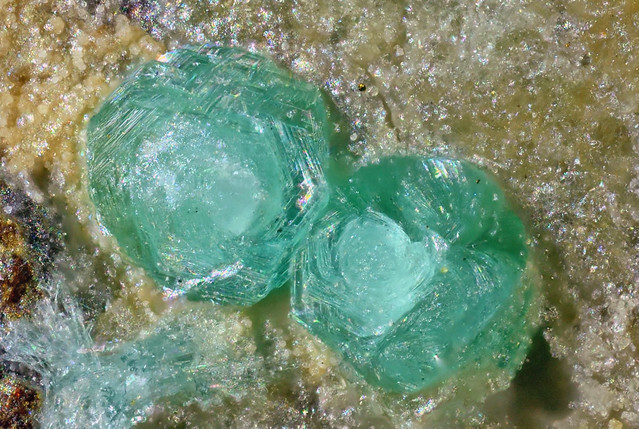 American Mineralogist, 92, 1395-1400. Rieder M., Cavazzini G., D’Yakonov Y.S., Koval’ P.V., Müller G, Neiva A.M.R., Sassi F.P., Takeda H., Weiss Z., Frank-Kamenetskii V.A., Gottardi G., Guggenheim S., Radoslovich E.W., Robert J.L., Wones D.R. (1998) Nomenclature of the micas. The Canadian Mineralogist, 36, 905-912. 第一文献：Murakami N., Kato T., Miúra Y., Hirowatari F. (1976) Sugilite, a new silicate mineral from Iwagi Islet, Southwest Japan. 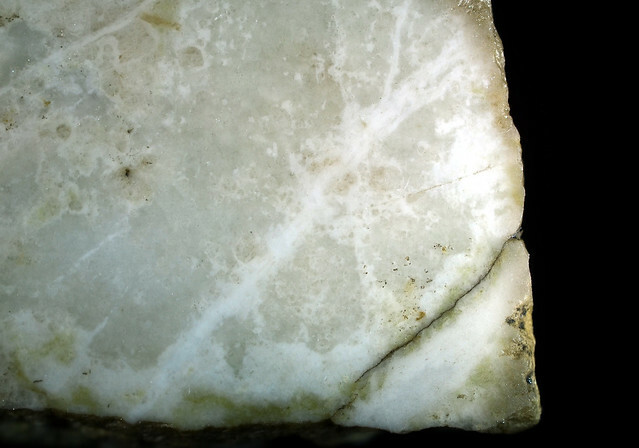 Mineralogical Journal, 8, 110-121. 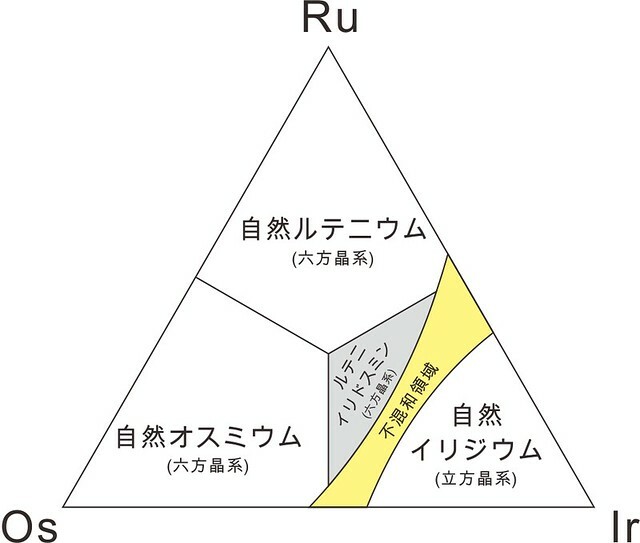 第二文献：Armbruster T., Oberänsli R. (1988) Crystal chemistry of double-ring silicates: Structures of sugilite and brannockite. 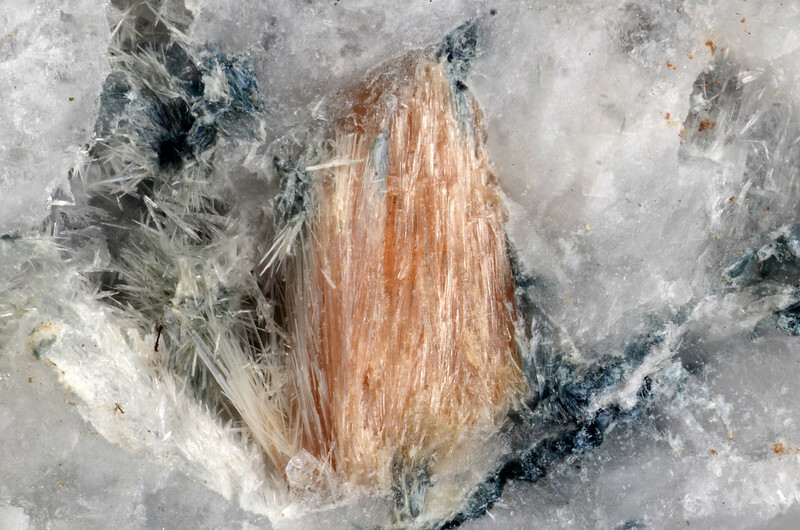 American Mineralogist, 73, 595-600. 杉健一, 久綱正典 (1944) 愛媛県岩城島産エヂル石閃長岩に就いて. 岩石鉱物鉱床学会誌, 31, 209-224. 村上允英, 松永征二 (1964) 閃長岩化における交代作用（2）. 地質学雑誌, 70, 421. Murakami N., Matsunaga S. (1966) Petrological Studies on the Metasomatic Syenites in Japan. Part 2. 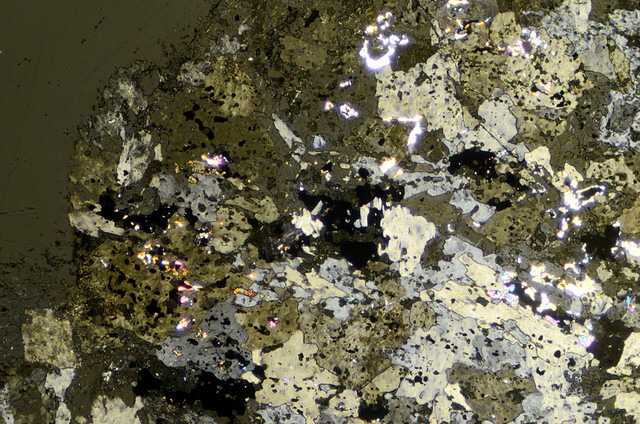 Petrology of the Aegirine Syenite from Iwagi Islet, Ehime Prefecture, Japan. Sci. Rept. Yamaguchi Univ., 16, 17-34. Kato T., Miúra Y., Murakami N. (1976) Crystal structure of sugilite. 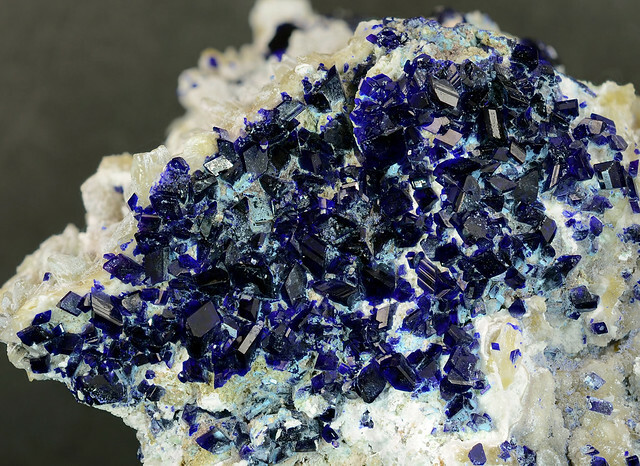 Mineralogical Journal, 8, 184-192. 広渡文利, 福岡正人, 近藤裕而 (1981) 愛媛県古宮鉱山の含マンガン杉石. 日本鉱物学会1981年会講演要旨集, 113. 広渡文利, 福岡正人 (1988) 日本のマンガン鉱物に関する2,3の問題. 鉱物学雑誌, 18, 347-365. 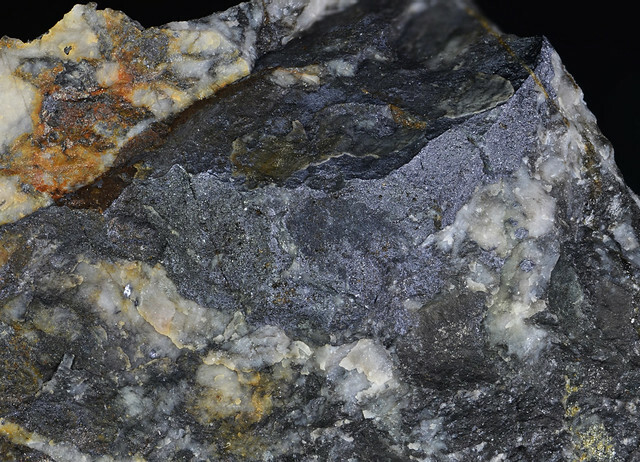 Bank H., Banerjee A., Pense J., Schneider W., Schrader W. (1978) Sogdianit-ein neues Edelsteinmineral?. Z. Deut. Gemmol. Ges., 27, 104-105. 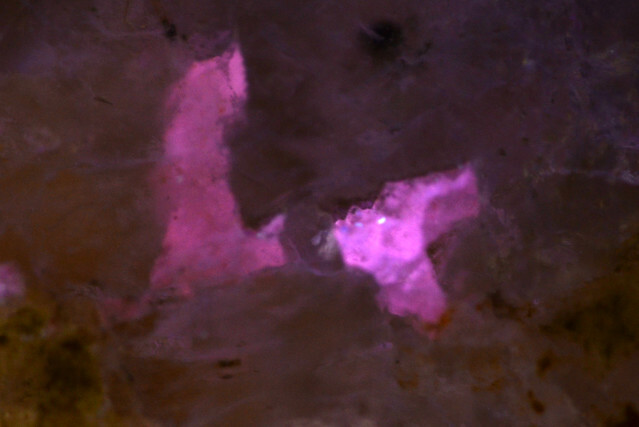 Dunn P.J., Brummer J.J., Belsky H. (1980) Sugilite, a second occurrence; Wessels Mine, Kalahari manganese field, Republic of South Africa. Canadian Mineralogist, 18, 37-39. 砂川一郎 (1982) 南部石と杉石 日本で新鉱物として発見され, その後宝石質の結晶がみつかった珍しい鉱物2種. 宝石学会誌, 9, 55-59. 古本里菜, 福本辰巳, 皆川鉄雄, 浜根大輔 (2012) 岩城島エジリン閃長岩中のekanite, sogdianite. 日本鉱物科学会2012年年会, R1-P15. 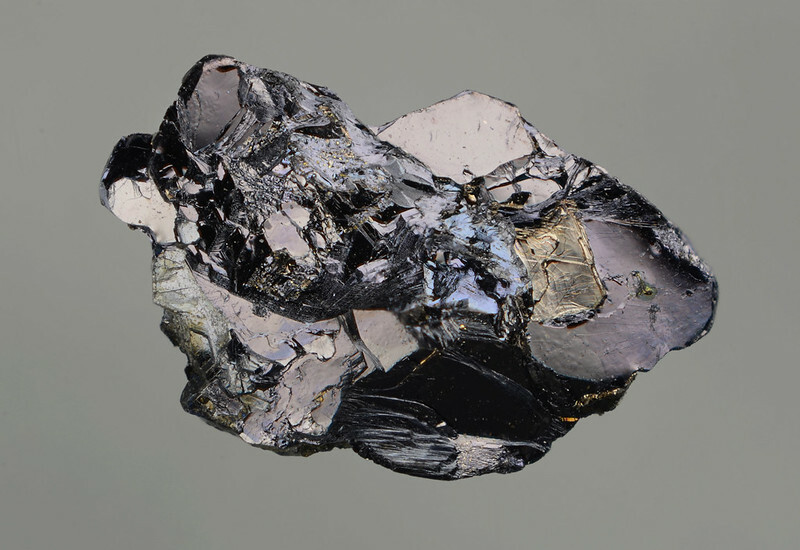 第一文献：Sasaki A., Yui S., Yamaguchi M. (1985) Kamiokite, Fe2Mo3O8, a new mineral. 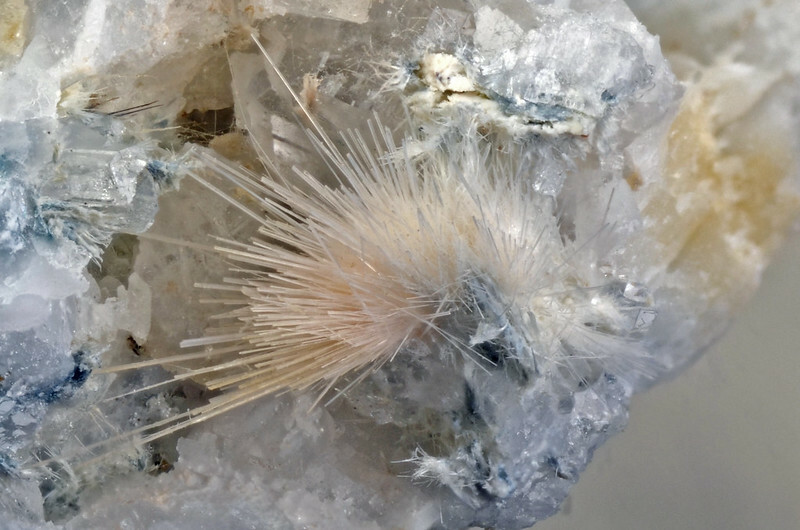 Mineralogical Journal, 12, 393-399. 第二文献：Kanazawa Y, Sasaki A (1986) Structure of kamiokite. 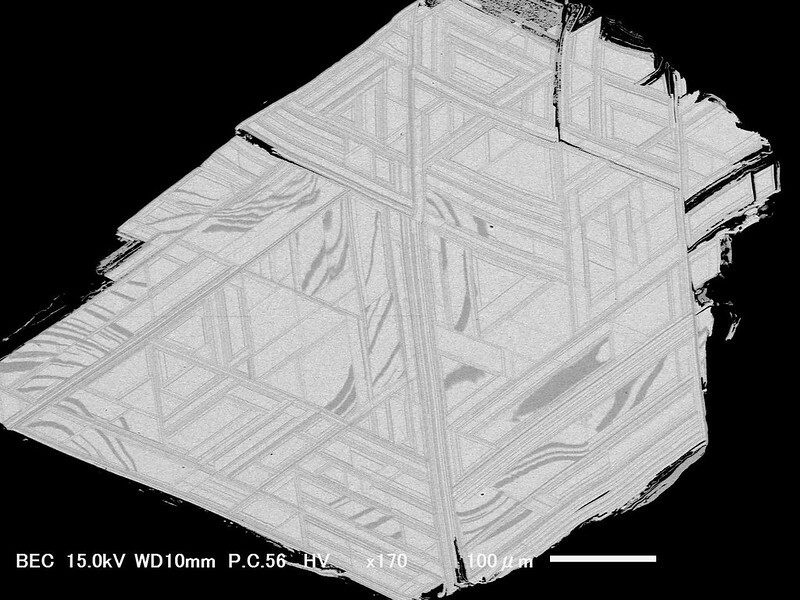 Acta Crystallographica, C42, 9-11. 櫻井欽一, 長島秀夫, 反田栄一 (1952) 本邦産鉱物の研究, 47, 岐阜県神岡鉱山産：燐酸亜鉛銅鉱物（神岡石）. 趣味の地学, 5, 170-175. 佐々木昭, 由井俊三, 山口光男 (1975) 岐阜県神岡鉱山産新鉱物, Fe2Mo3O8. 日本鉱物学会年会講演要旨集, 9. 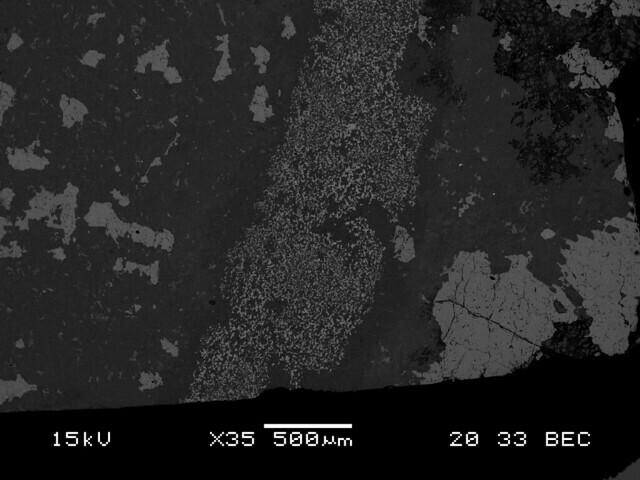 Ma C., Beckett J.R., Rossman R. (2014) Monipite, MoNiP, a new phosphide mineral in a Ca-Al-rich inclusion from the Allende meteorite. American Mineralogist, 99, 198-205. 東尚七 (1967) 神岡鉱山栃洞坑. 日本鉱業会誌, 83, 1800-1808. Endo Y., Kanazawa Y., Sasaki A. 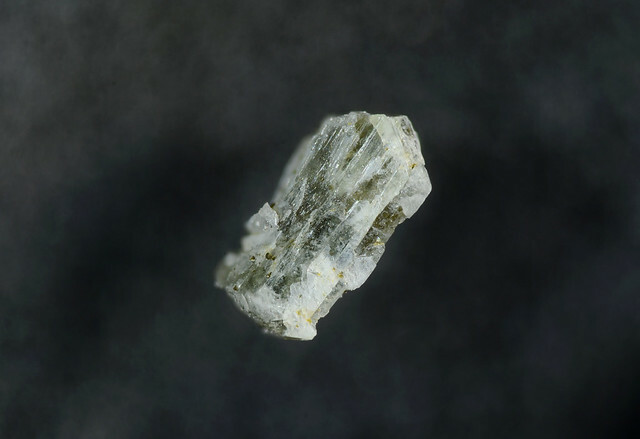 (1986) External form of kamiokite crystal. Bulletin of the Geological Survey of Japan, 37, 367-371. Nakayama S., Nakamura R., Akaki M., Akahoshi D., Kuwahara H. (2011) Ferromagnetic Behavior of (Fe1-yZny)2Mo3O8 (0≤y≤1) Induced by Nonmagnetic Zn Substitution. Journal of Physical Society of Japan, 80, 104706. 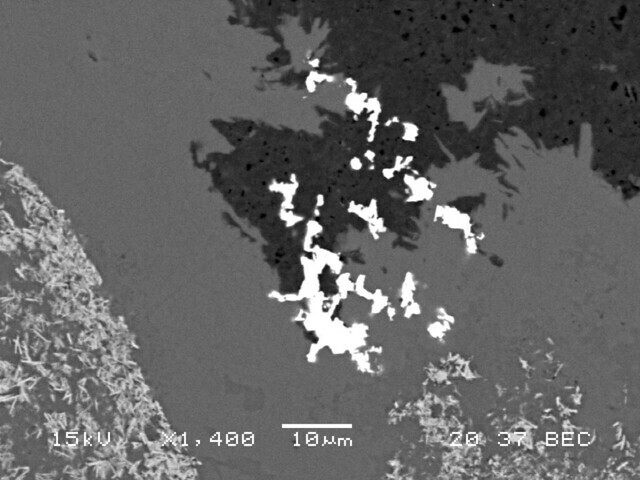 Abe H., Sato A., Tsujii N., Furubayashi T., Shimoda M. (2010) Structural refinement of T2Mo3O8 (T=Mg, Co, Zn and Mn) and anomalous valence of trinuclear molybdenum clusters in Mn2Mo3O8. 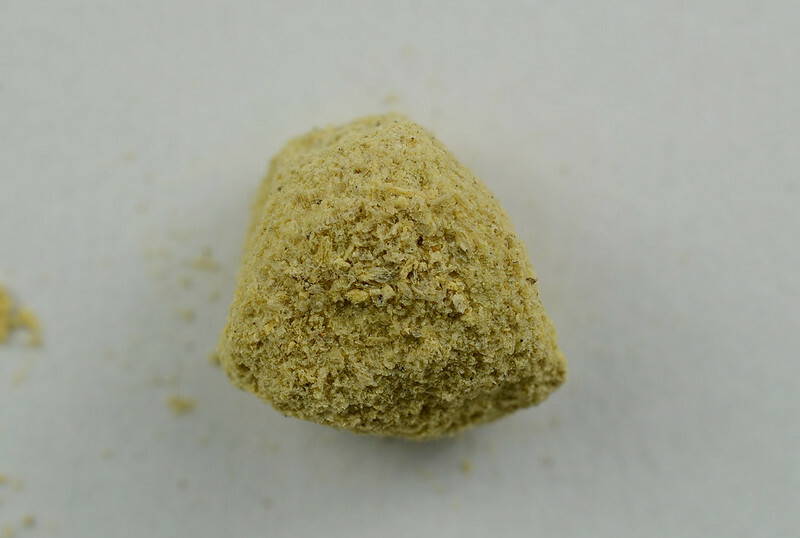 Journal of Solid State Chemistry, 183, 379-384. 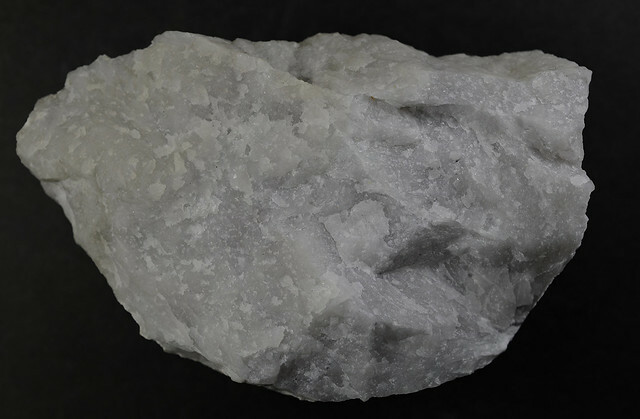 第一文献：Henmi C., Kusachi I., Kawahara A., Henmi K. (1977) Fukalite, a new calcium carbonate silicate hydrate mineral. 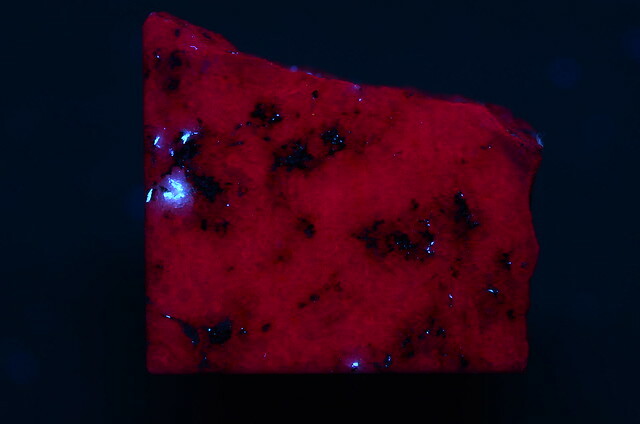 Mineralogical Journal, 8, 374-381. 草地功, 逸見千代子, 逸見吉之助 (1973) 岡山県備中町布賀産ペロブスカイト. 鉱物学雑誌, 11, 219-226. Marincea S., Dumitras D.G., Ghinet C., Bilal E. (2015) The occurrence of high-temperature skarns from oravita (Banat, Romania): a mineralogical overview. Canadian Mineralogist, 53, 511-532. Grabezhev A.I., Gmyra V.G., Pal’guyeva G.V. 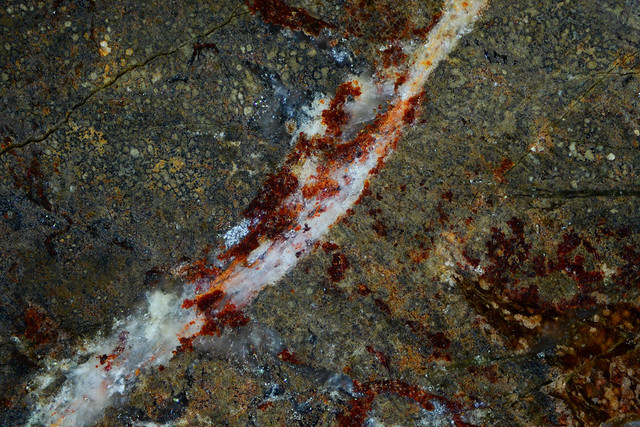 (2004) Hydroxylellestadite metasomatites from Gumeshev skarn porphyry copper deposit, middle Urals. Doklady Earth Science, 394, 196-198. 原著：Sugaki A., Kitakaze A., Odashima Y. 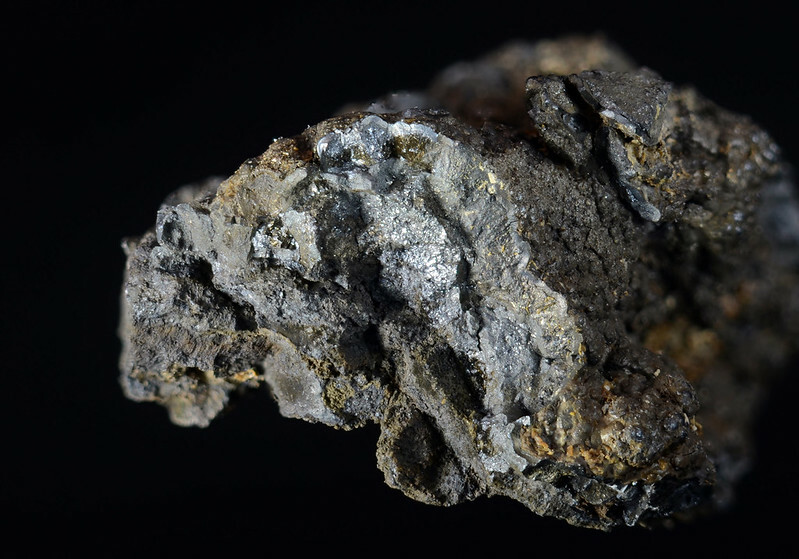 (1981) Furutobeite, a new copper-silver-lead sulfide mineral. Bulletin de Minéralogie, 104, 737-741. 原著：Wise W.S. 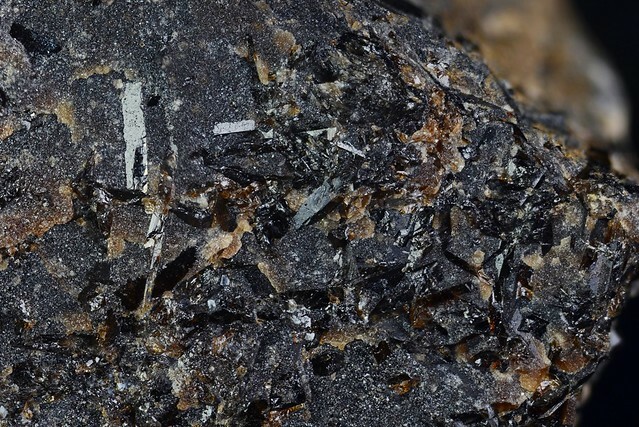 (1982) Strontiojoaquinite and bario-orthojoaquinite: two new members of the joaquinite group. American Mineralogist, 67, 809-816. 原著：Hawthorne F.C., Selway J.B., Kato A., Matsubara S., Shimizu M., Grice J.D., Vajdak J. 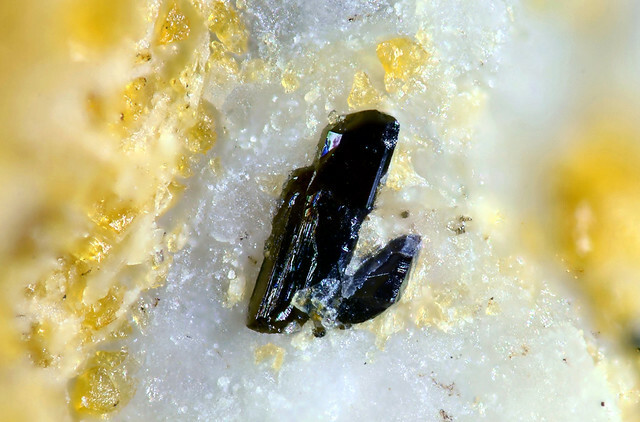 (1999) Magnesiofoitite, (Mg2Al)Al6(Si6O18)(BO3)3(OH)4, a new alkali-deficient tourmaline. The Canadian Mineralogist, 37, 1439-1443. 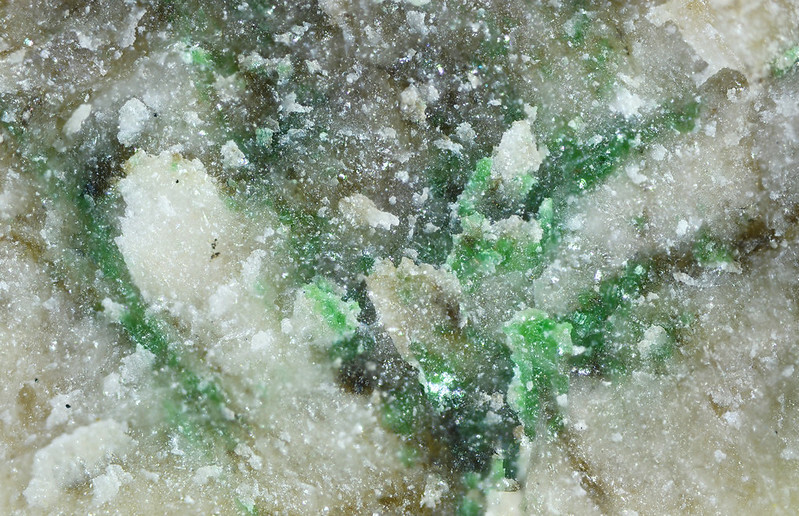 原著：Miyajima H., Matsubara S., Miyawaki R., Ito K. (1999) Itoigawaite, a new mineral, the Sr analogue of lawsonite, in jadeitite from the Itoigawa-Ohmi district, central Japan. 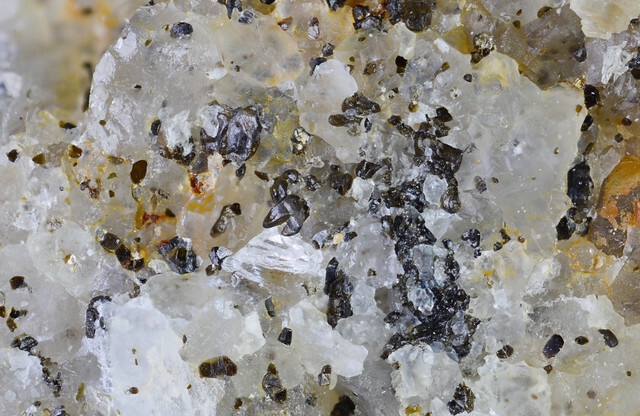 Mineralogical Magazine, 63, 909-916. 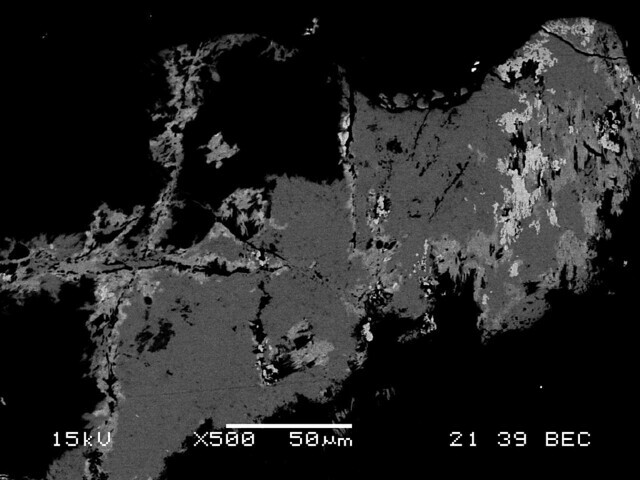 原著：Miyajima H., Matsubara S., Miyawaki R., Yokoyama K., Hirokawa K. (2001) Rengeite, Sr4ZrTi4Si4O22, a new mineral, the Sr-Zr analogue of perrierite from the Itoigawa-Ohmi district, Niigata Prefecture, central Japan. 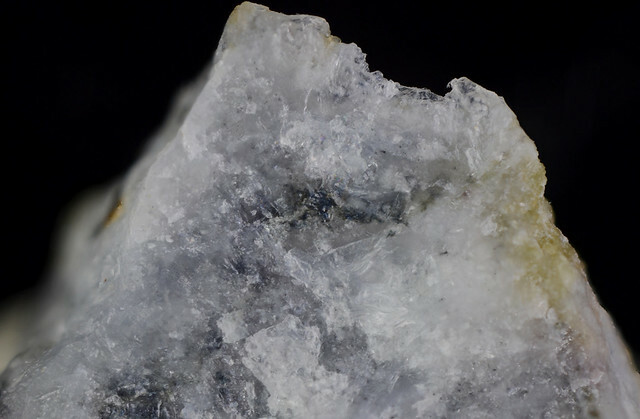 Mineralogical Magazine, 65 111-120. 原著：Matsubara S., Miyawaki R., Kurosawa M., Suzuki Y. 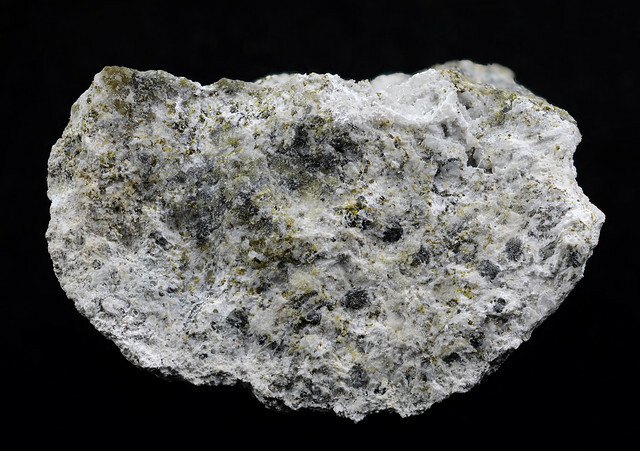 (2003) Watatsumiite, KNa2LiMn2V2Si8O24, a new mineral from the Tanohata mine, Iwate Prefecture, Japan. 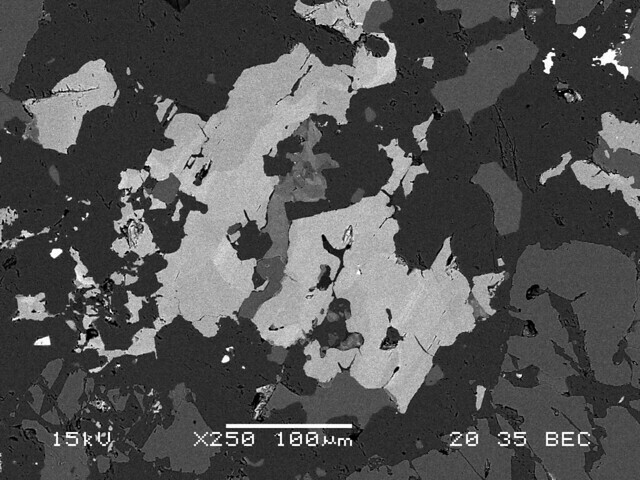 Journal of Mineralogical and Petrological Sciences, 98, 142-150. 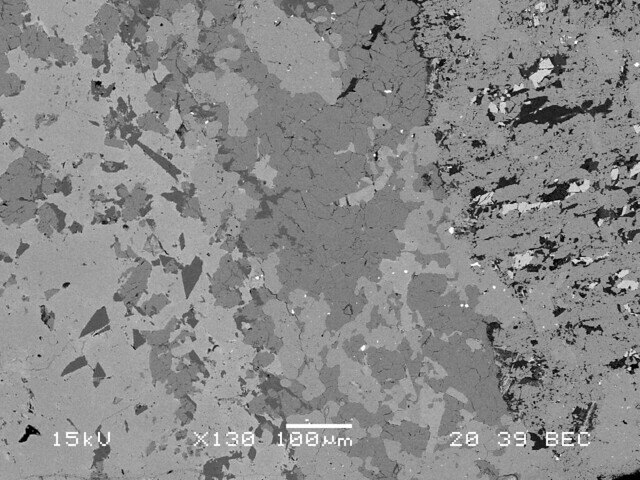 原著：Miyajima H., Matsubara S., Miyawaki R., Hirokawa K. (2003) Niigataite, CaSrAl3(Si2O7)(SiO4)O(OH): Sr-analogue of clinozoisite, a new member of the epidote group from the Itoigawa-Ohmi district, Niigata Prefecture, central Japan. 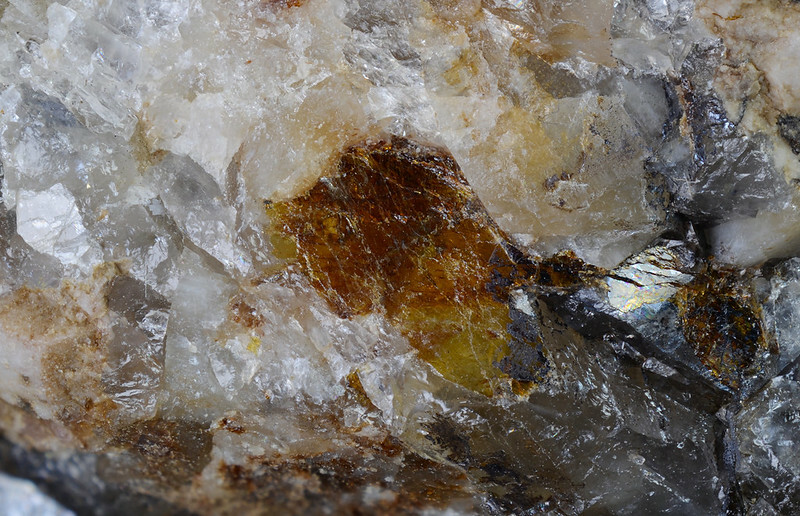 Journal of Mineralogical and Petrological Sciences 98, 118-129. 原著：Miyawaki R., Matsubara S., Yokoyama K., Iwano S., Hamasaki K., Yukinori I. 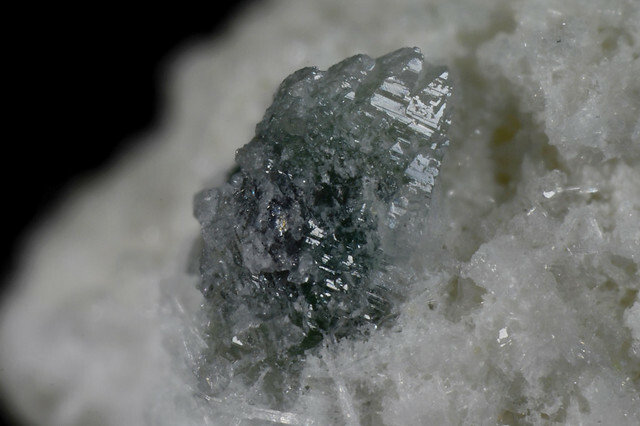 (2003) Kozoite-(La), La(CO3)(OH), a new mineral from Mitsukoshi, Hizen-cho, Saga Prefecture, Japan. 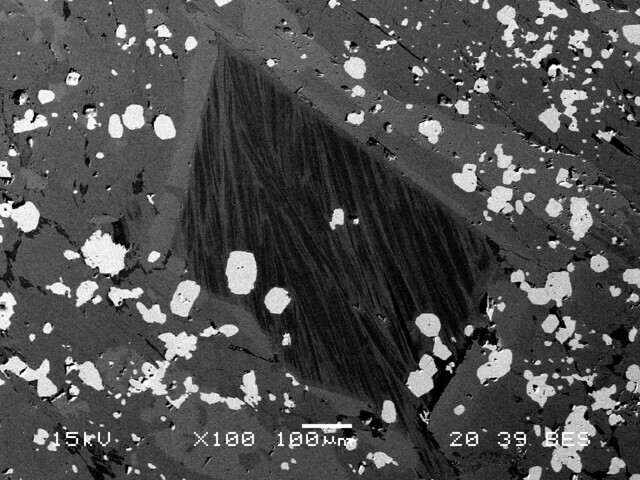 Journal of Mineralogical and Petrological Sciences, 98, 137-141. 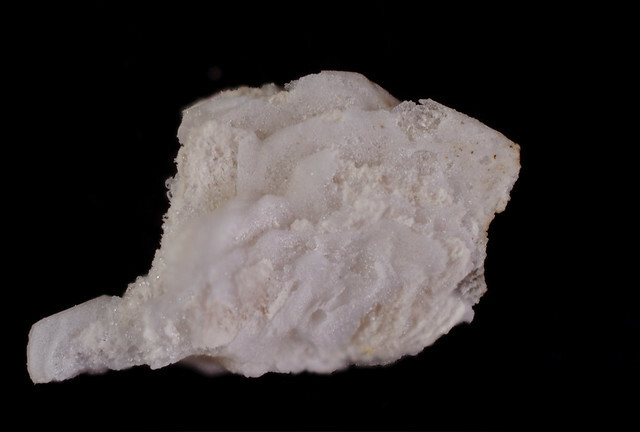 原著：Nagase T., Hori H., Kitamine M., Nagashima M., Abduriyim A., Kuribayashi T. (2012) Tanohataite, LiMn2Si3O8(OH): a new mineral from the Tanohata mine, Iwate Prefecture, Japan. 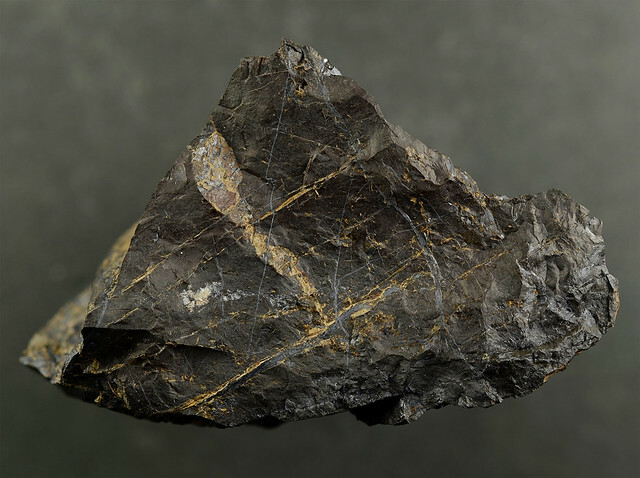 Journal of Mineralogical and Petrological Sciences, 107, 149-154. 原著：Nishio-Hamane D., Minakawa T., Ohgoshi Y. 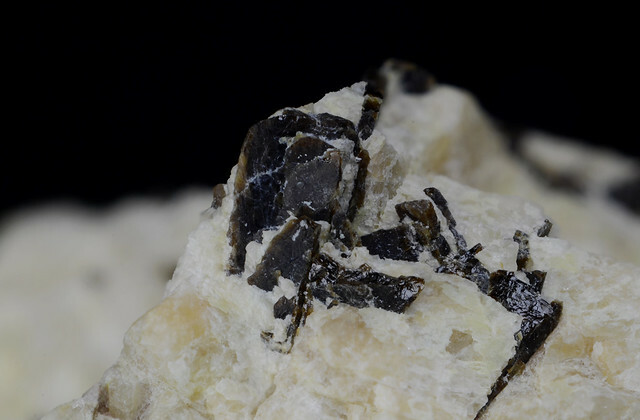 (2013) Takanawaite-(Y), a new mineral of the M-type polymorph with Y(Ta,Nb)O4 from Takanawa Mountain, Ehime Prefecture, Japan. 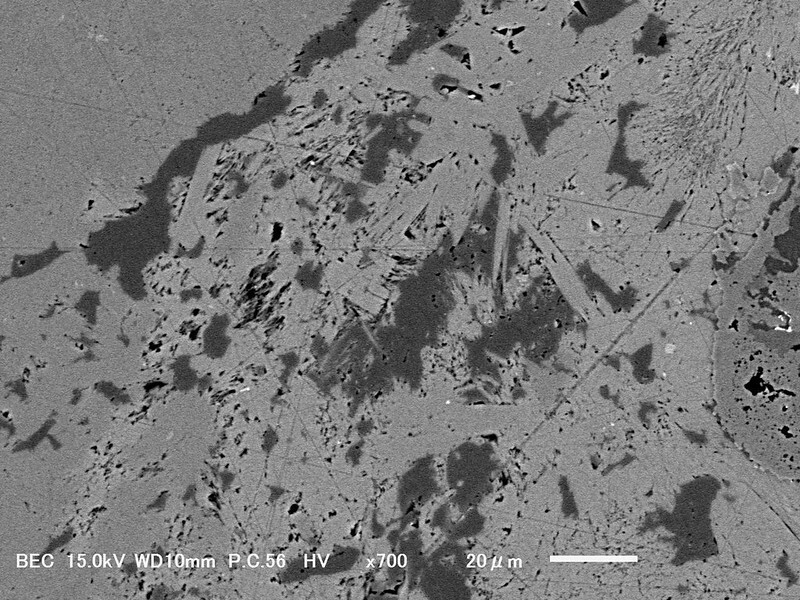 Journal of Mineralogical and Petrological Sciences, 108, 335-344. 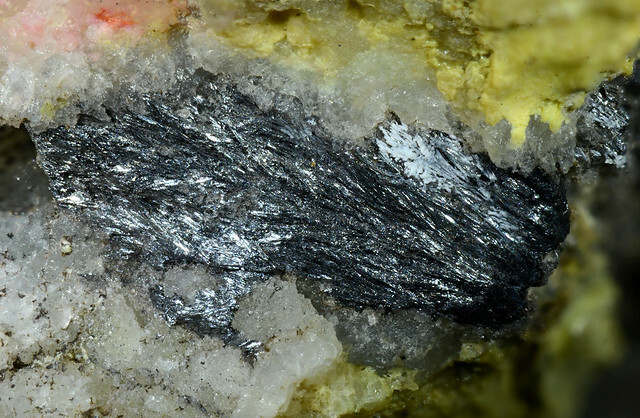 原著：Nishio-Hamane D., Tomita N., Minakawa T., Inaba S. (2013) Iseite, Mn2Mo3O8, a new mineral from Ise, Mie Prefecture, Japan. 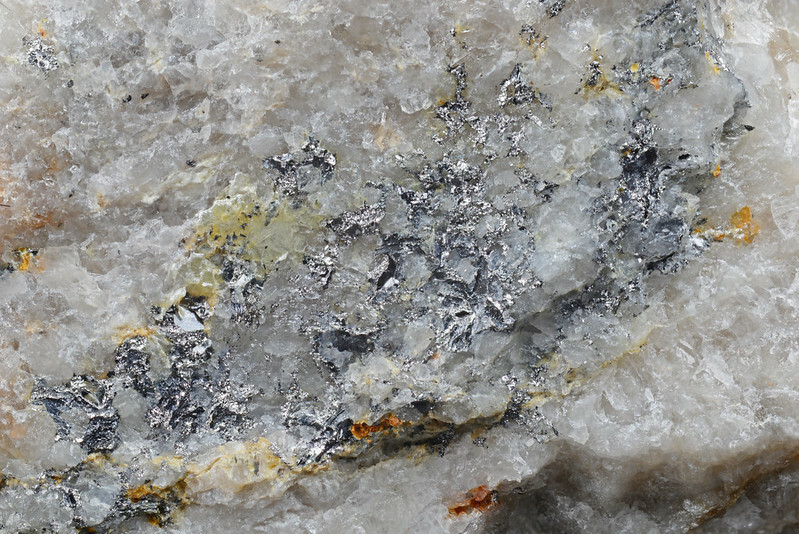 Journal of Mineralogical and Petrological Sciences, 108, 37-41. 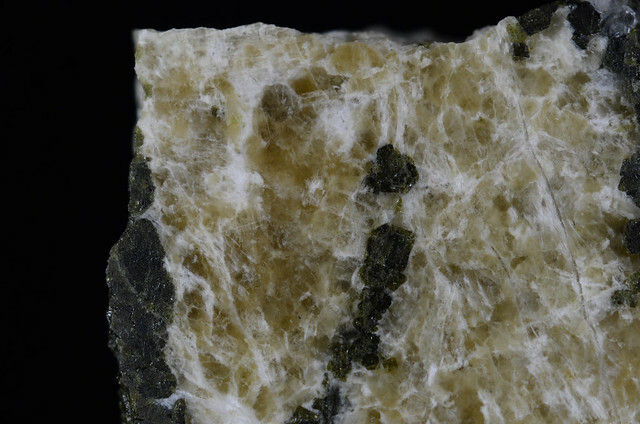 原著：Nagashima M., Nishio-Hamane D., Tomita N., Minakawa T., Inaba S. (2013) Vanadoallanite-(La): a new epidote-supergroup mineral from Ise, Mie Prefecture, Japan, Mineralogical Magazine, 77, 2739-2752. 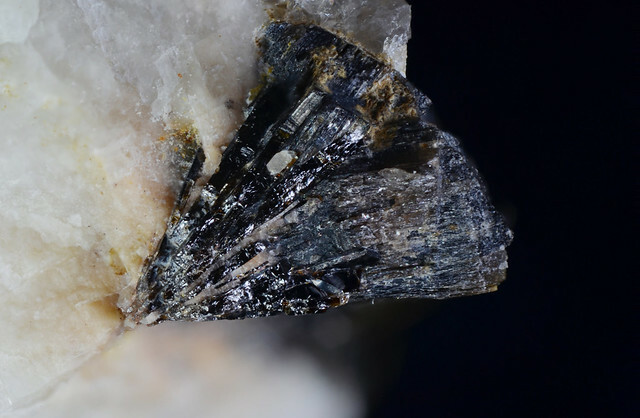 原著：Nishio-Hamane D., Minakawa T., Yamaura J., Oyama T., Ohnishi M., Shimobayashi N. (2014) Adachiite, a Si-poor member of tourmaline supergroup from the Kiura mine, Oita Prefecture, Japan, Journal of Mineralogical and Petrological Sciences, 109, 74-78. 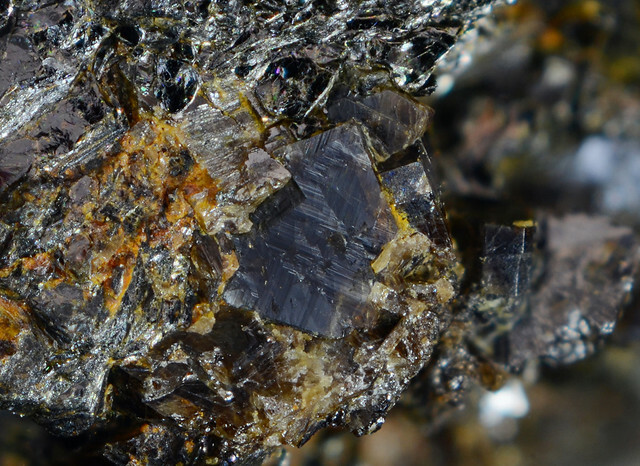 原著：Nishio-Hamane D., Minakawa T., Okada H. (2014) Iwateite, Na2BaMn(PO4)2, a new mineral from the Tanohata mine, Iwate Prefecture, Japan. 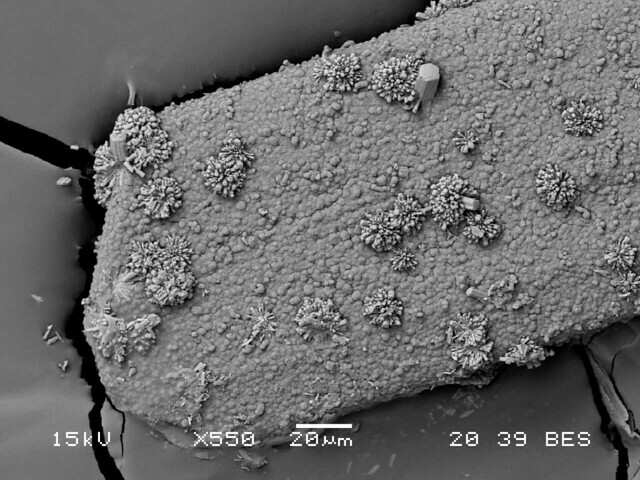 Journal of Mineralogical and Petrological Sciences, 109, 34-37. 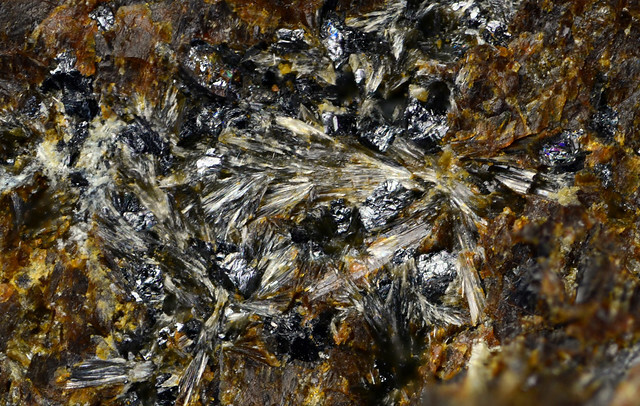 Nishio-Hamane D., Ohnishi M., Momma K., Shimobayashi N., Miyawaki R., Minakawa T., Inaba S. (2015) Imayoshiite, Ca3Al(CO3)[B(OH)4](OH)6•12H2O, a new mineral of ettringite group from Ise City, Mie Prefecture, Japan., Mineralogical Magazine, 79, 413-423. 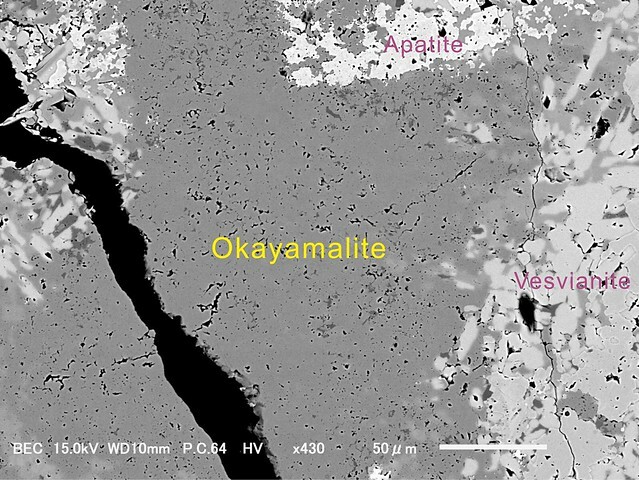 Miyawaki R., Matsubara S., Yokoyama K., Shigeoka M., Momma K., Yamamoto S. (2015) Mieite-(Y), Y4Ti(SiO4)2O[F,(OH)]6, a new mineral in a pegmatite at Souri Valley, Komono, Mie Prefecture, central Japan. 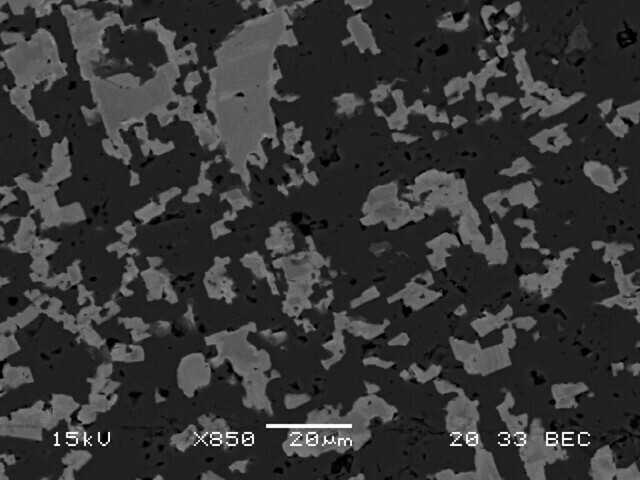 Journal of Mineralogical and Petrological Sciences, 110, 135-144.
the early publication：Momma K., Ikeda T., Nagase T., Kuribayashi T., Honma C., Nishikubo K., Takahashi N., Takada M., Matsushita Y., Miyawaki R. and Matsubara S. (2014) CNMNC Newsletter No. 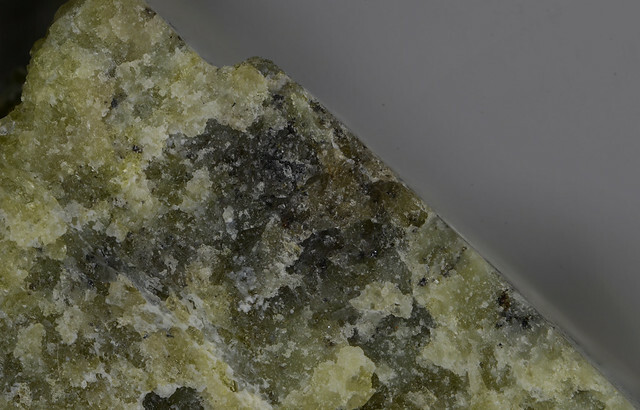 21, Mineralogical Magazine, 78, 797 -804. 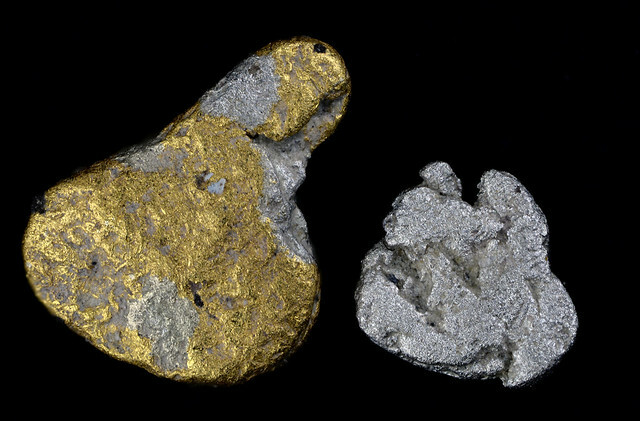 Enju S., Uehara S. (2017) Abuite, CaAl2(PO4)2F2, a new mineral from the Hinomaru-Nago mine, Yamaguchi Prefecture, Japan. 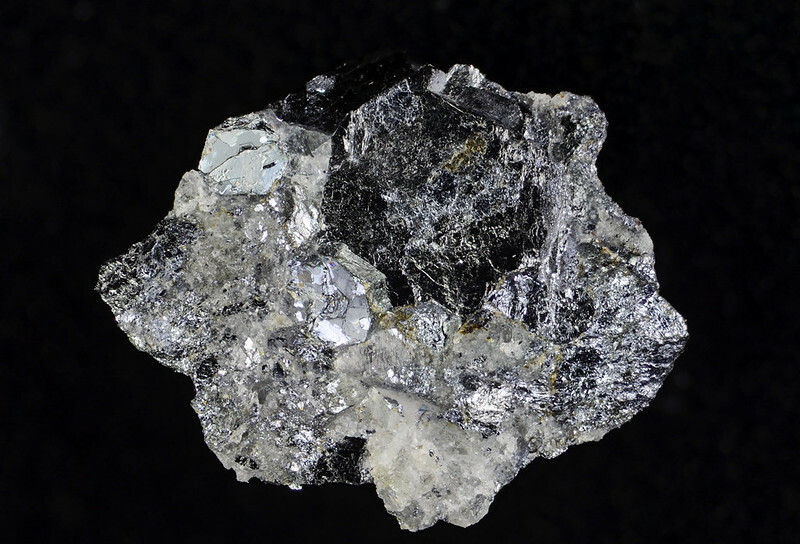 Journal of Mineralogical and Petrological Sciences, 112, 109-115. 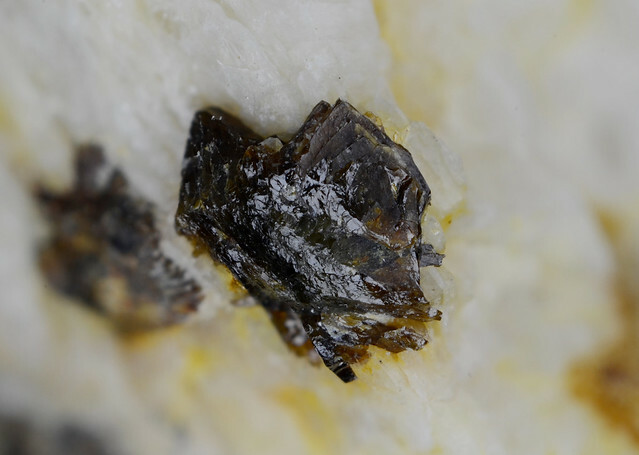 Nishio-Hamane D., Nagashima M., Ogawa N., Minakawa T. (in press) Kannanite, a new mineral from Kannan Mountain, Japan. 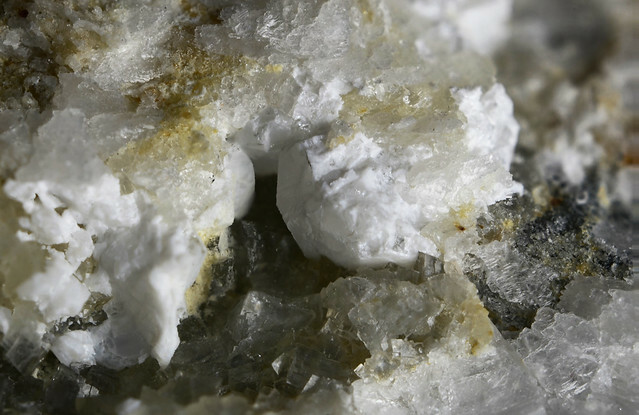 Journal of Mineralogical and Petrological Sciences. 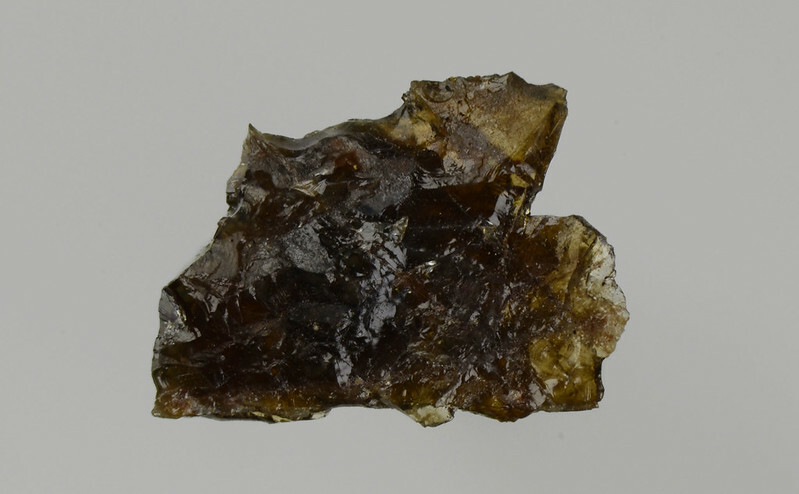 Imaoka T., Nagashima M., Kano T., Kimura J-I., Chang Q., Fukuda C. (2017) Murakamiite, LiCa2Si3O8(OH), a Li-analogue of pectolite, from the Iwagi Islet, southwest Japan. 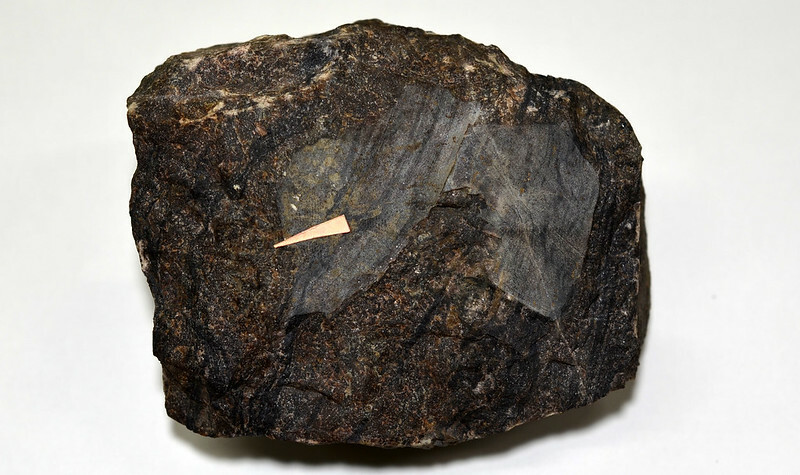 European Journal of Mineralogy, 29, 1045-1053. 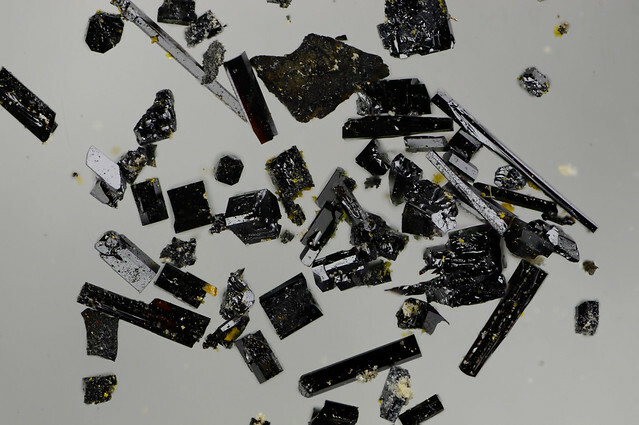 Nishio-Hamane D., Tanaka T., Minakawa T. (2018) Aurihydrargyrumite, a Natural Au6Hg5 Phase from Japan. 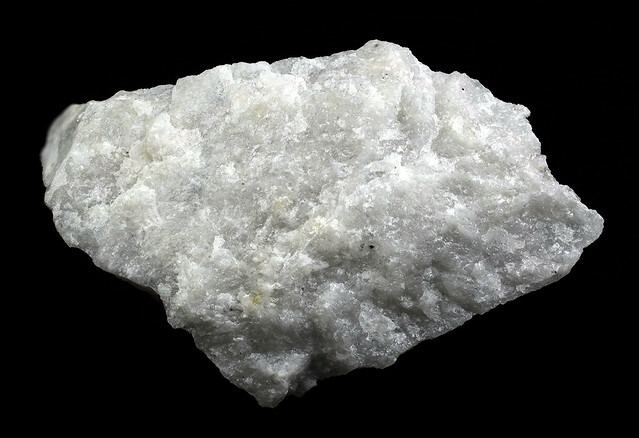 Minerals, 8, 415. Early publication: Nishio-Hamane, D., Ohnishi, M., Shimobayashi, M., Momma, K., Miyawaki, R. and Inaba, S. (2018) Petersite-(La), IMA2017-089. CNMNC Newsletter No. 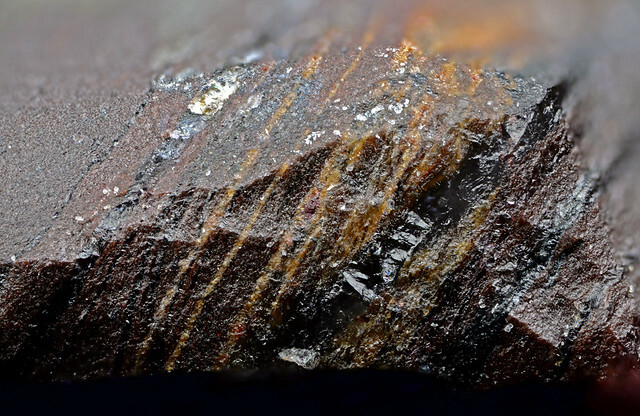 41, February 2018, page 230; Mineralogical Magazine, 82, 229–233. Early publication: Kuribayashi T., Nagase T., Nozaki T., Ishibashi J., Shimada K., Shimizu M., Momma K. (2018) Hitachiite, IMA 2018-027. CNMNC Newsletter No. 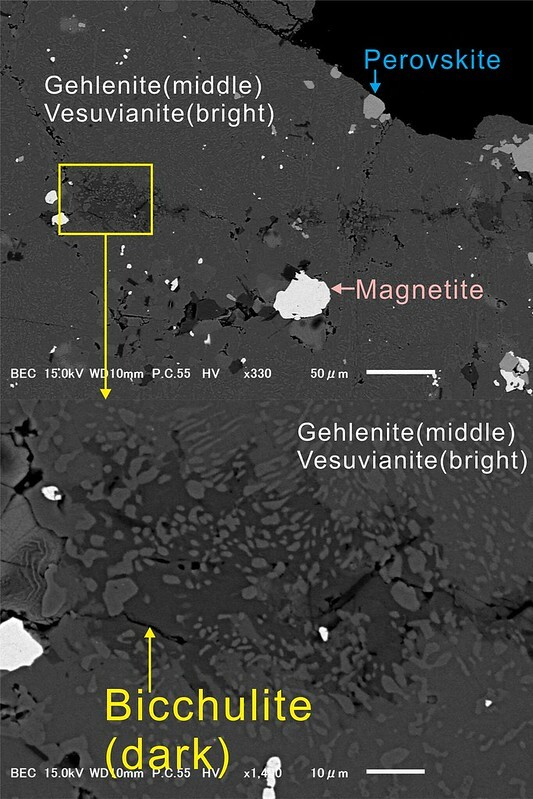 44, August 2018, Page 879; European Journal of Mineralogy, 30, 877-882. Early publication: Nishio-Hamane D. and Saito K. (2019) approved on April 2019..